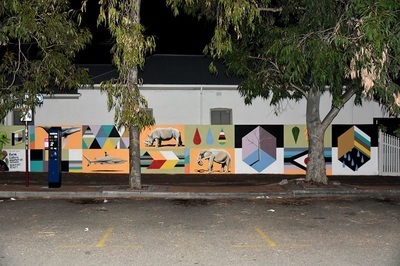 Rosemount Hotel carpark, Perth WA. Photo- David Dewsbury. 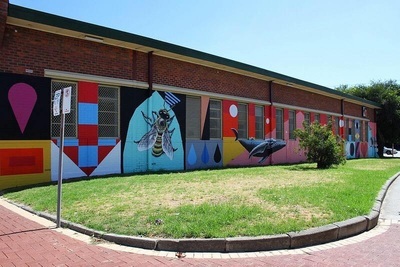 St Patricks Primary School, Fremantle WA. 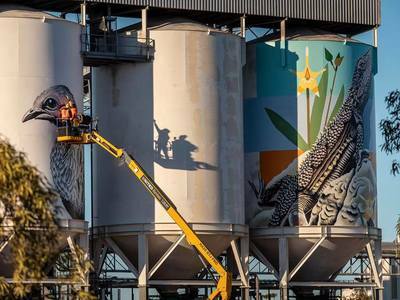 Photo- David Dewsbury. St Patricks Primary School, Fremantle WA. Fresh Provisions carpark, Mt Lawley, Perth WA. 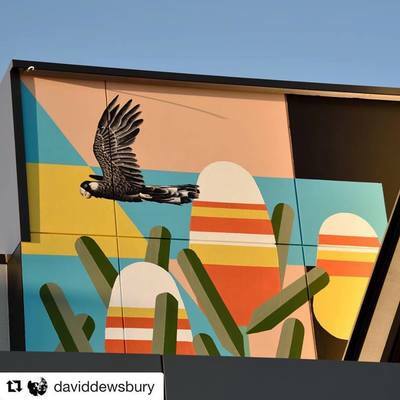 Photo- David Dewsbury. 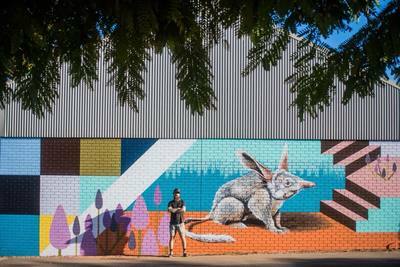 Telstra Exchange Building, Perth WA. Photo- David Dewsbury. 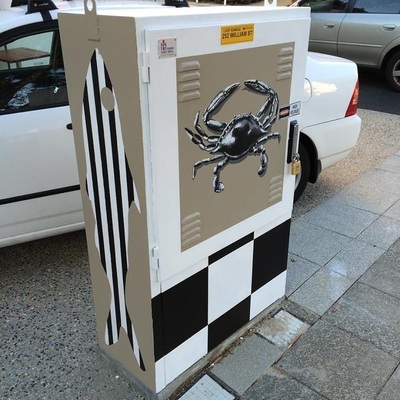 Coogee Street carpark, Mt Hawthorn WA. 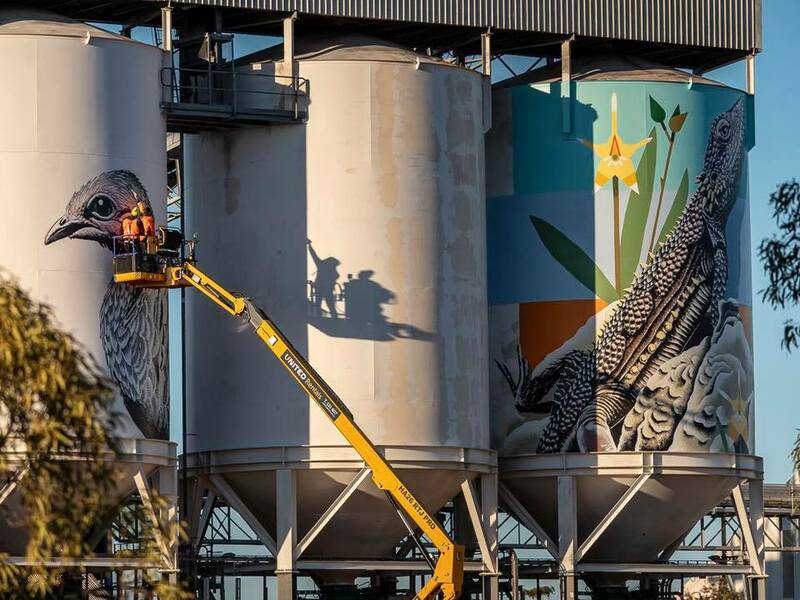 Photo- David Dewsbury. 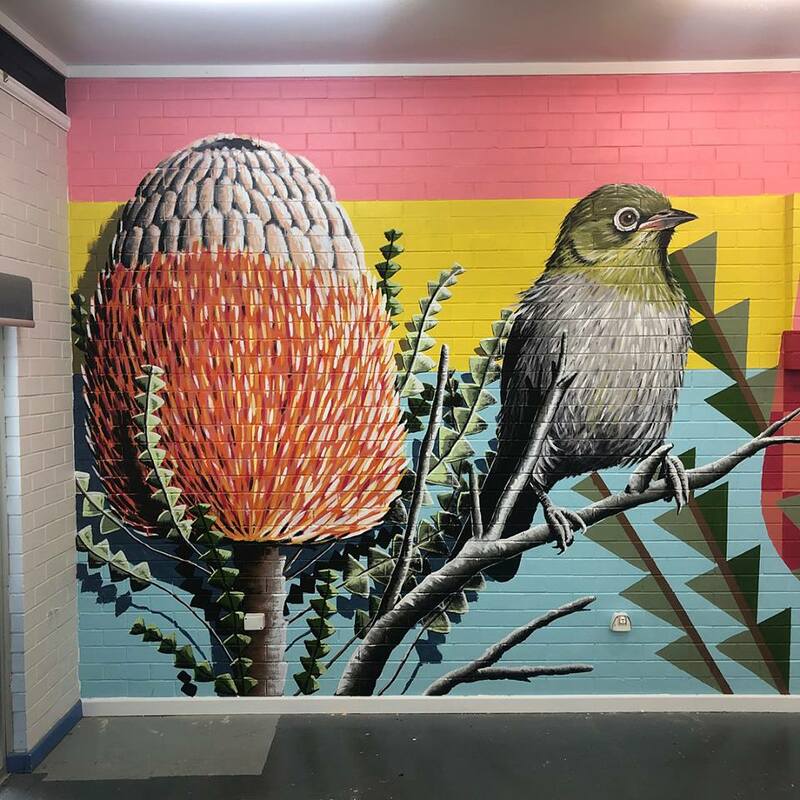 Coogee Street carpark, Mt Hawthorn WA. 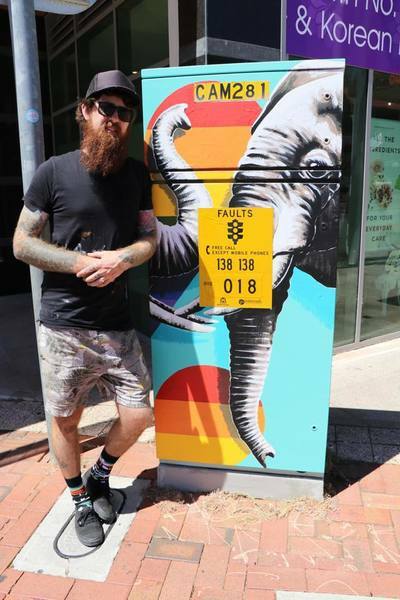 Photo- Streets of Perth. 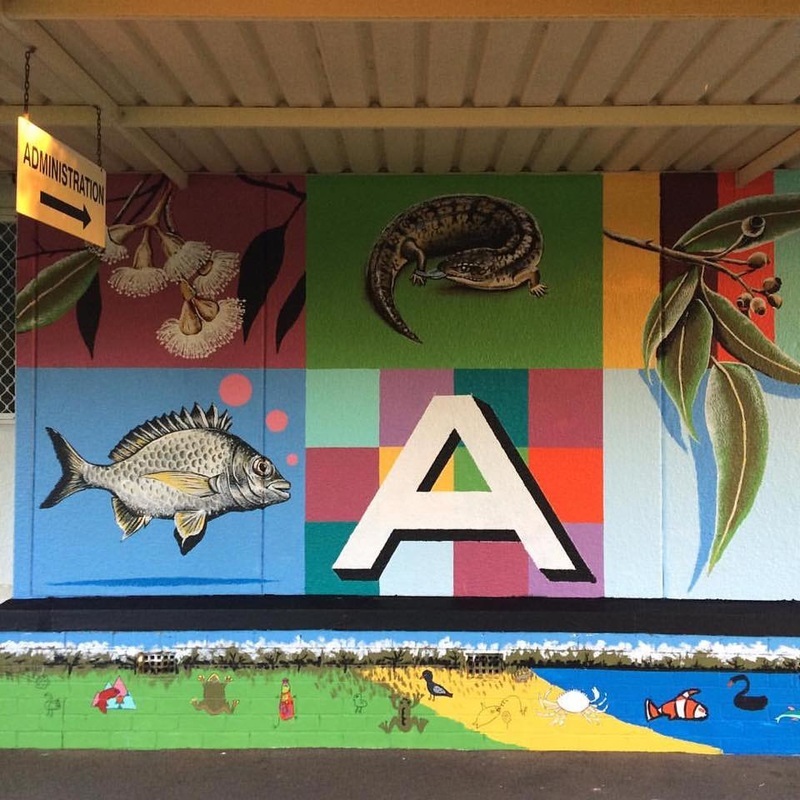 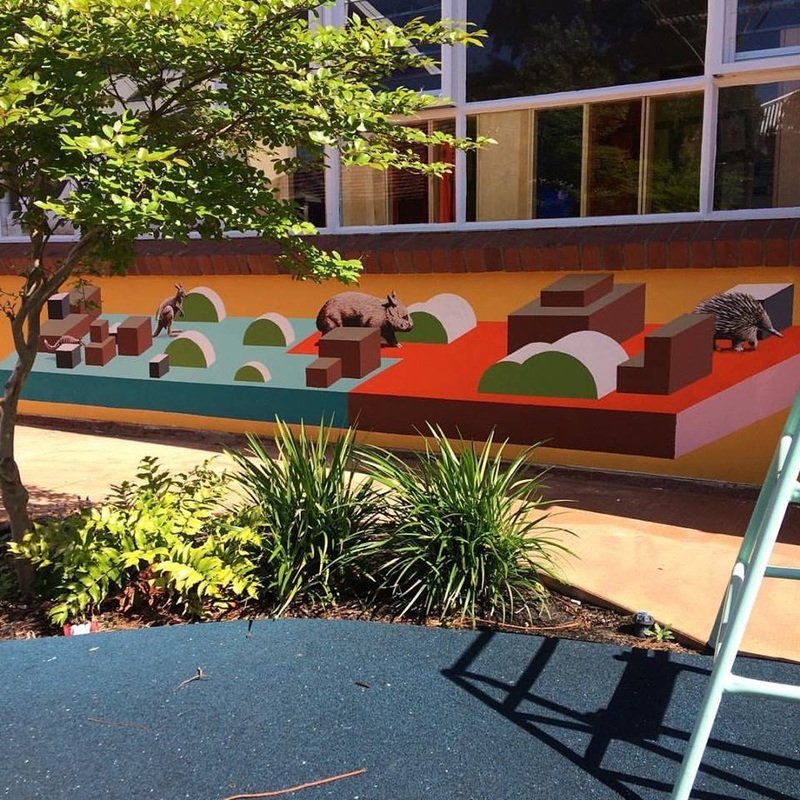 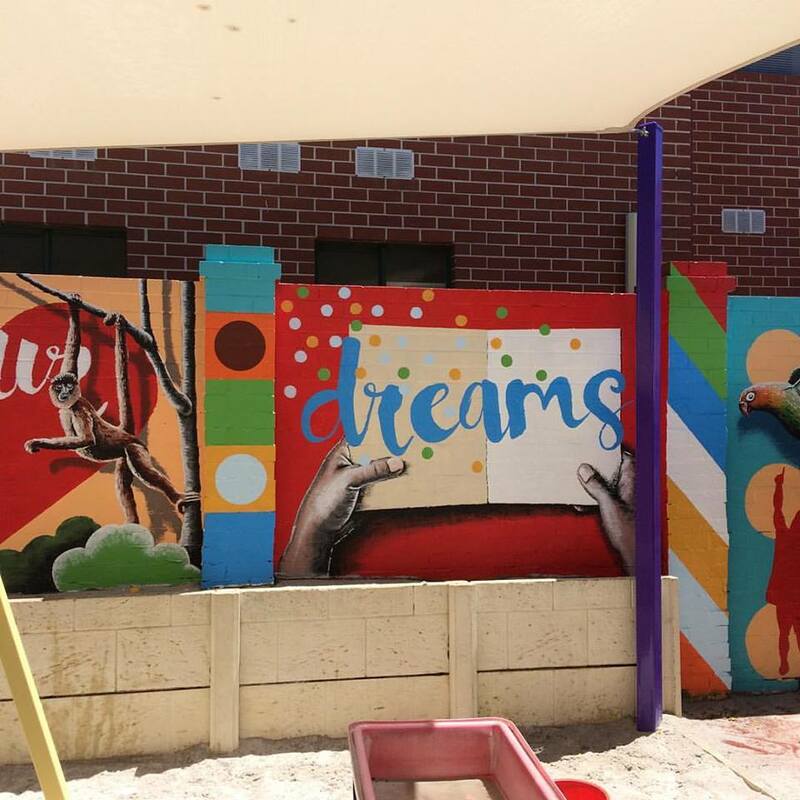 Ashfield Primary School, Ashfield, Perth WA. 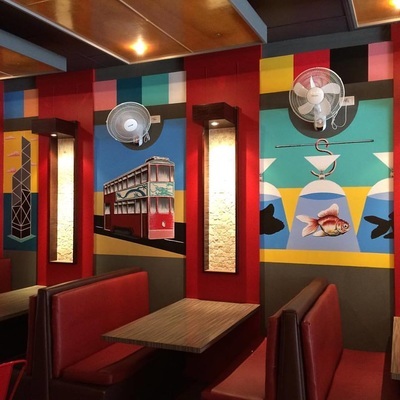 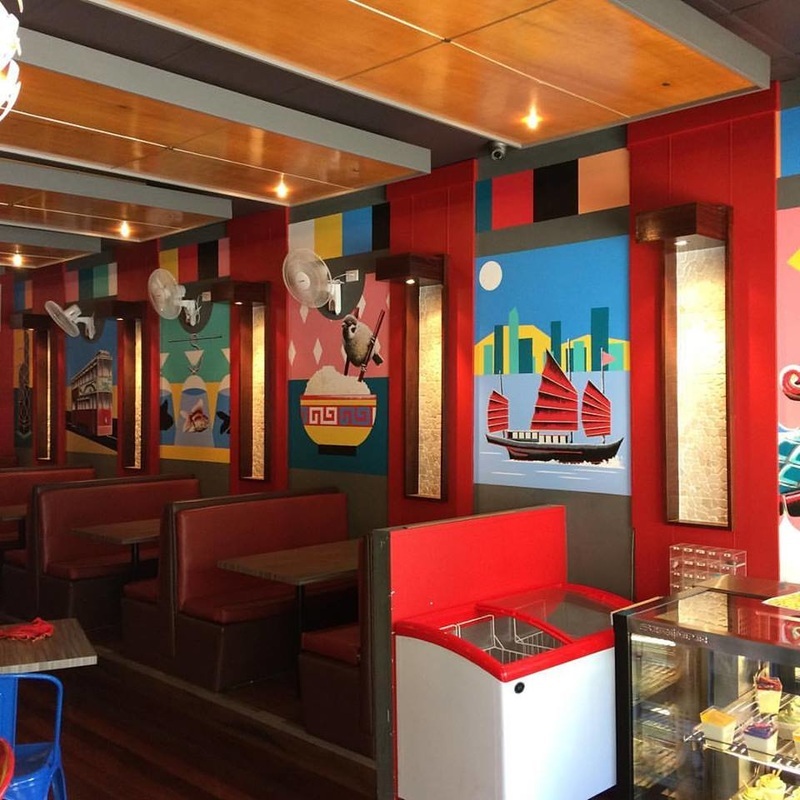 Hongkies Hong Kong Kitchen Northbridge, Perth WA. 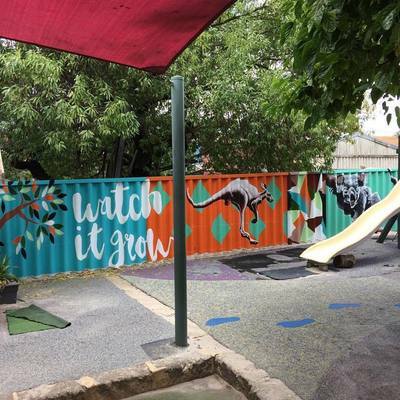 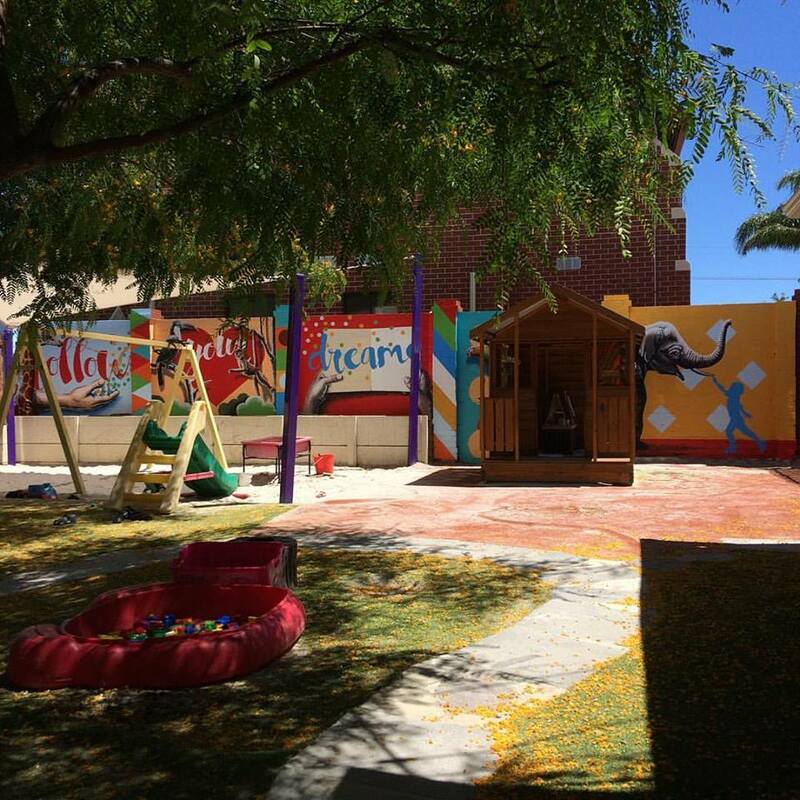 Mulberry Tree Childcare Centre. 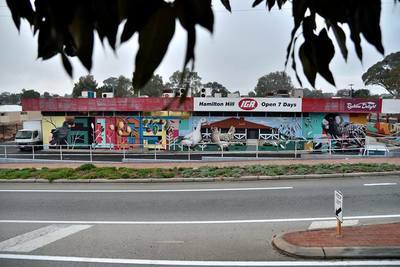 Tuart Hill. 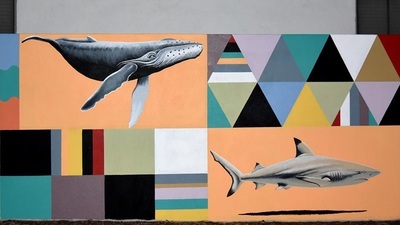 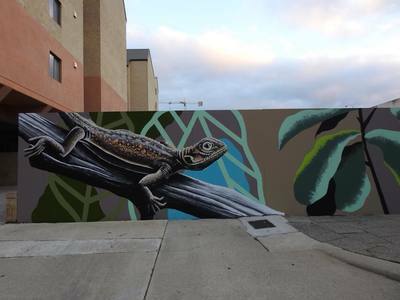 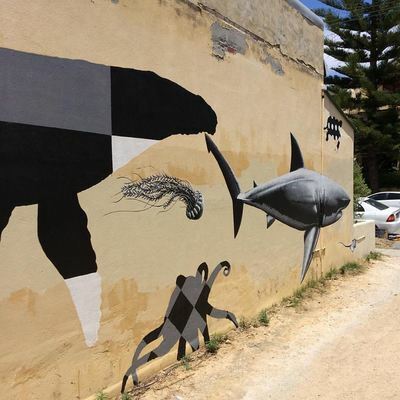 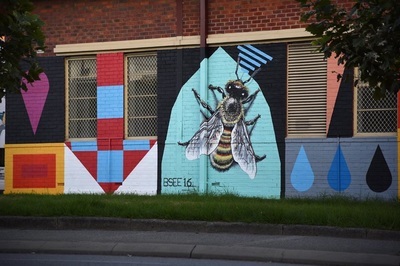 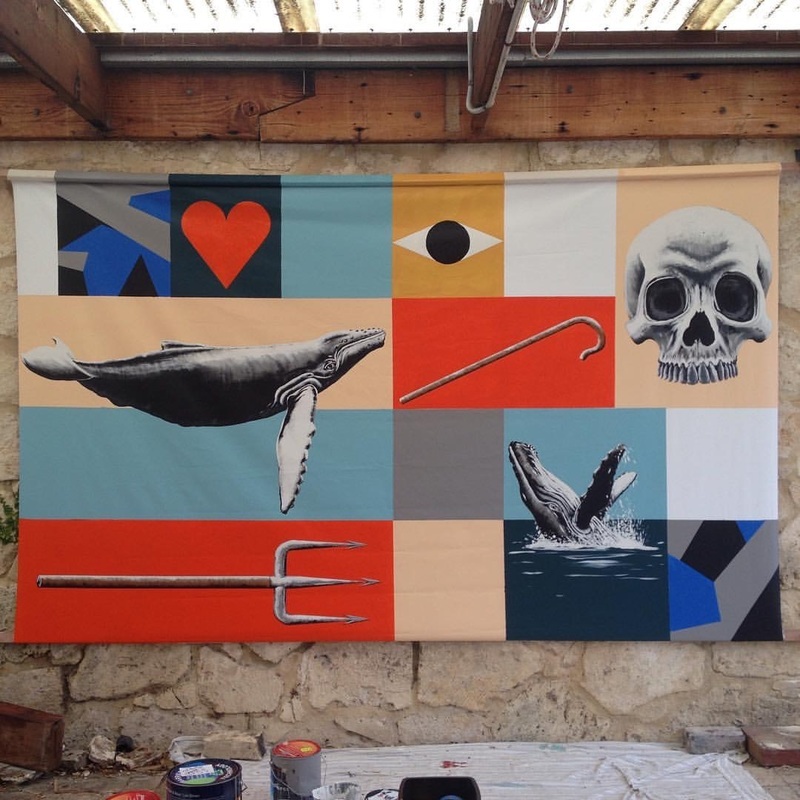 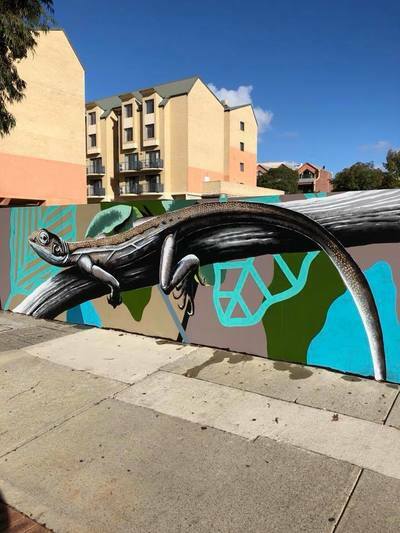 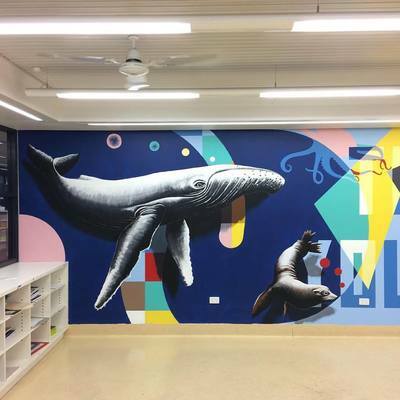 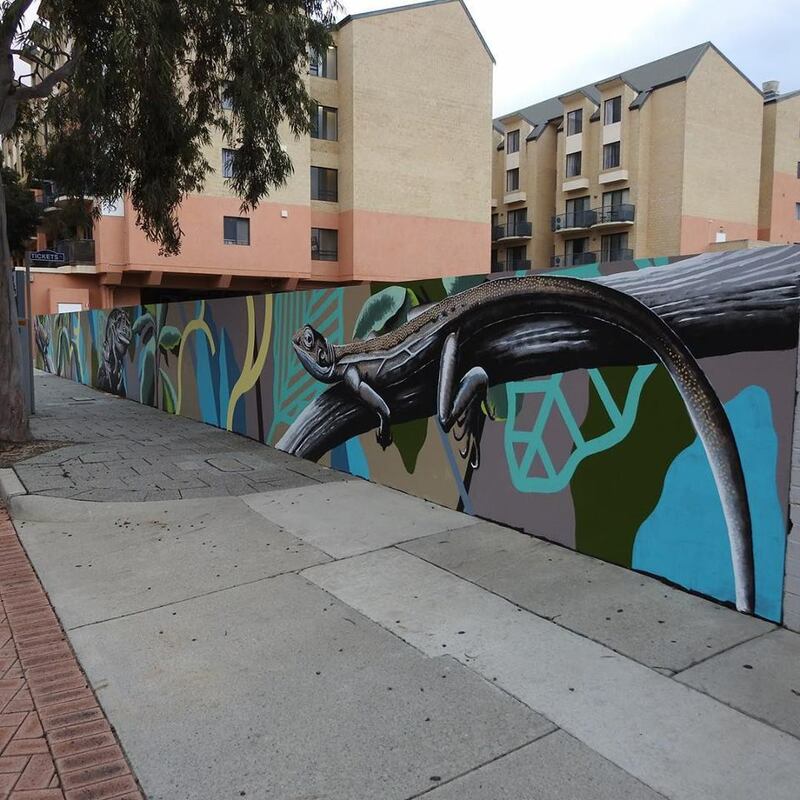 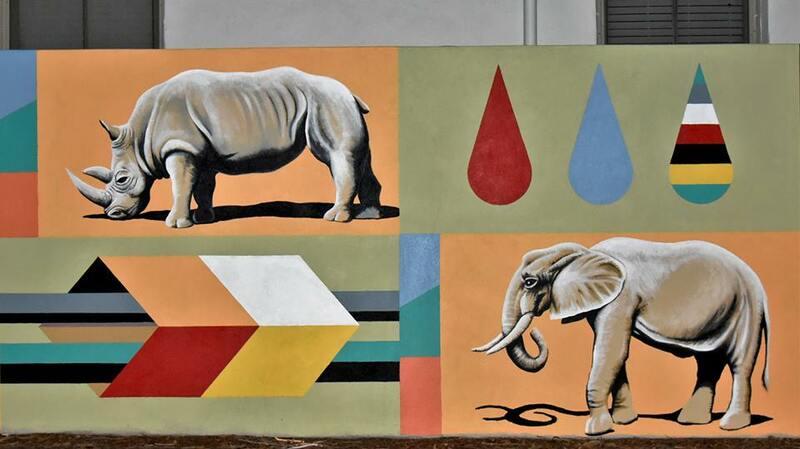 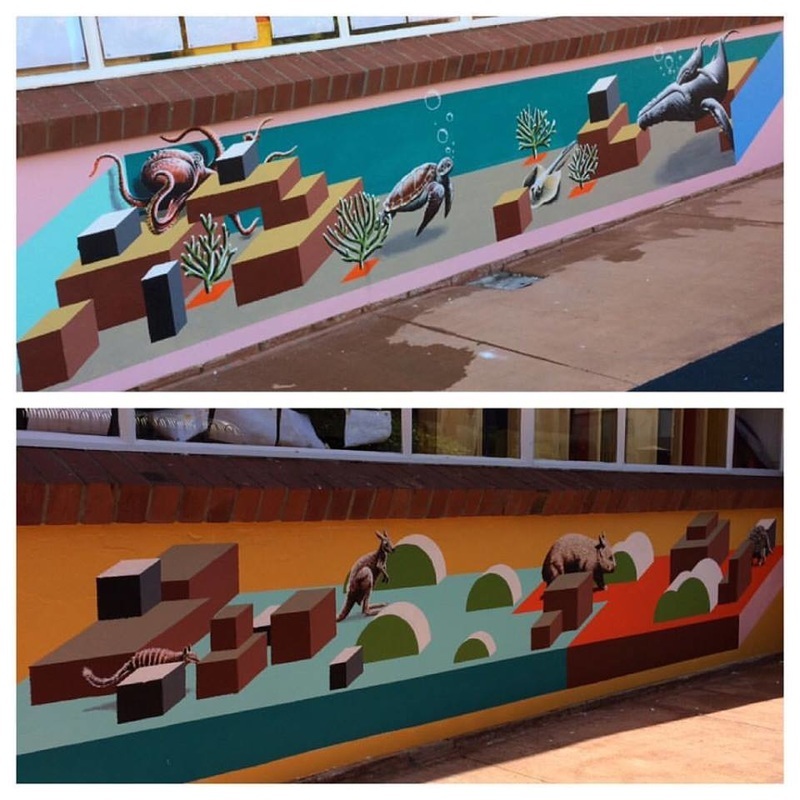 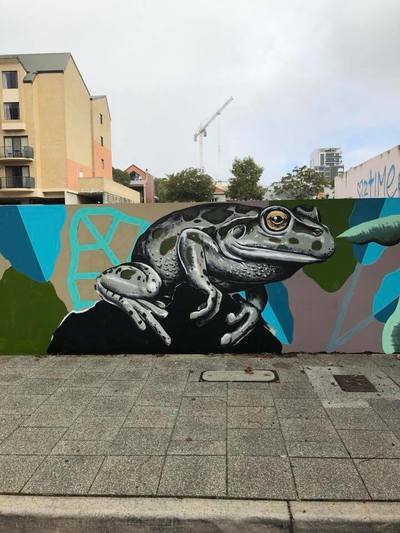 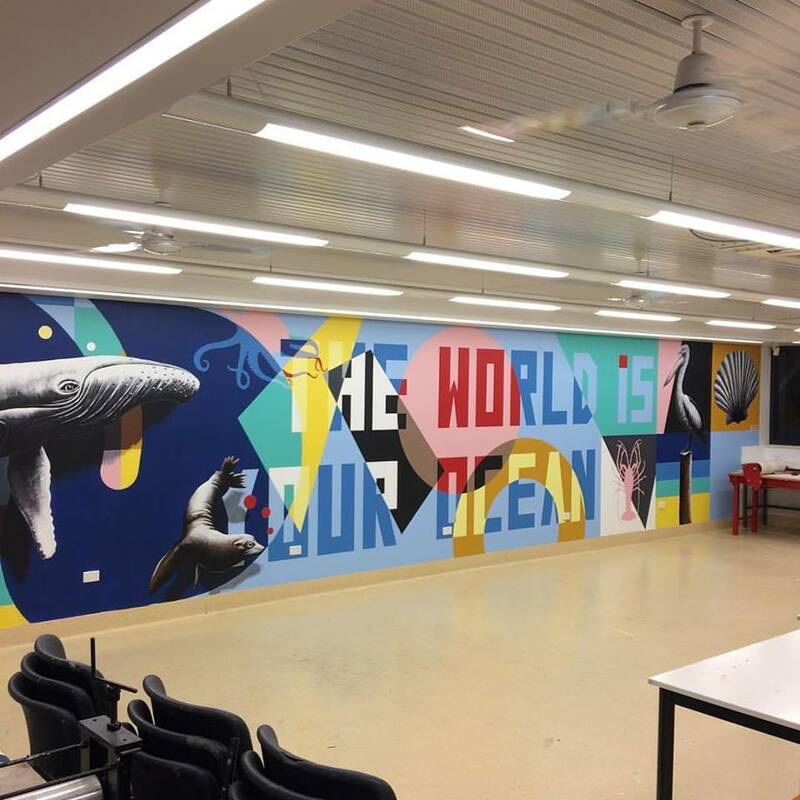 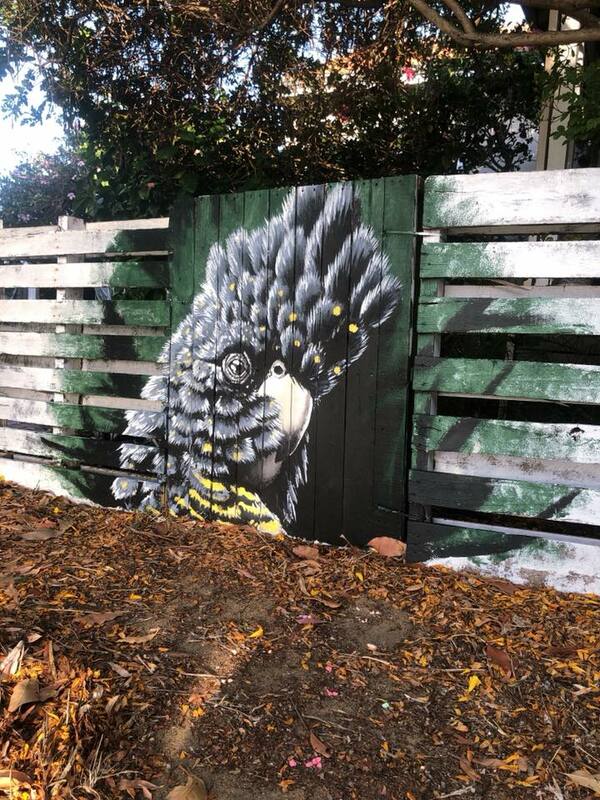 Mural 3 for endemic project. 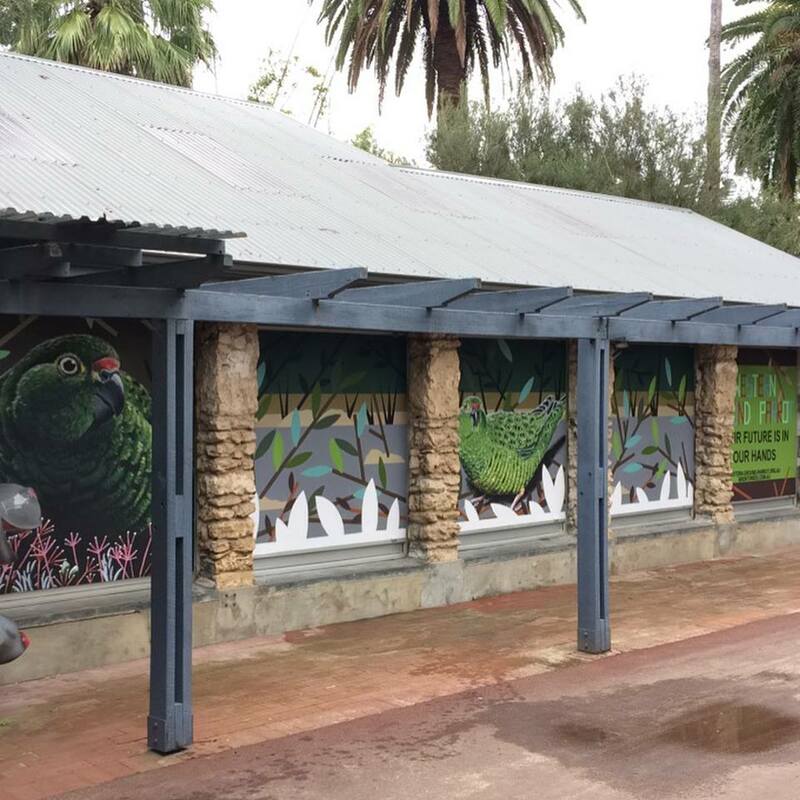 Perth Zoo, WA. 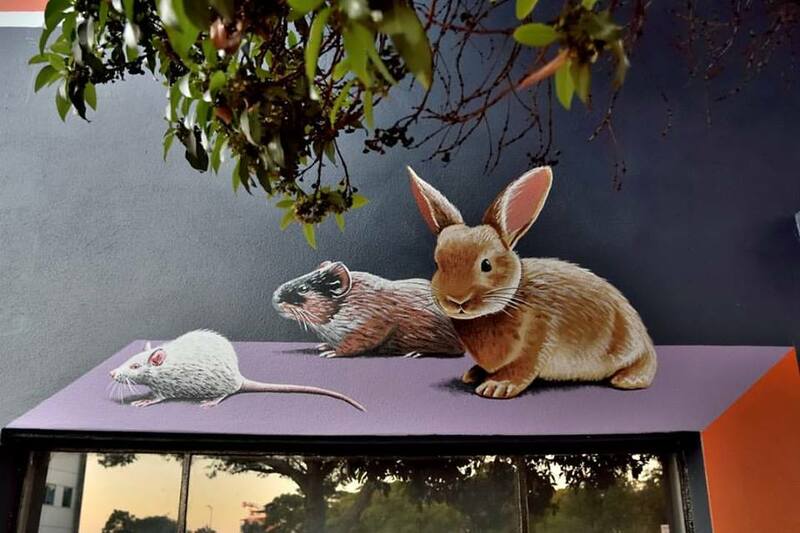 The Moody Rabbit store front desk. 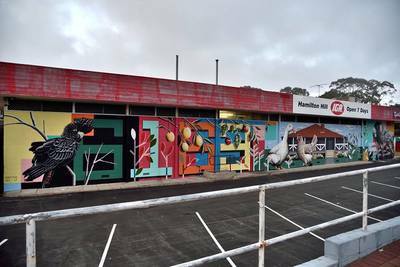 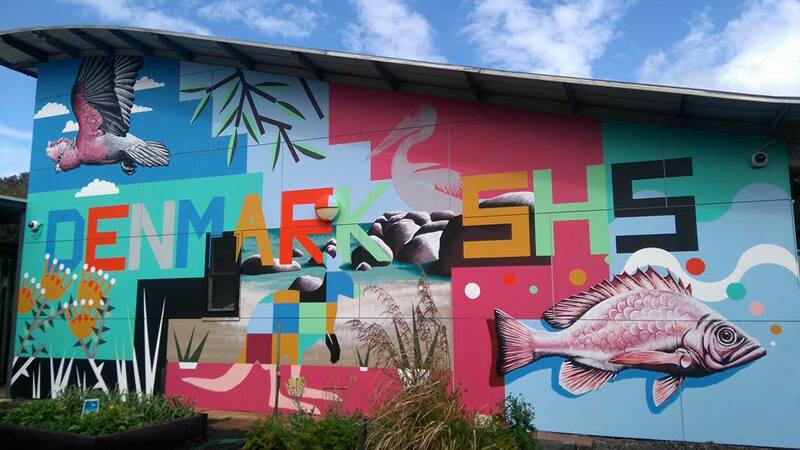 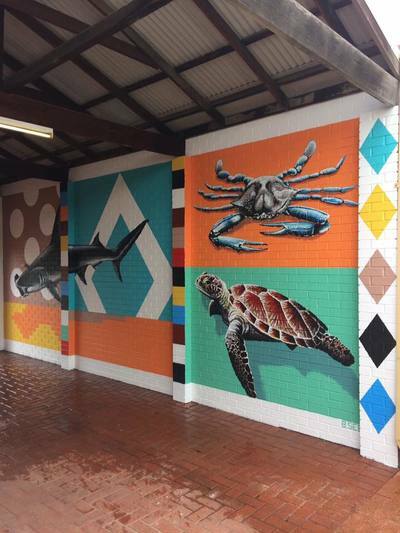 Fremantle E-shed Markets, WA. 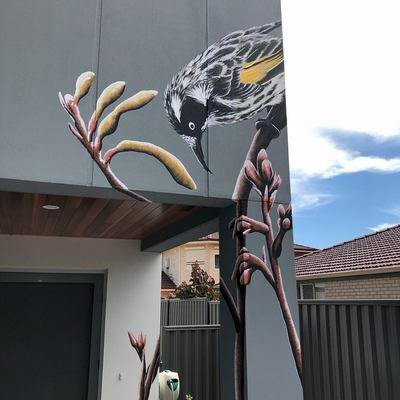 Private Residence exterior mural. Samson, Perth WA. 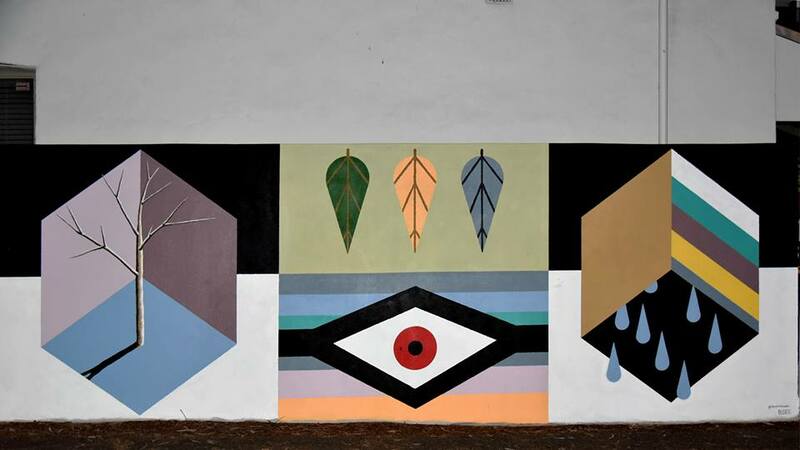 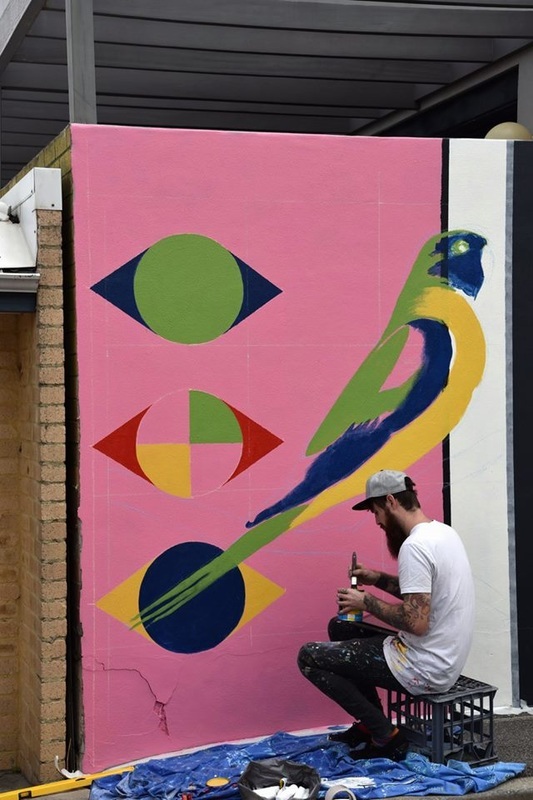 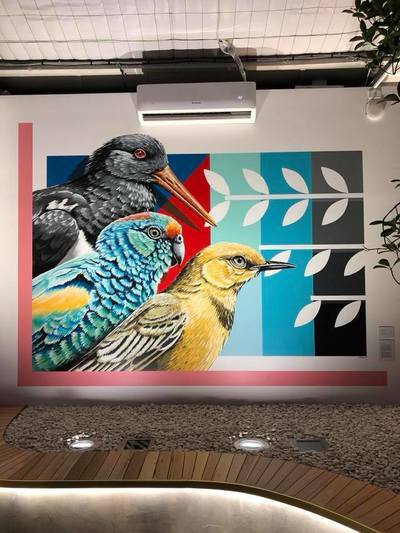 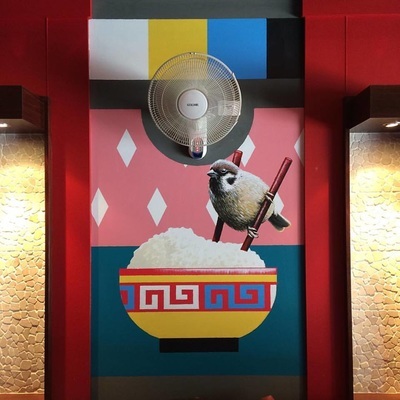 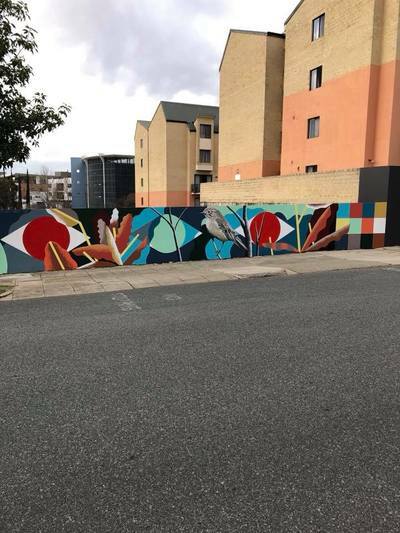 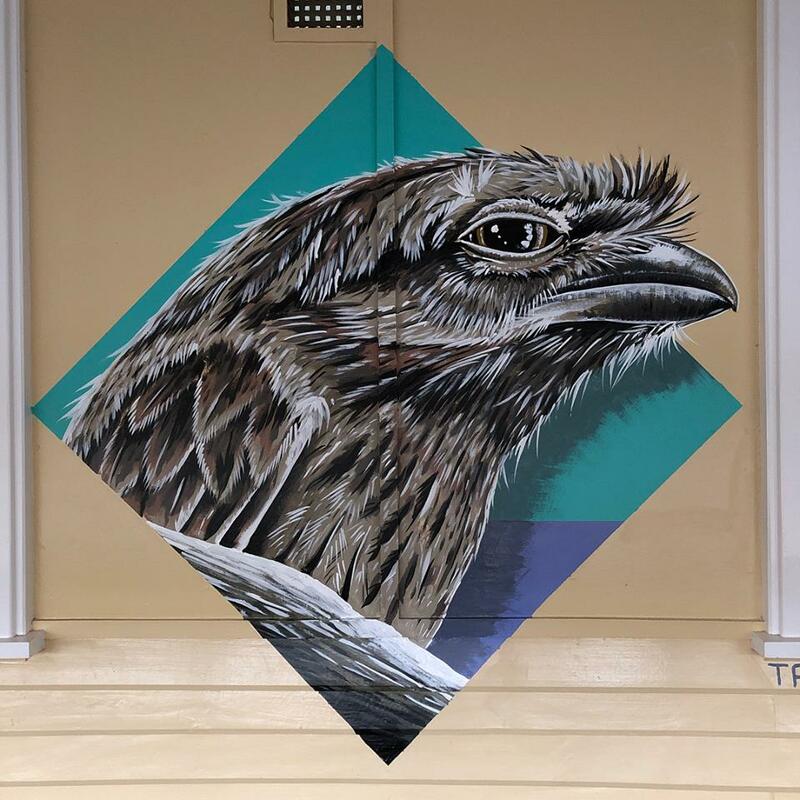 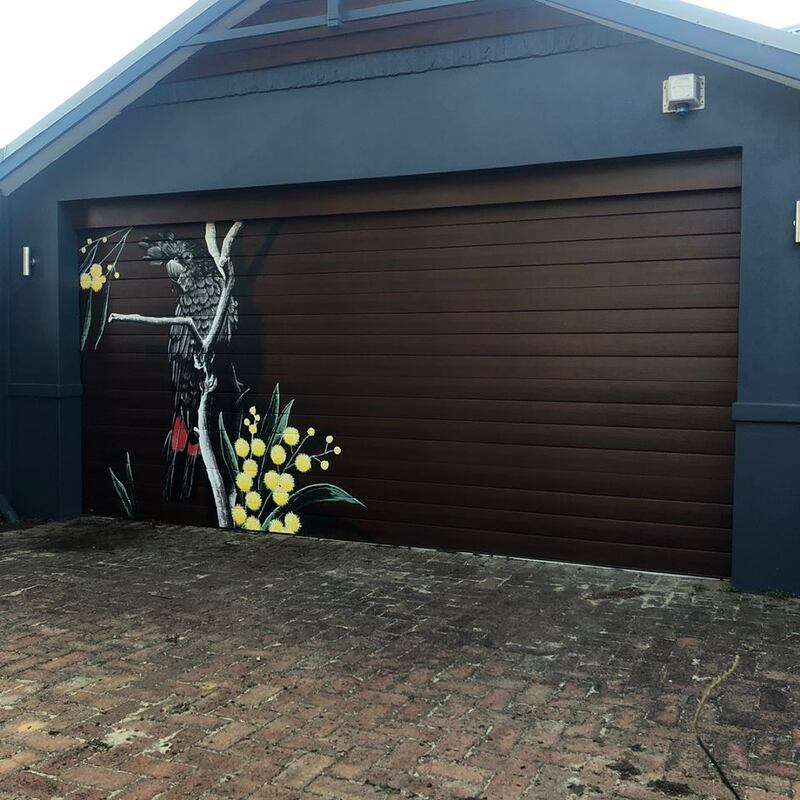 Private residence external mural. 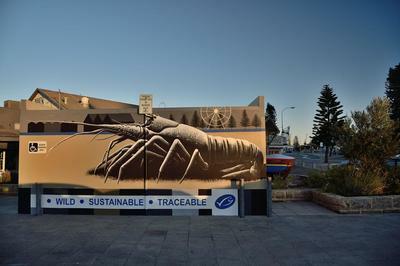 Myaree, Perth WA. 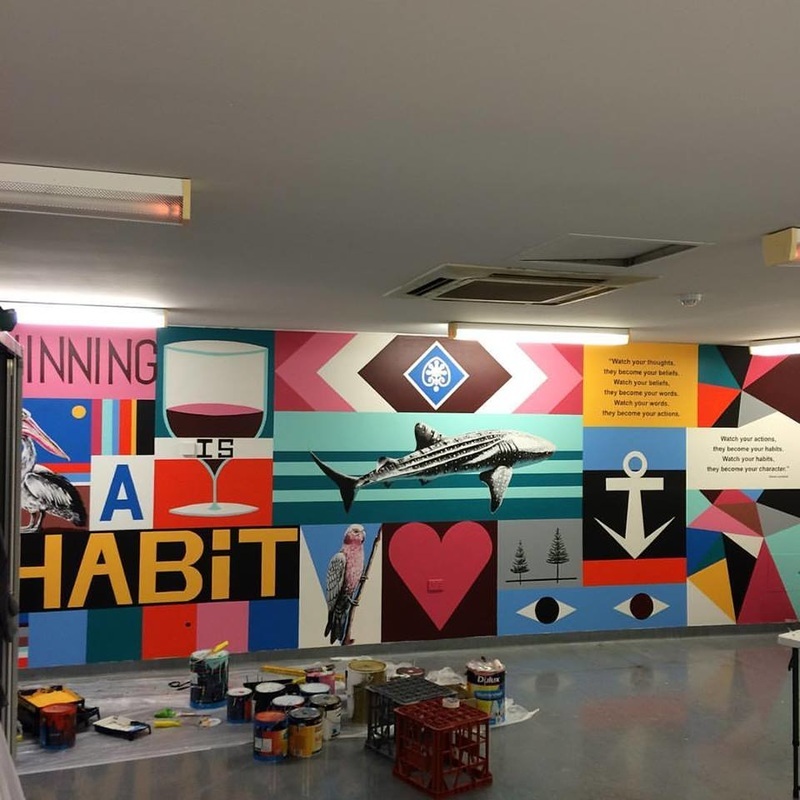 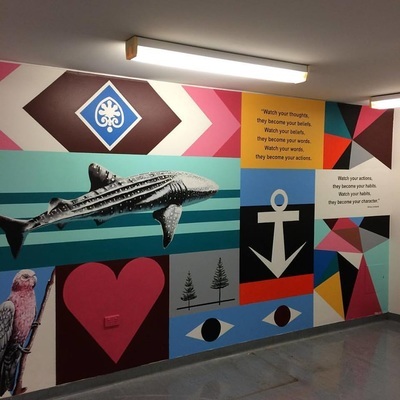 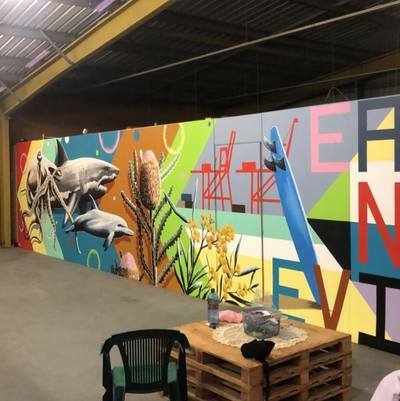 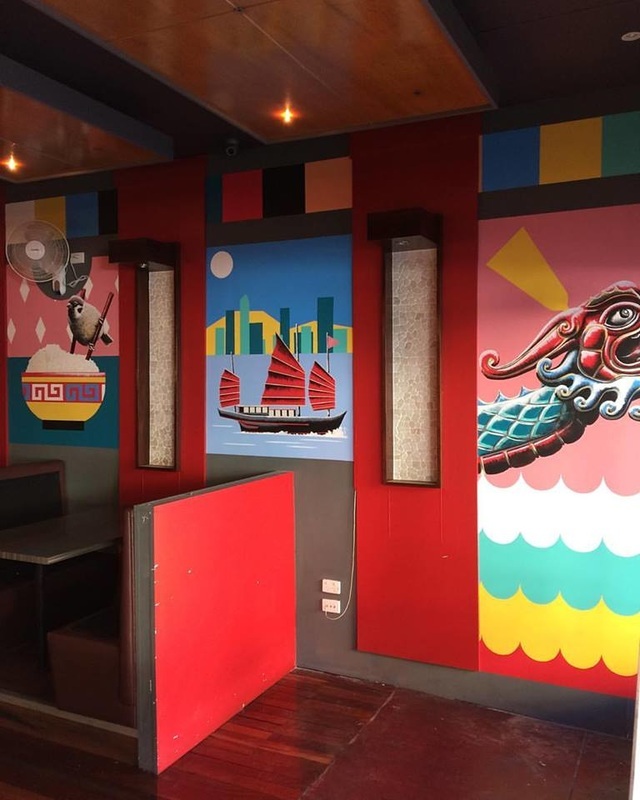 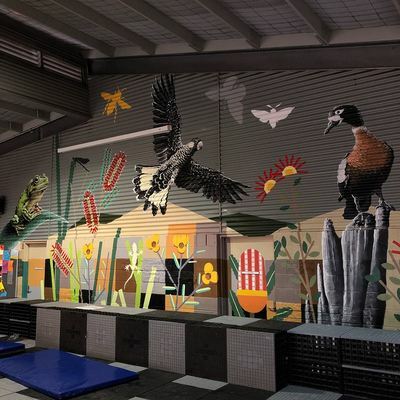 Internal Mural. 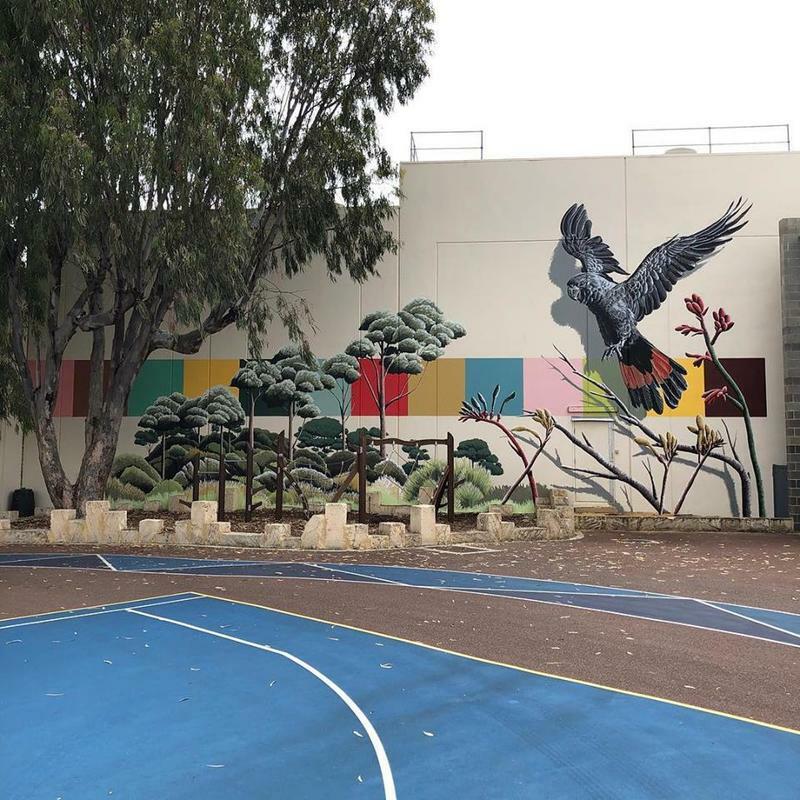 Seton Catholic College, Samson, Perth WA. 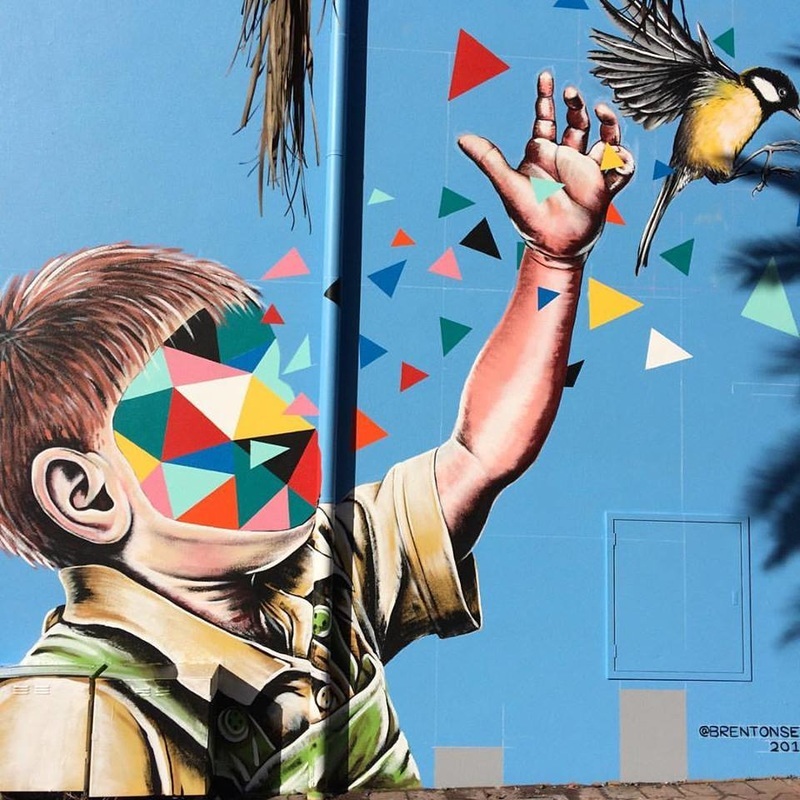 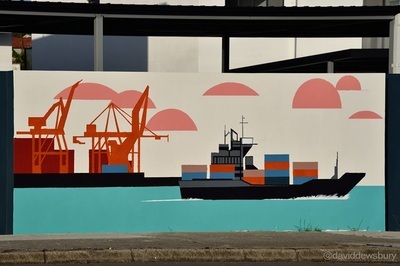 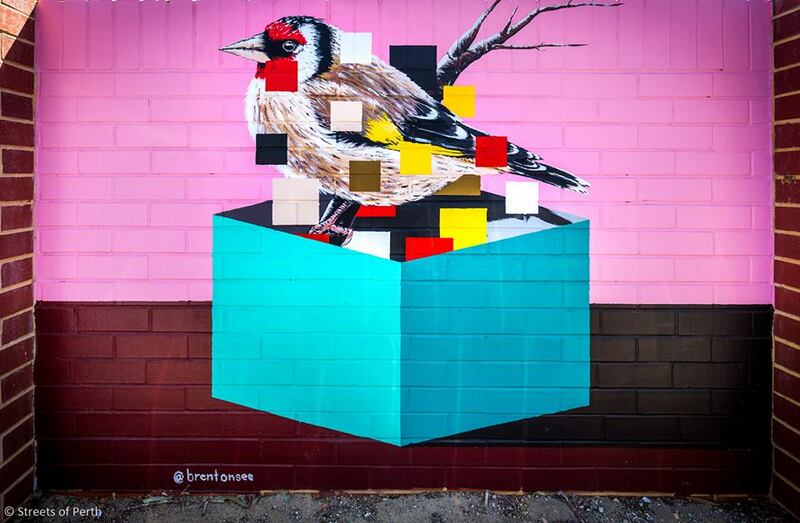 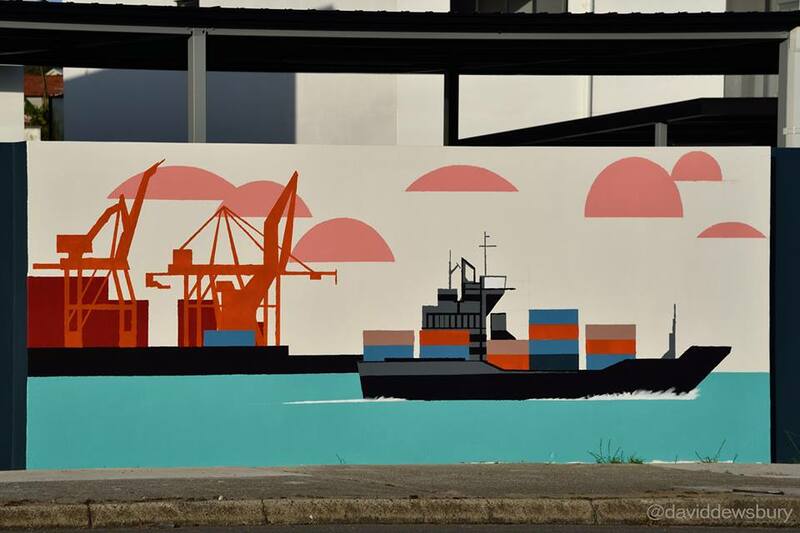 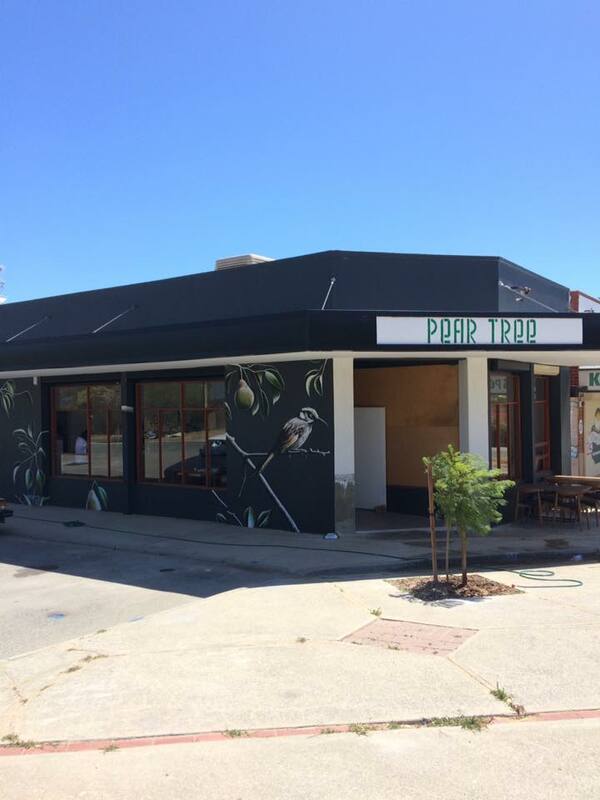 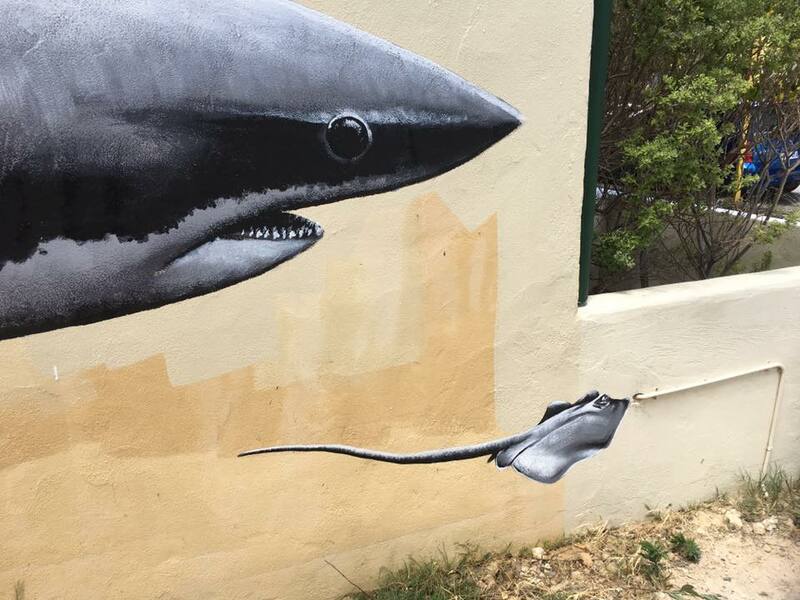 External Mural. 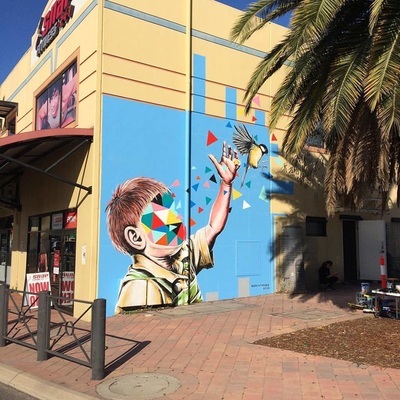 Leda Shopping Centre. 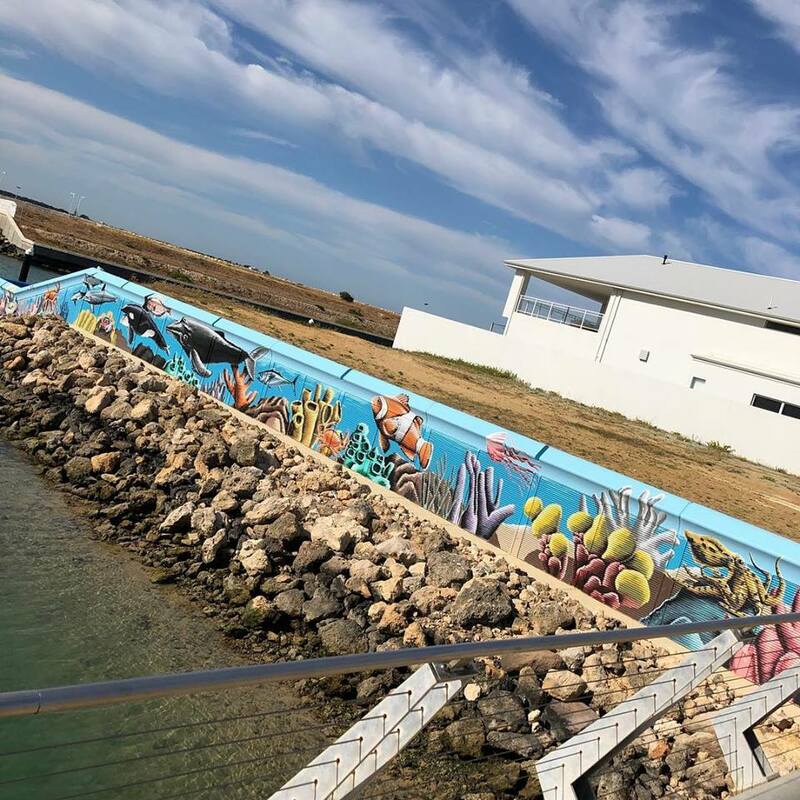 Kwinana, Perth WA. External private residence. 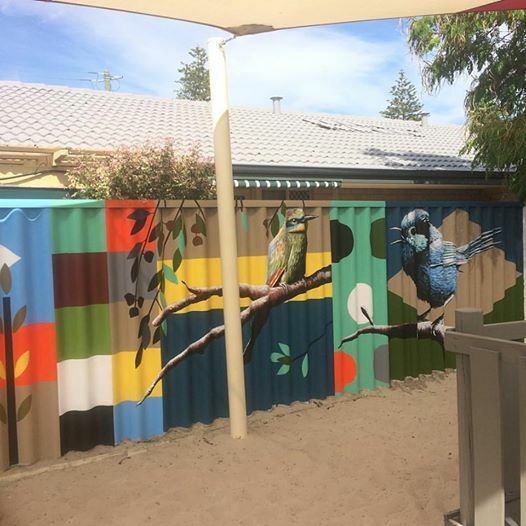 Marangaroo, Perth WA. 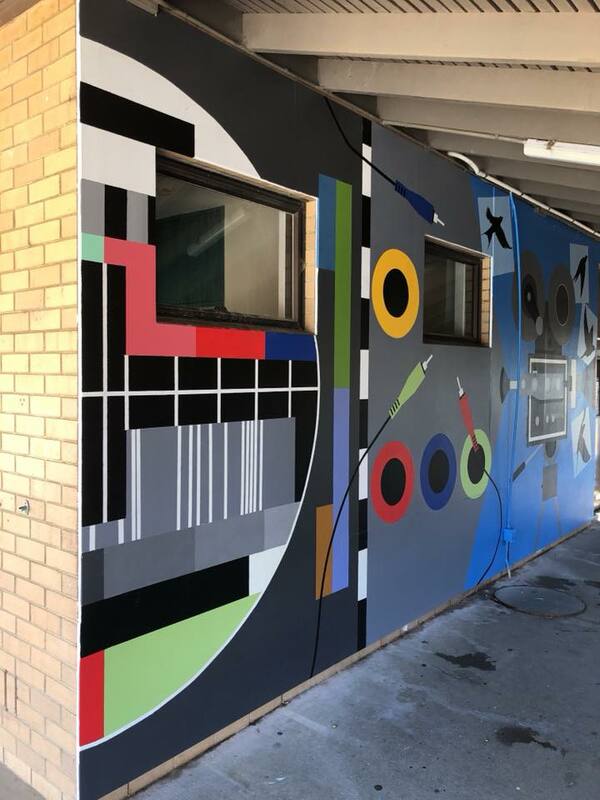 External mural. Leonora Primary School. 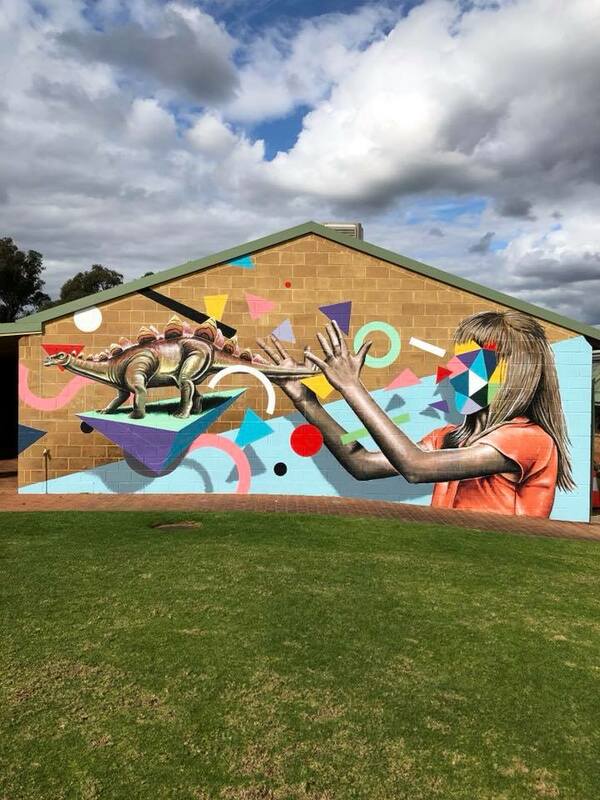 Leonora WA. 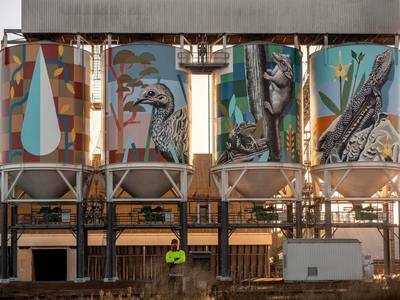 Public Silo Trail 2018. 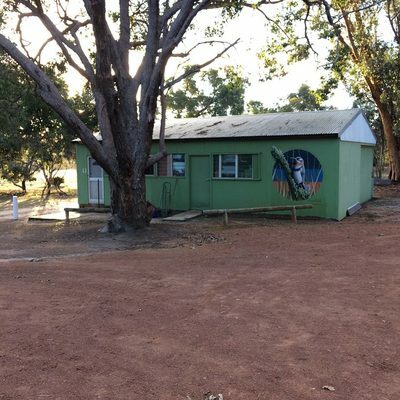 CBH Newdegate WA. 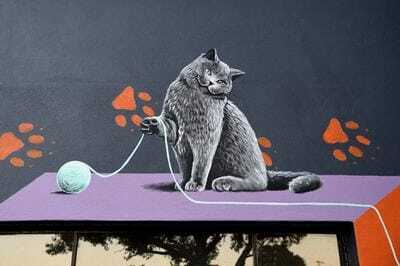 Photo- Bewley Shaylor. Public Silo Trail 2018. 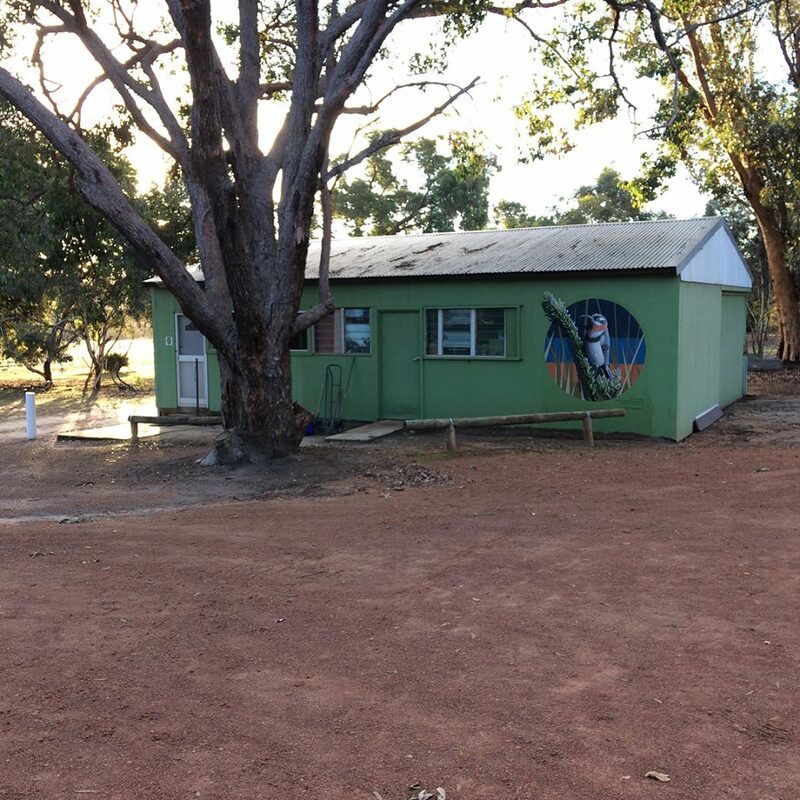 CBH Newdegate WA. 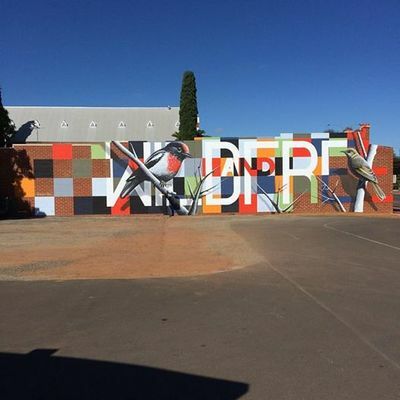 External mural. 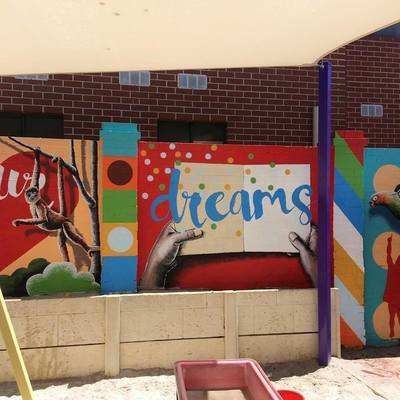 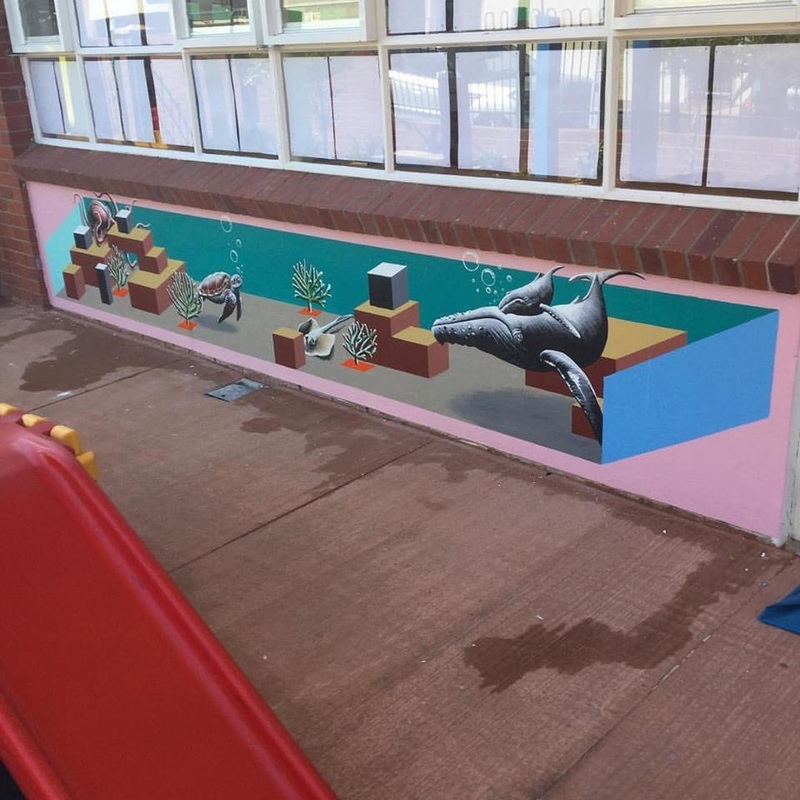 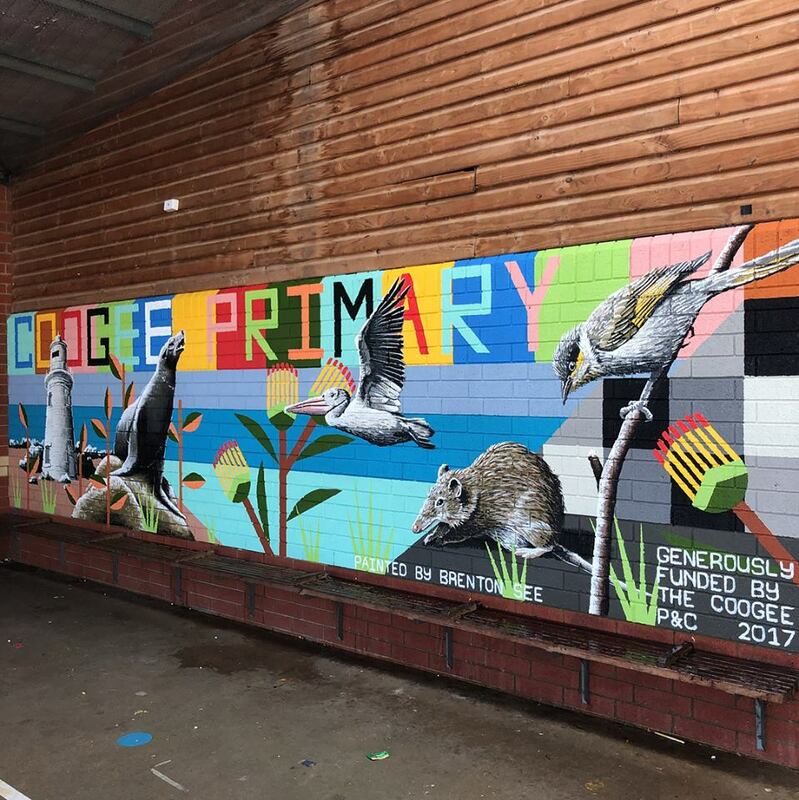 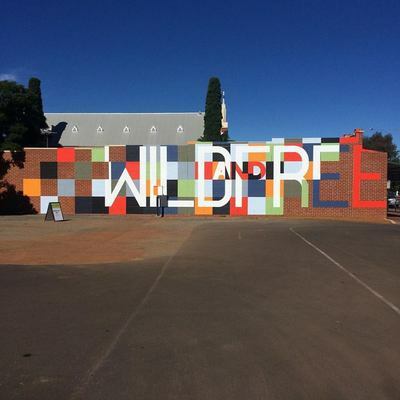 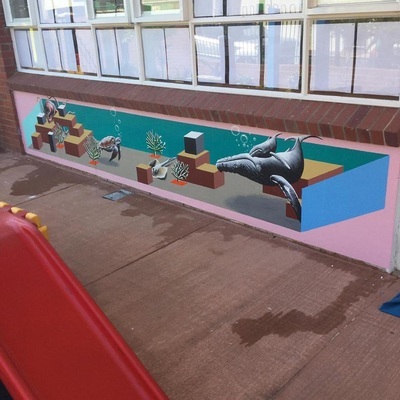 Newdegate Primary School WA. Internal mural. 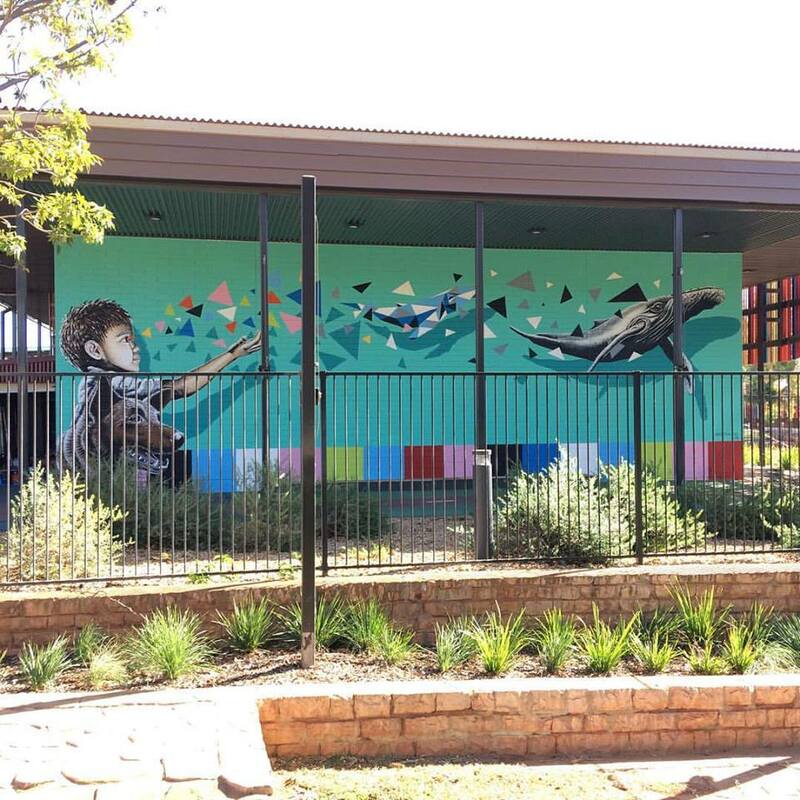 Harmony Primary School. Atwell, Perth WA. 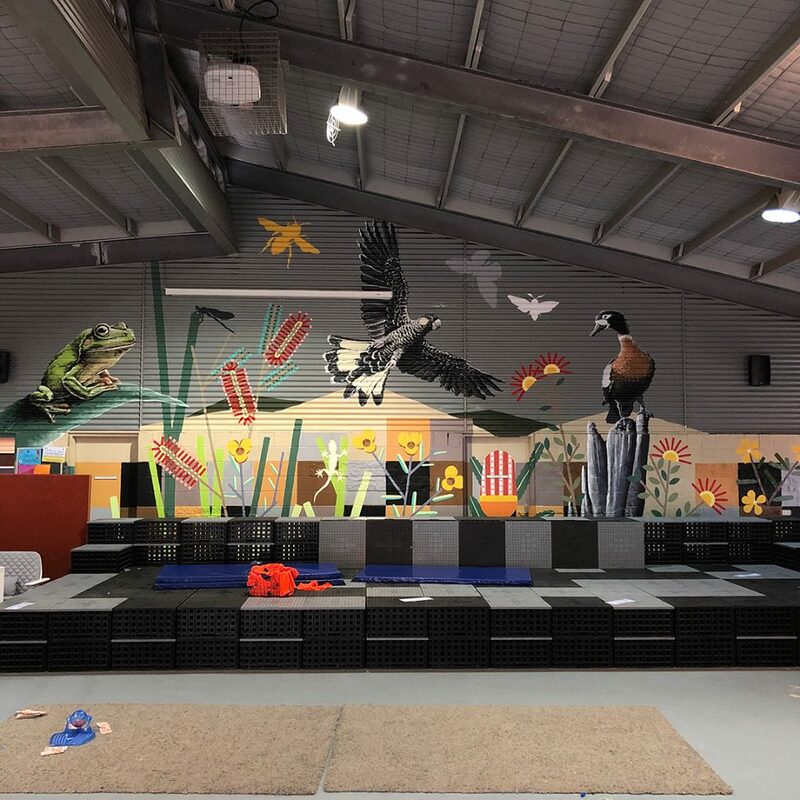 Piney Lakes Sensory Playground. Melville, Perth WA. 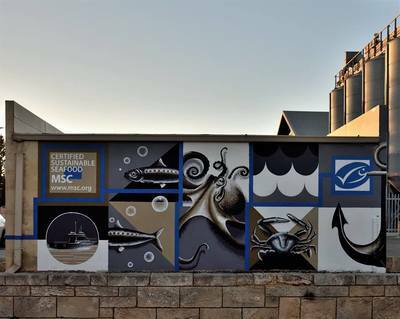 External mural. Regal Place. 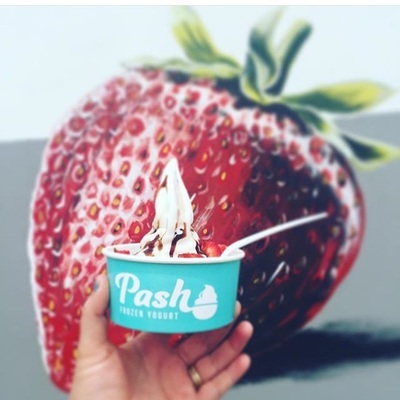 East Perth, WA. Private Residence External mural. Willagee, Perth WA. Private residence. 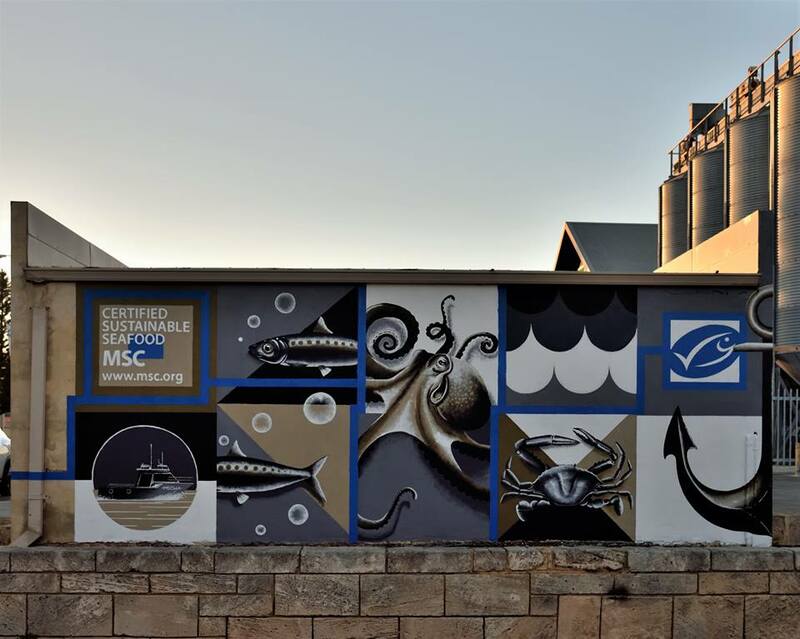 External mural. Hamilton Hill, Perth WA. 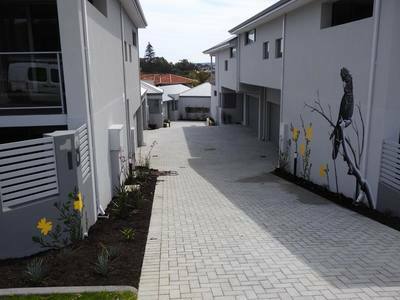 Private residence. 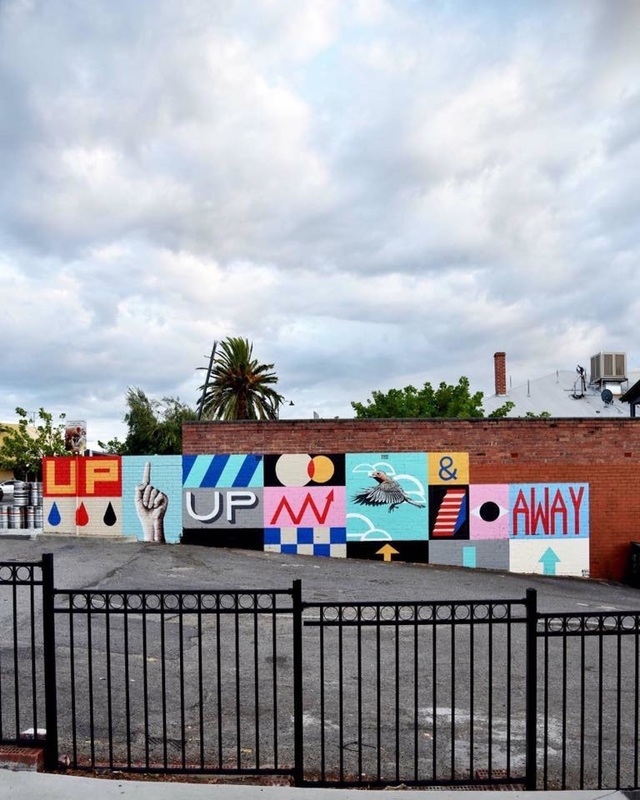 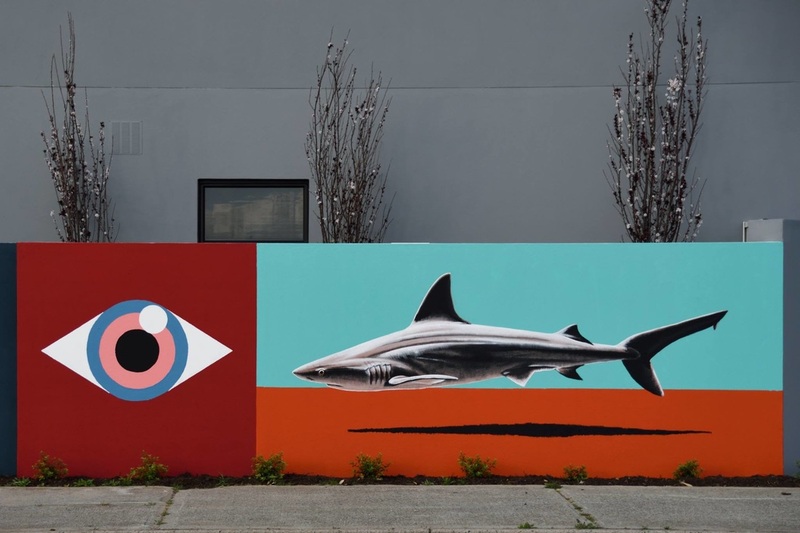 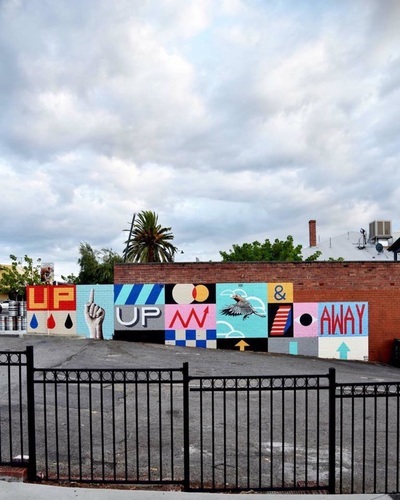 Exterior mural. 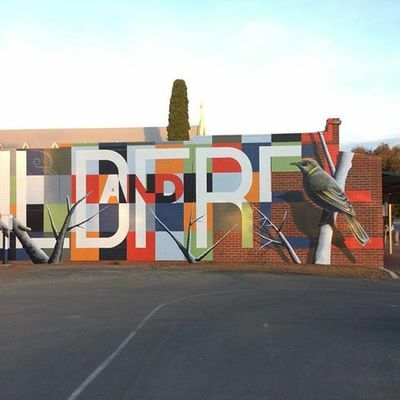 Byford, Perth WA. 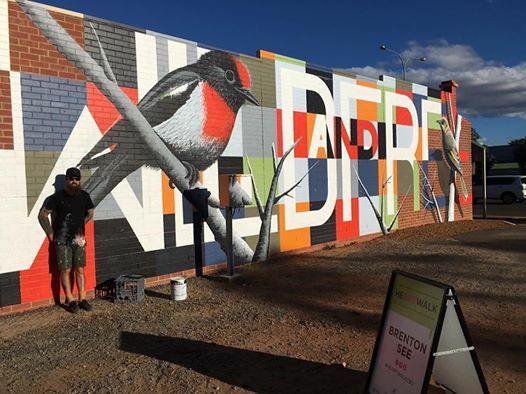 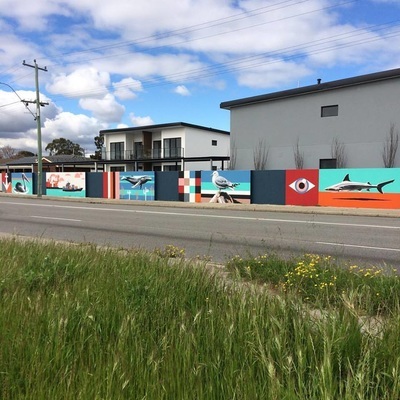 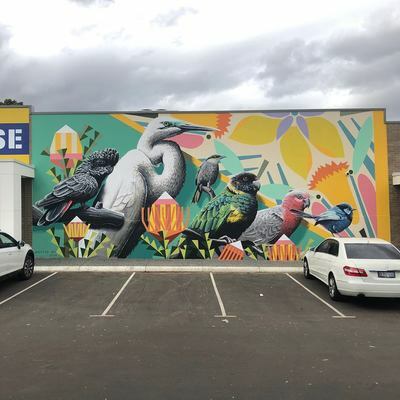 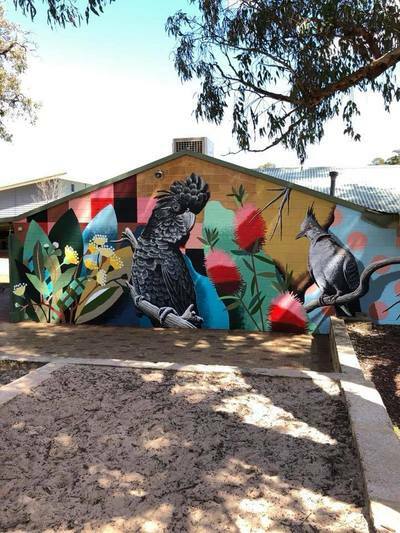 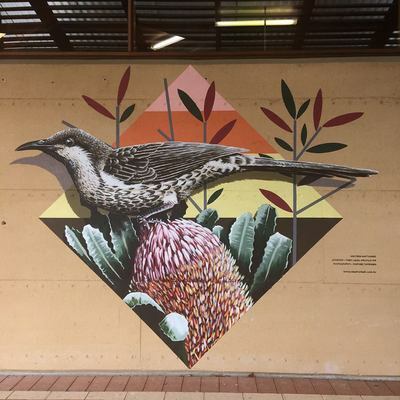 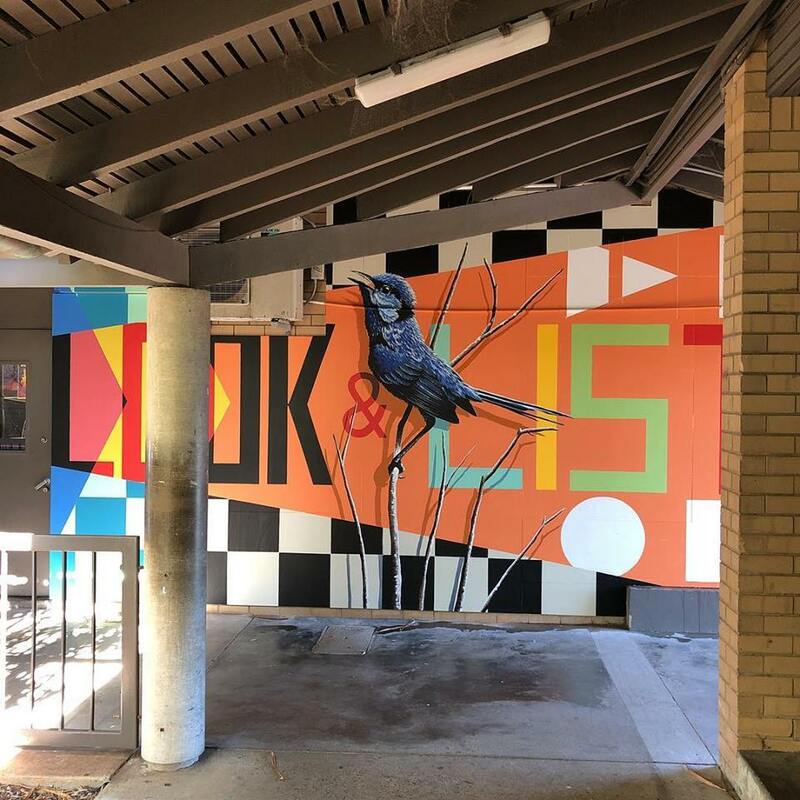 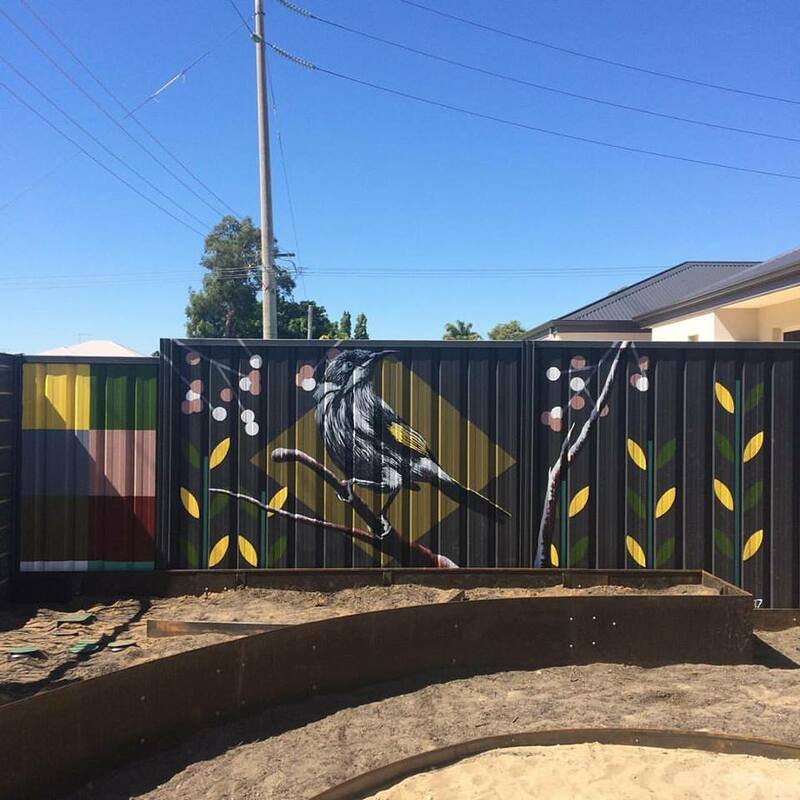 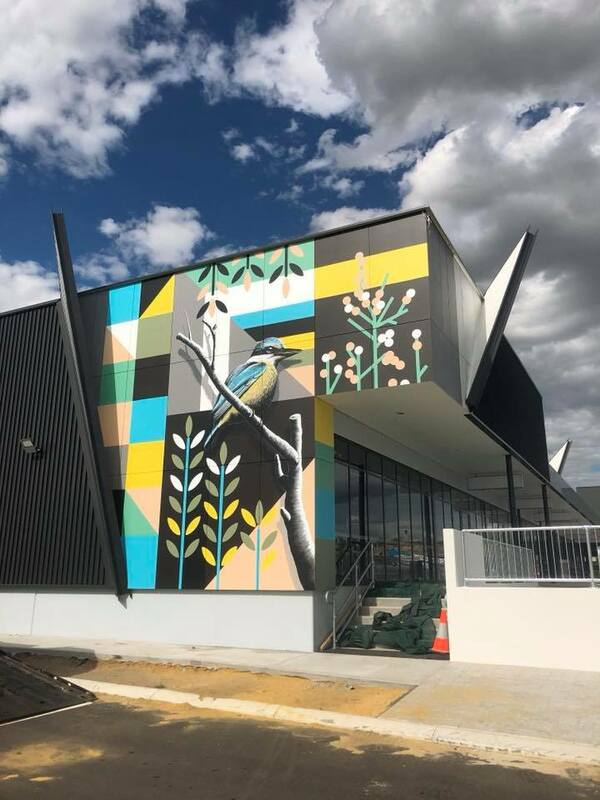 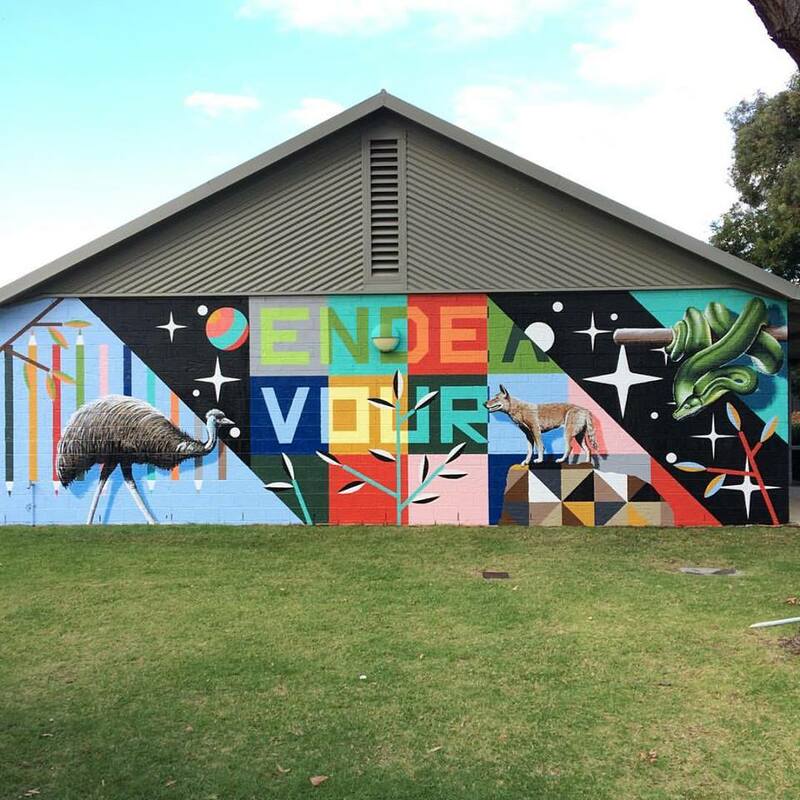 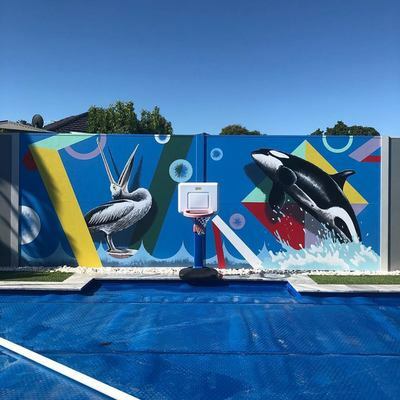 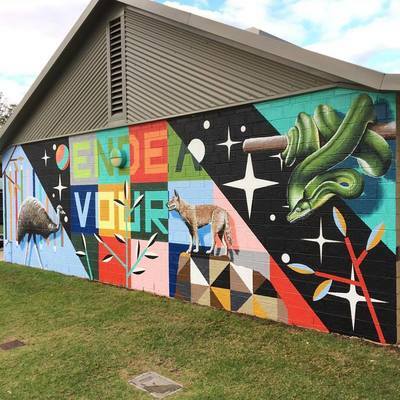 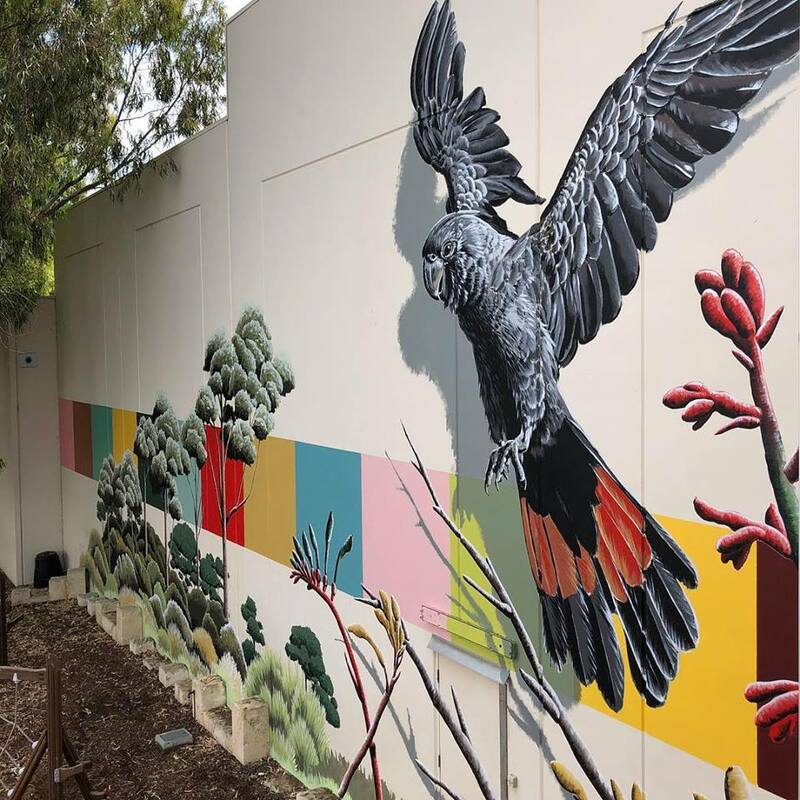 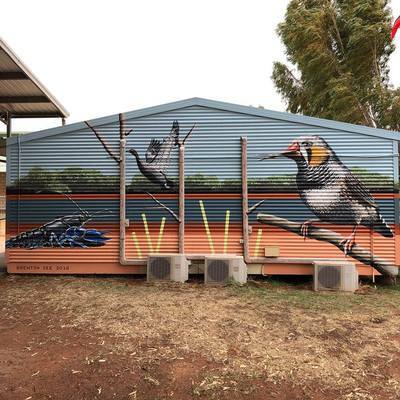 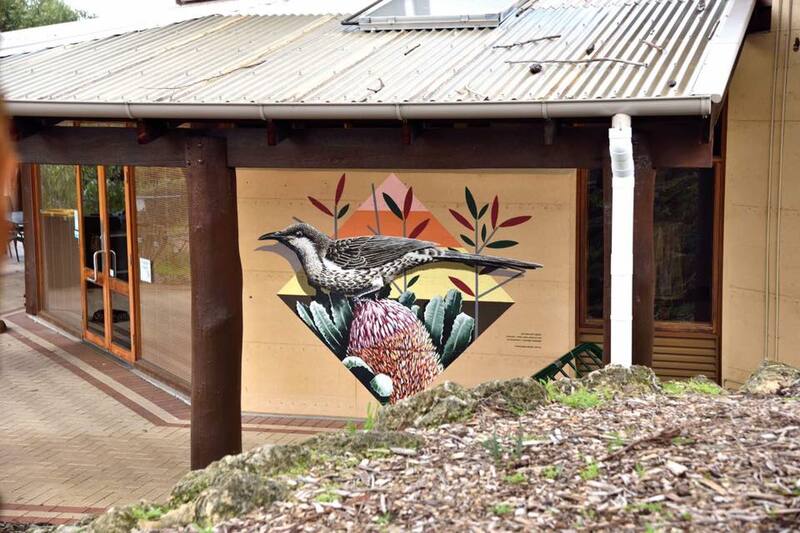 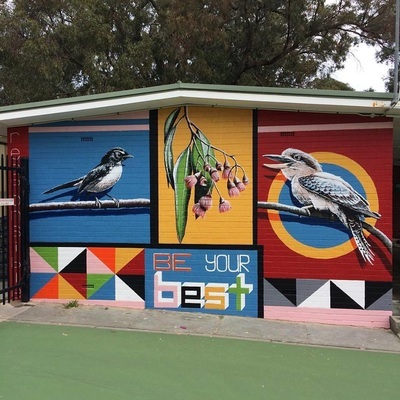 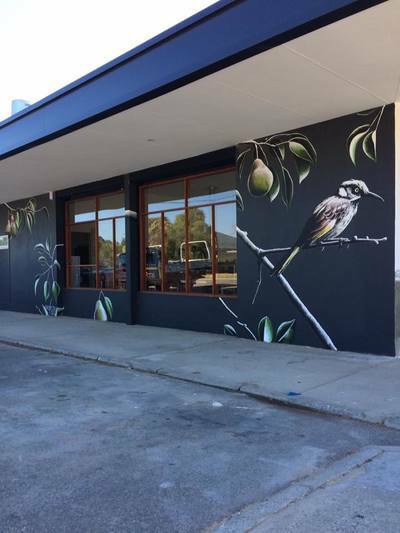 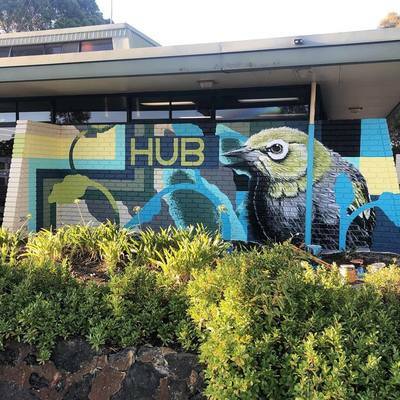 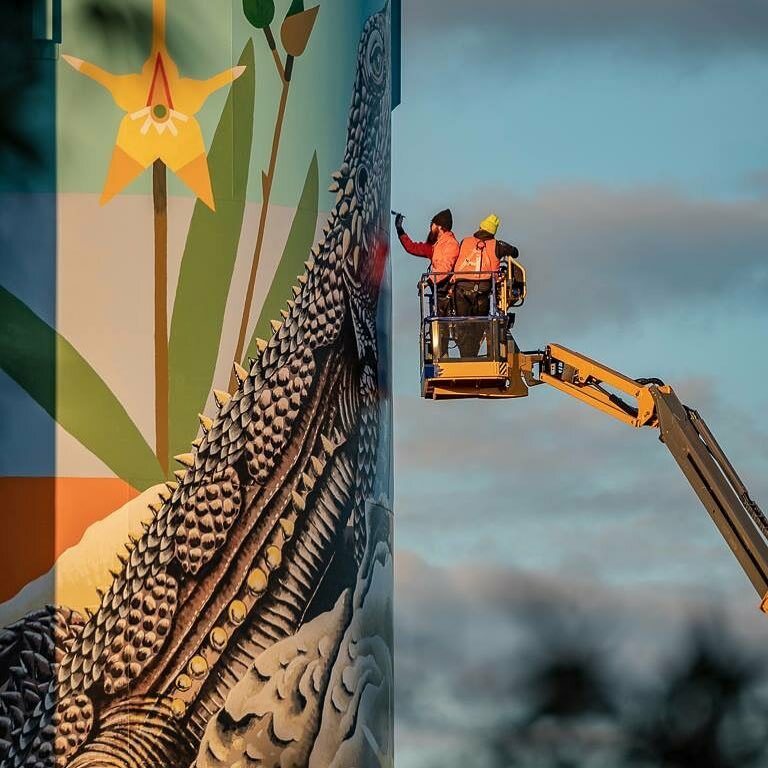 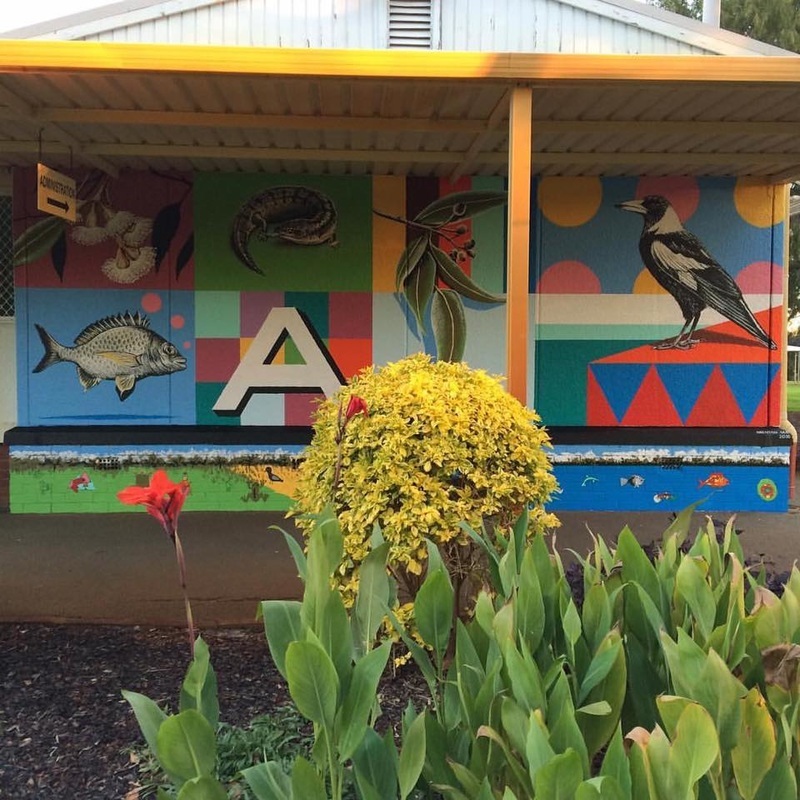 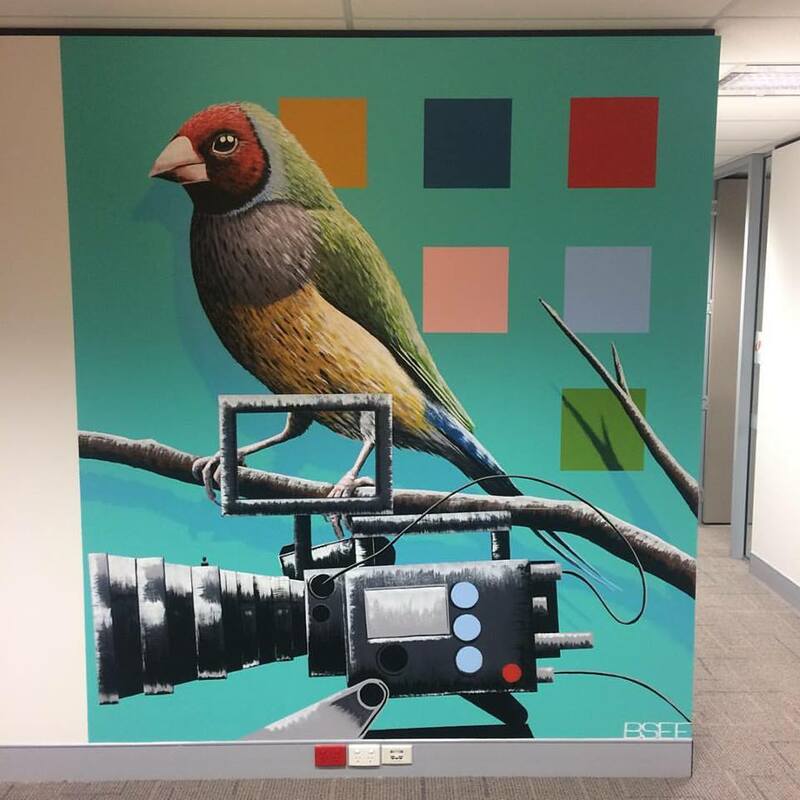 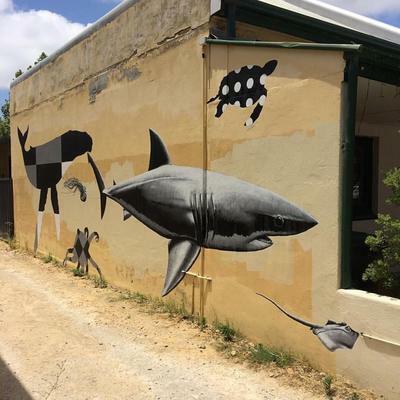 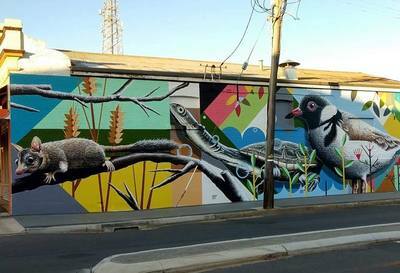 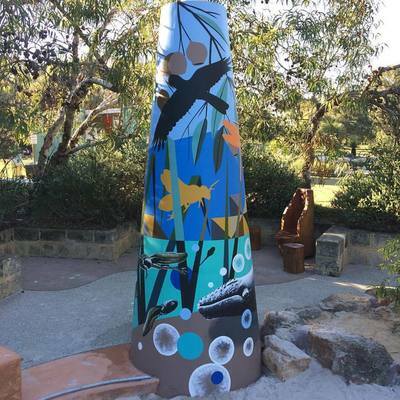 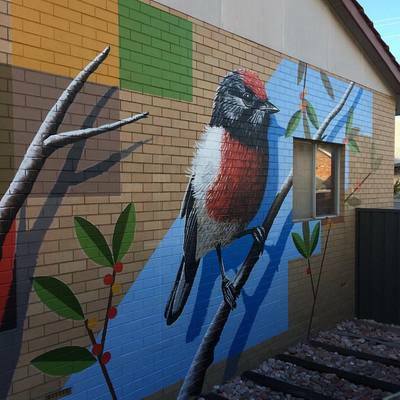 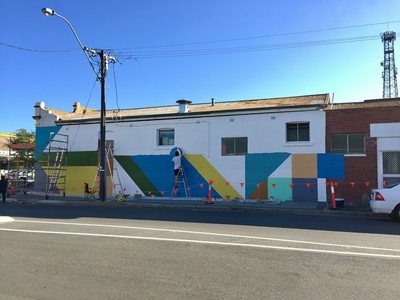 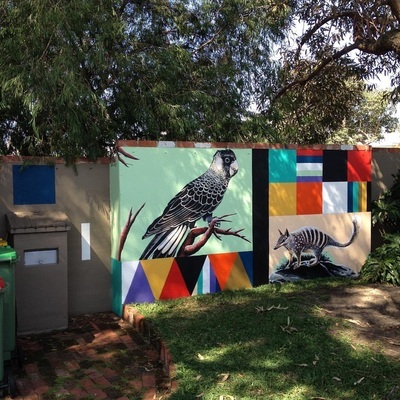 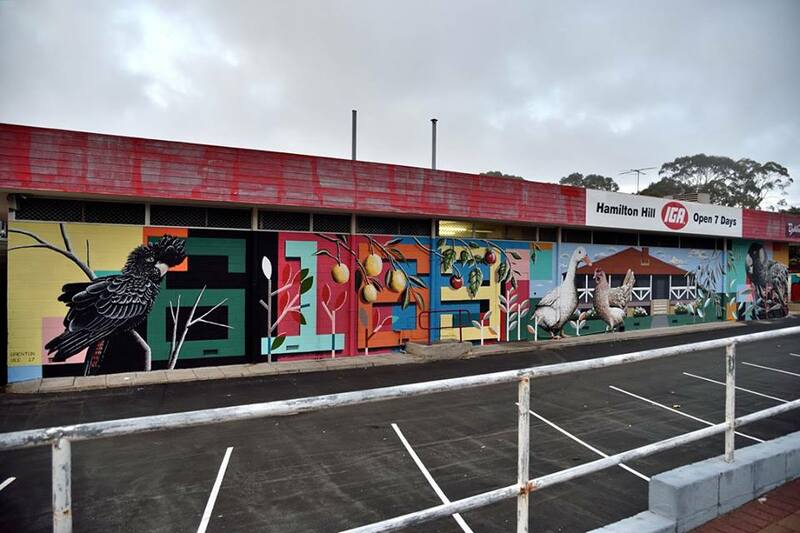 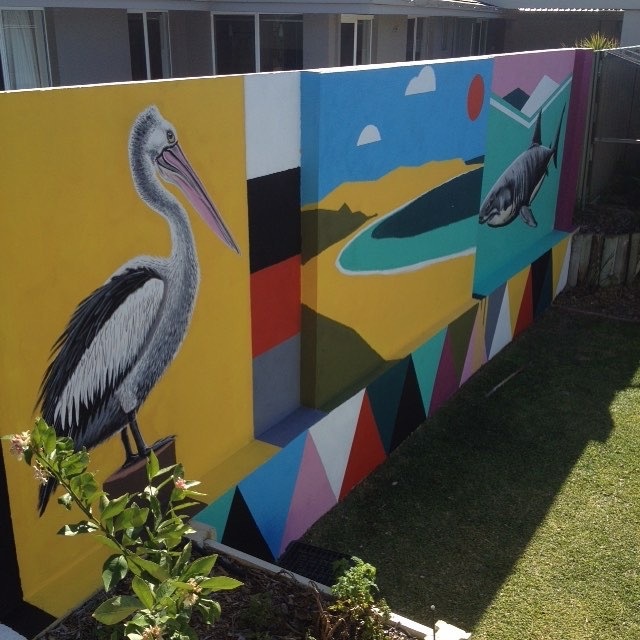 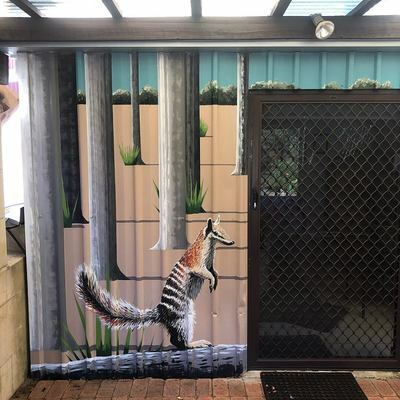 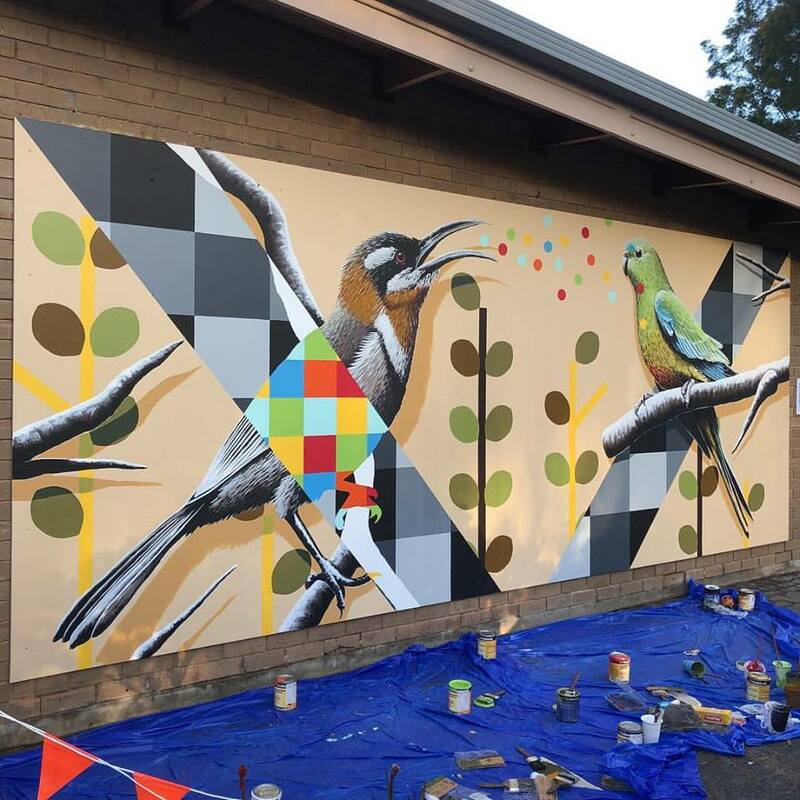 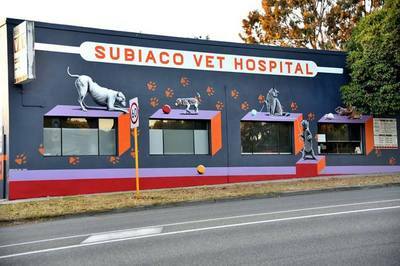 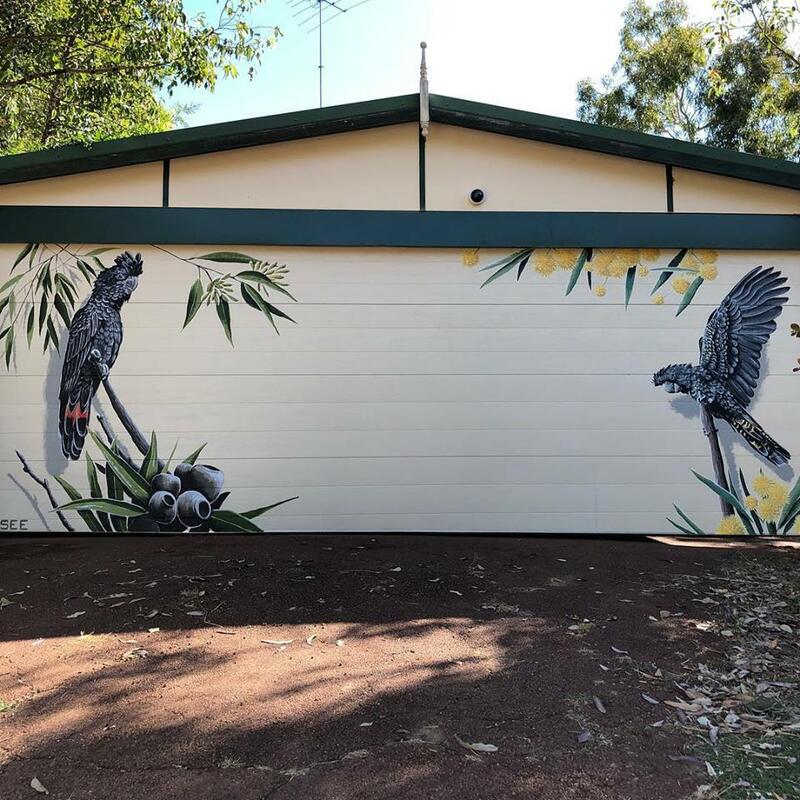 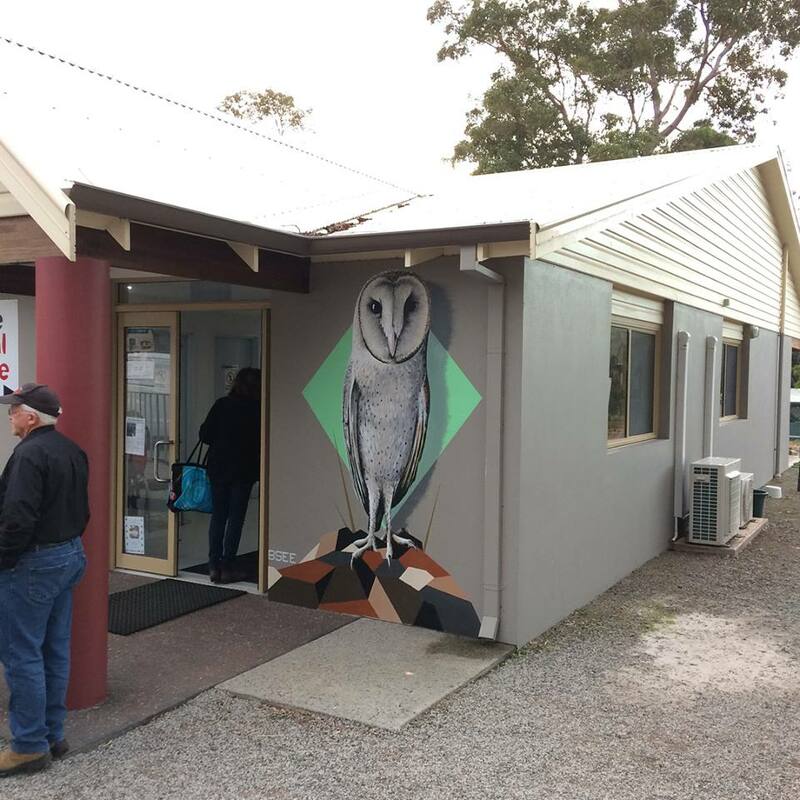 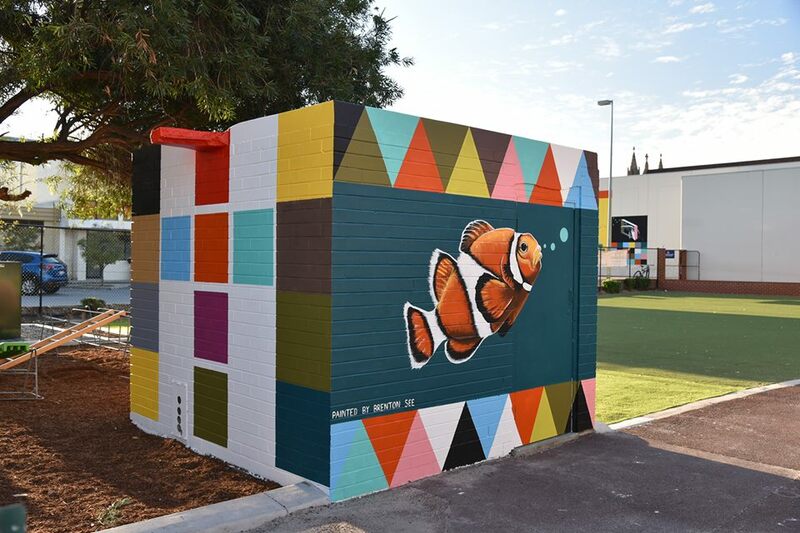 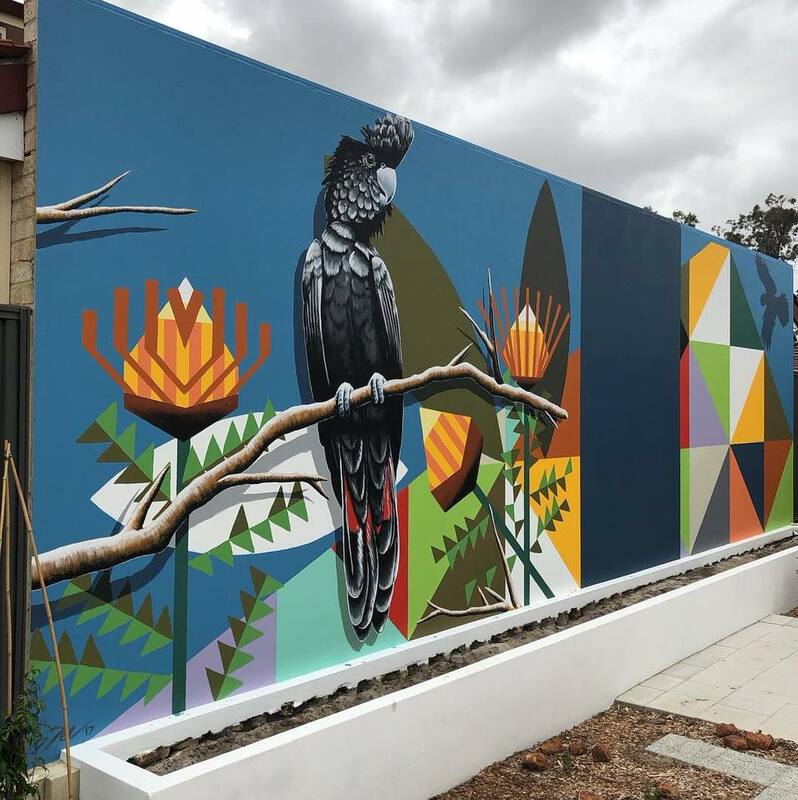 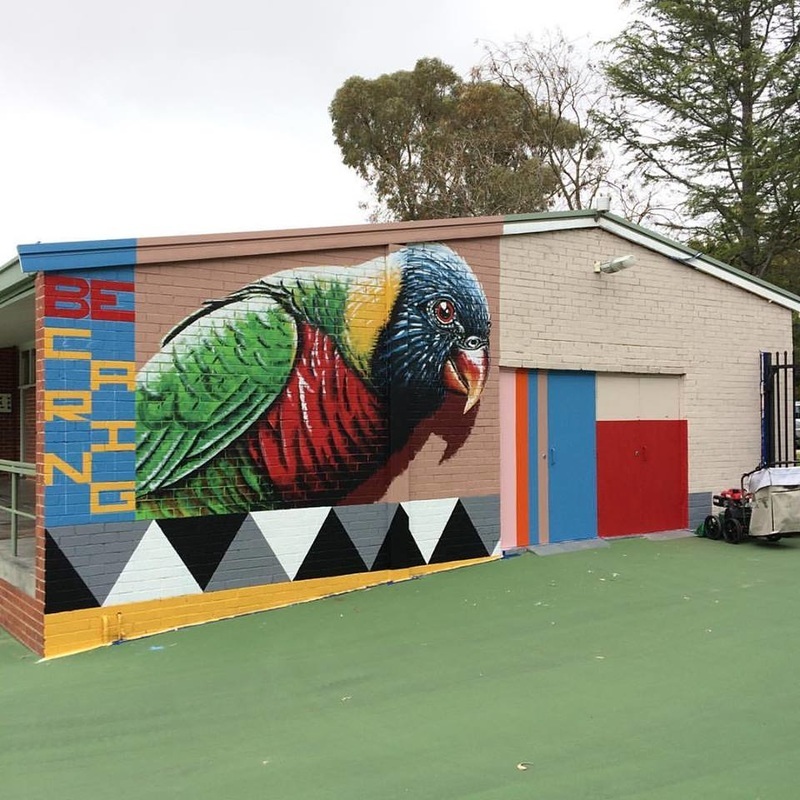 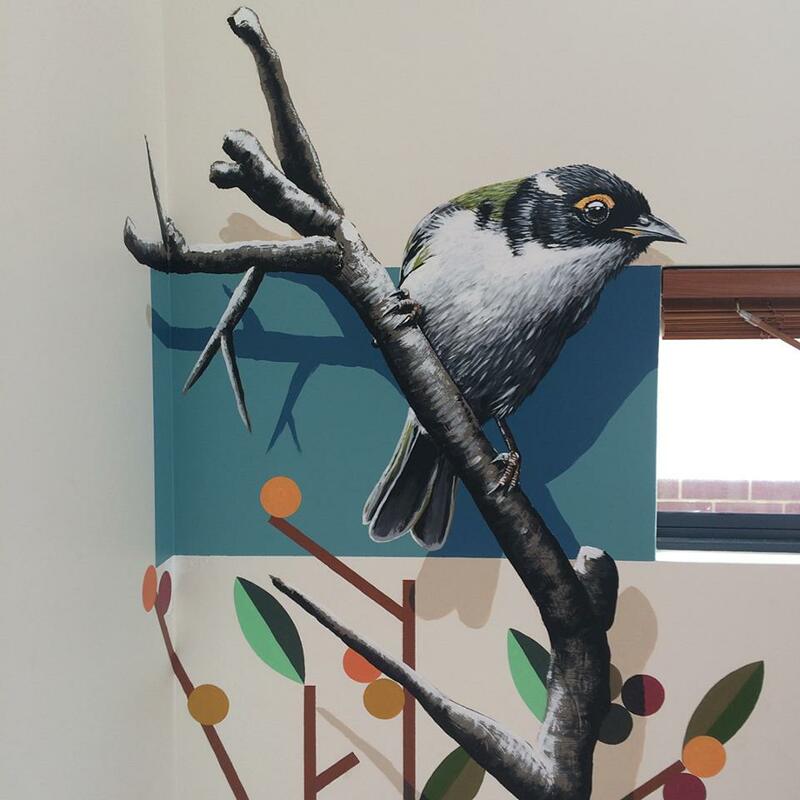 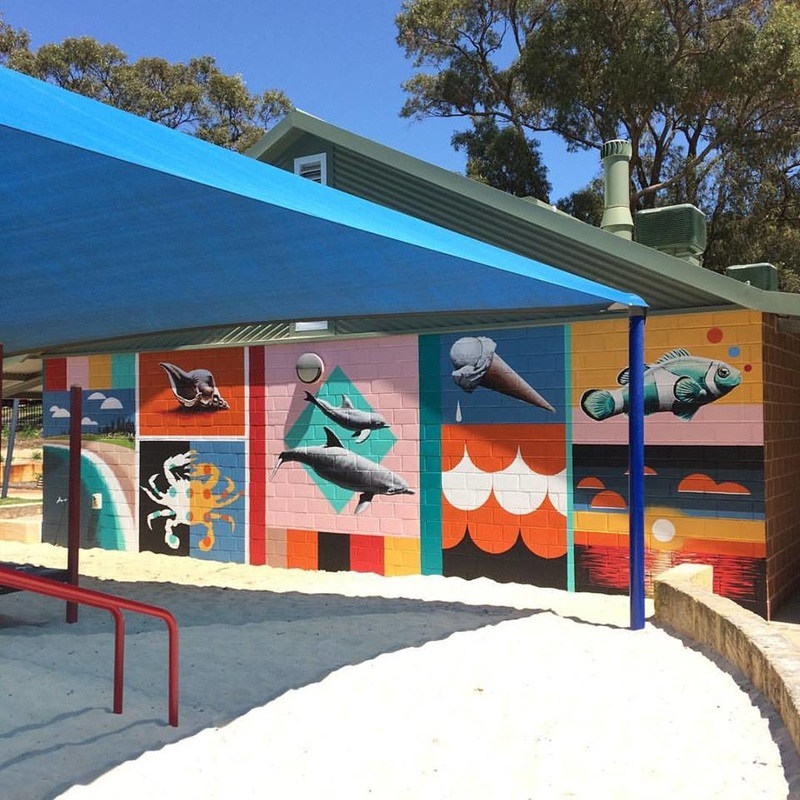 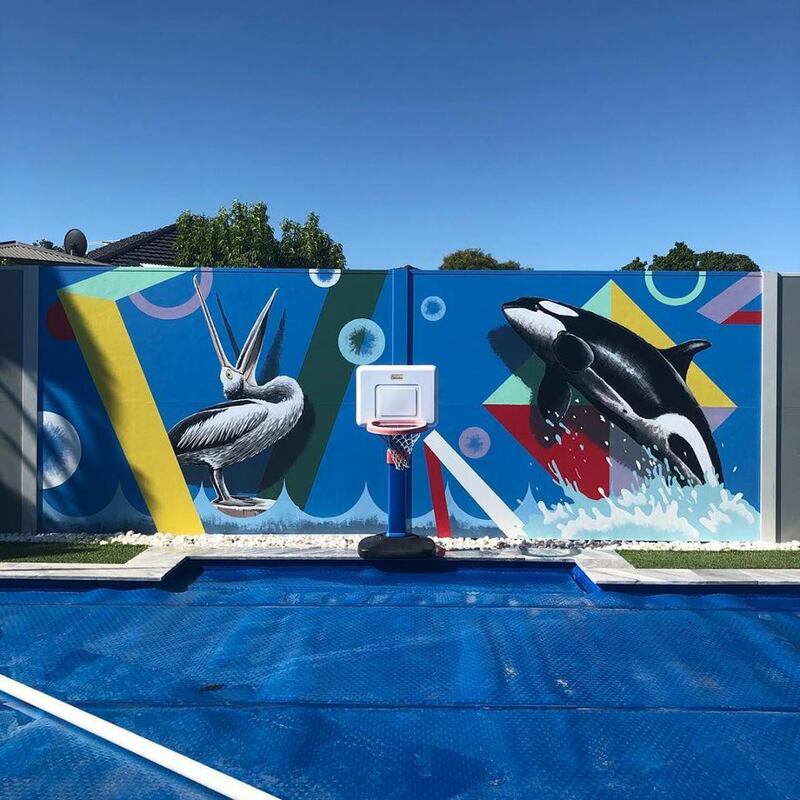 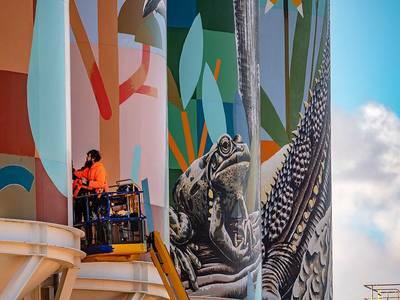 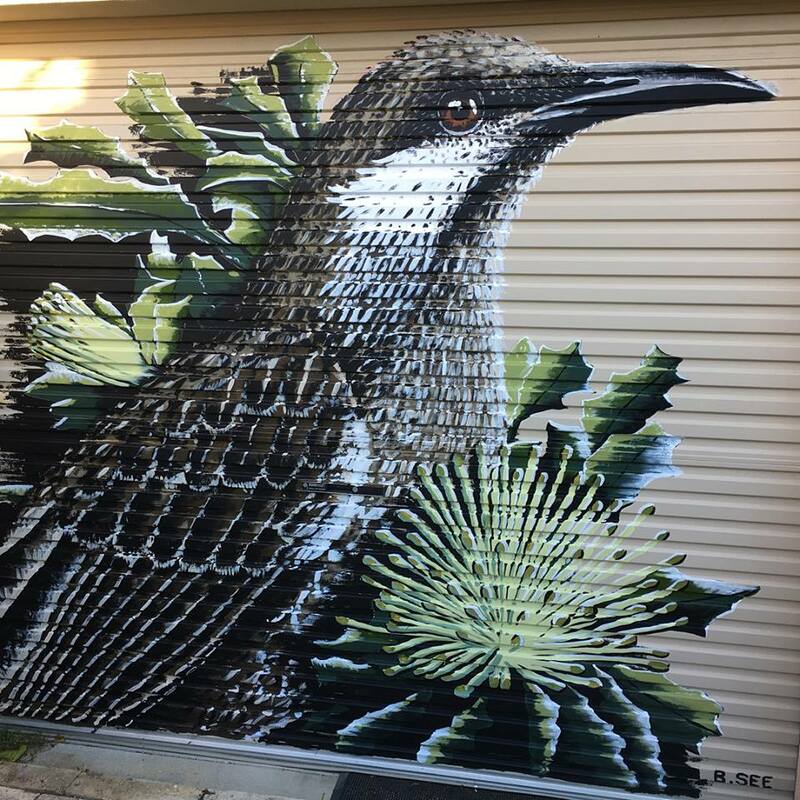 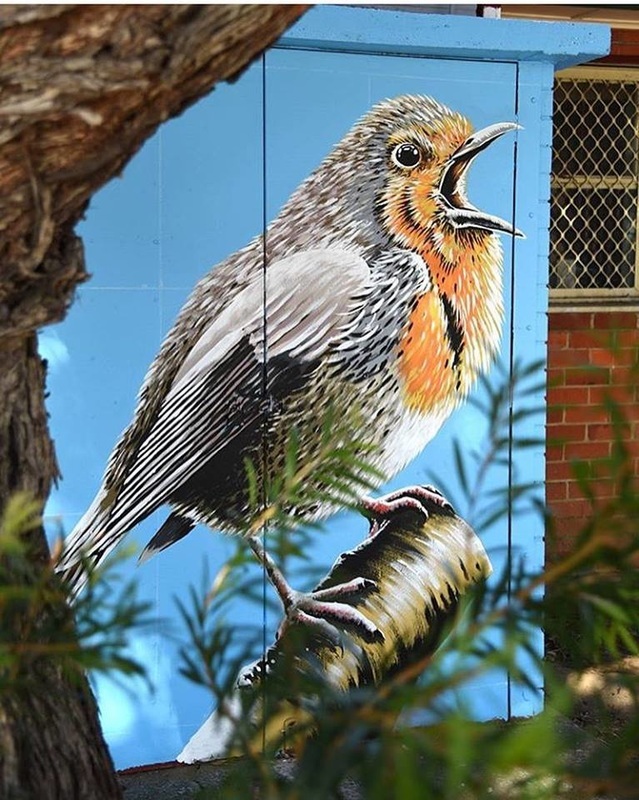 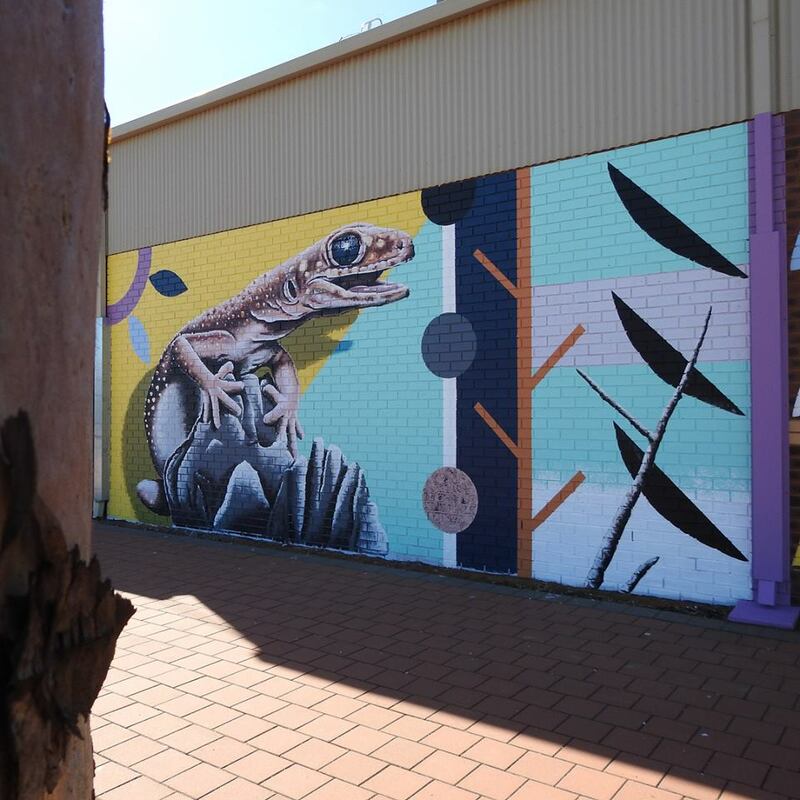 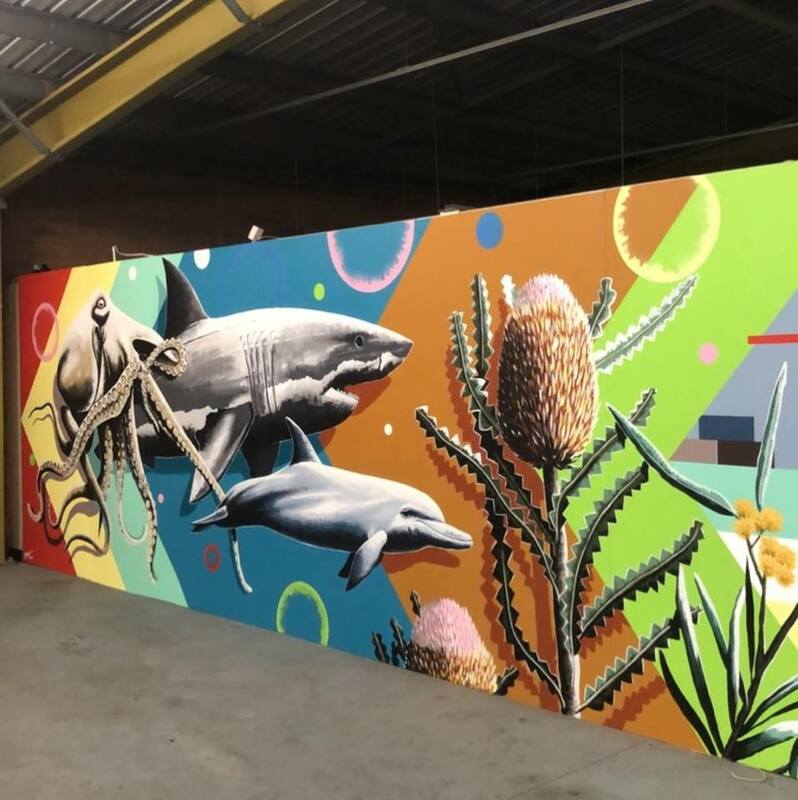 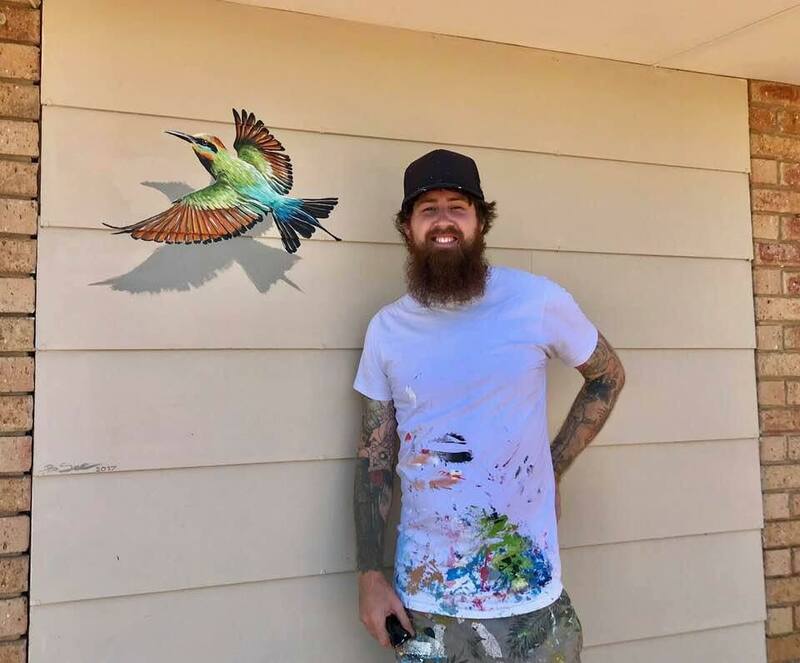 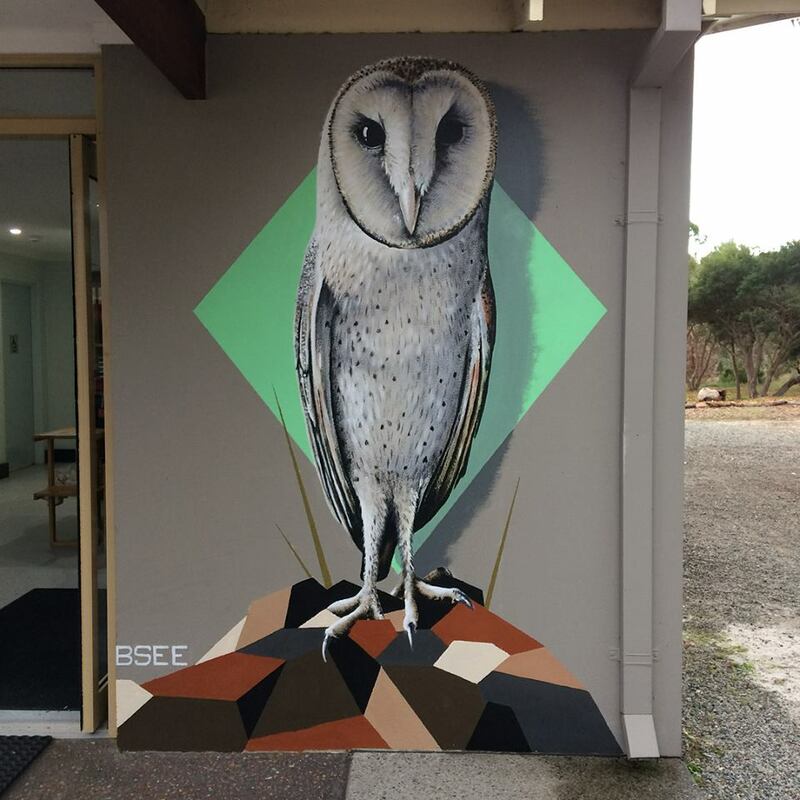 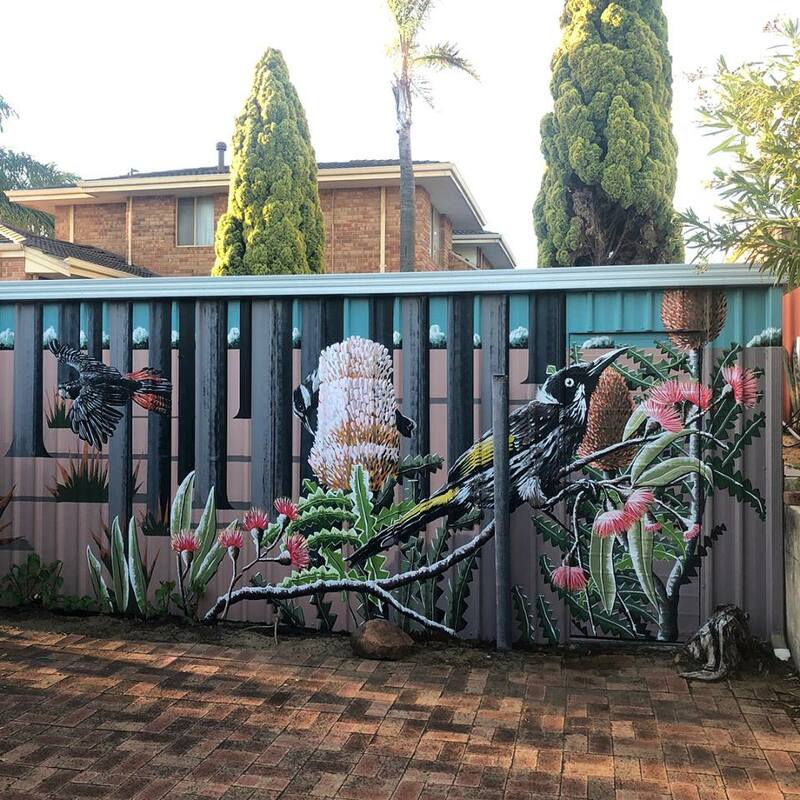 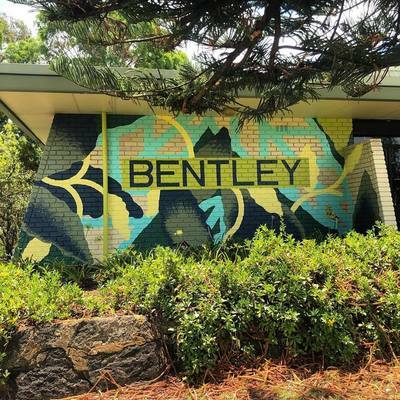 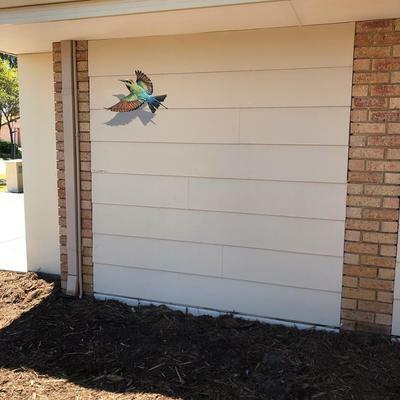 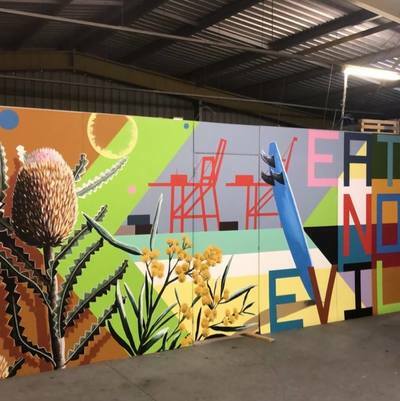 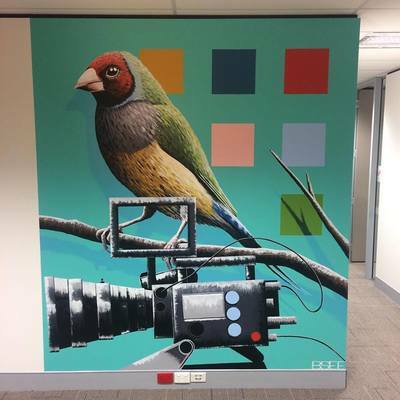 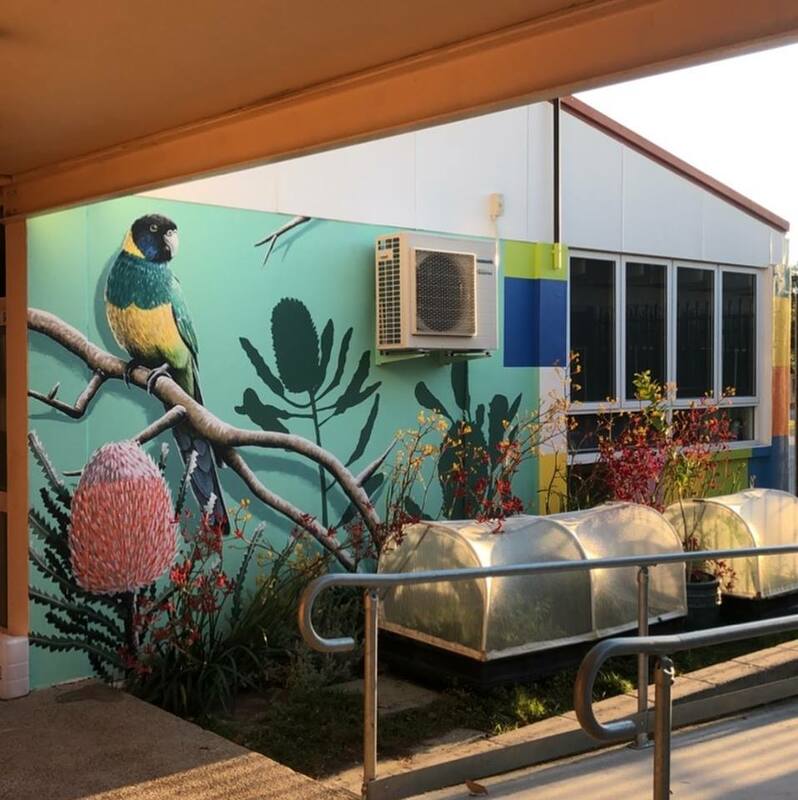 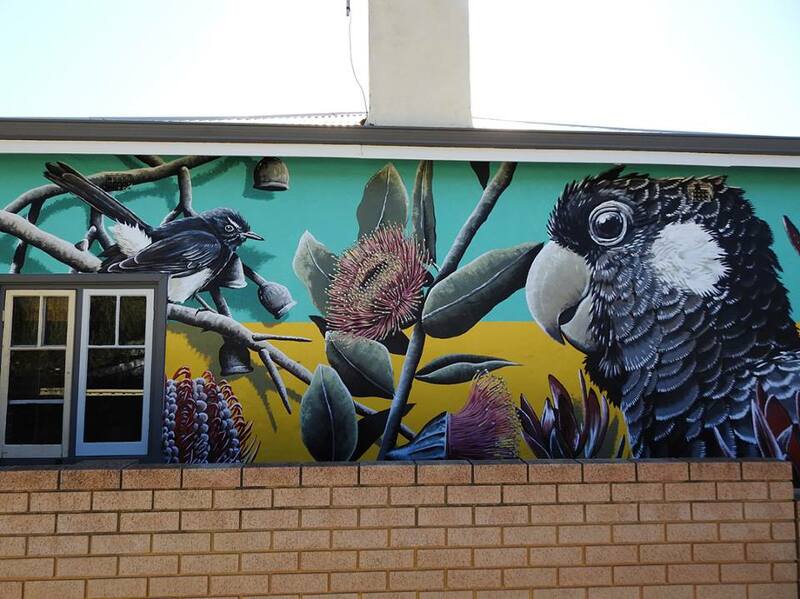 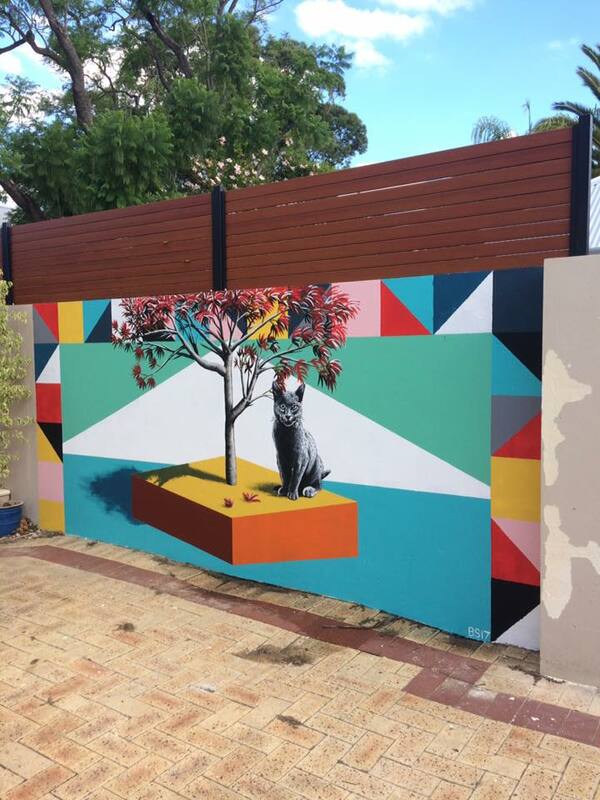 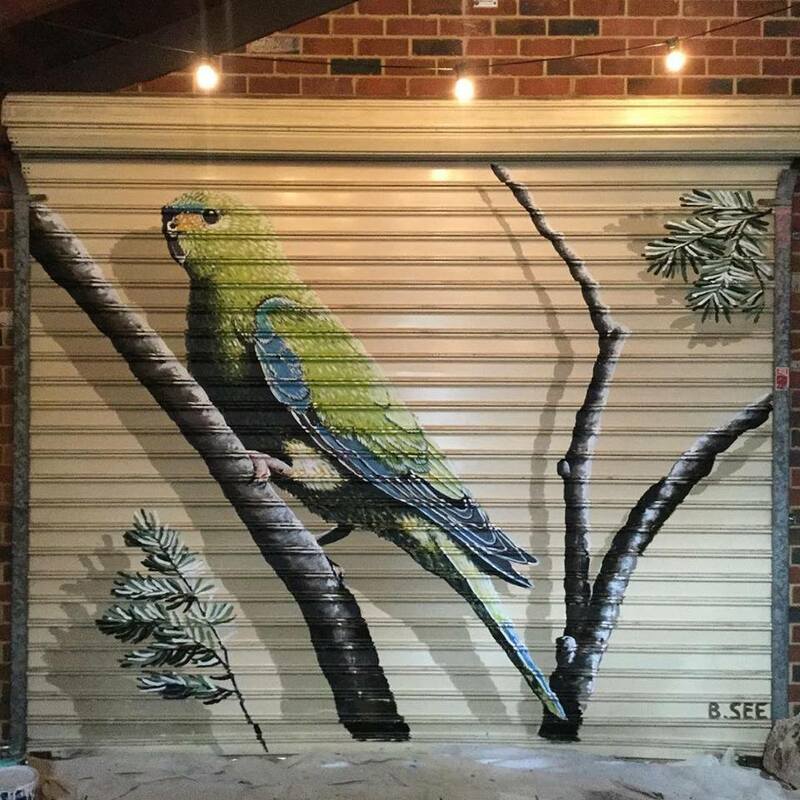 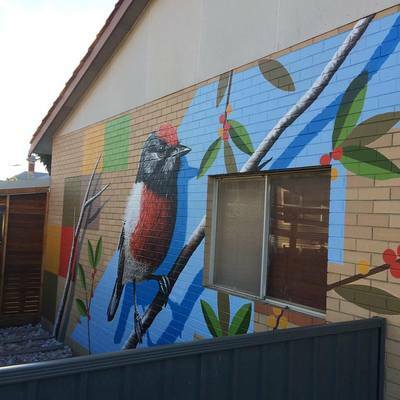 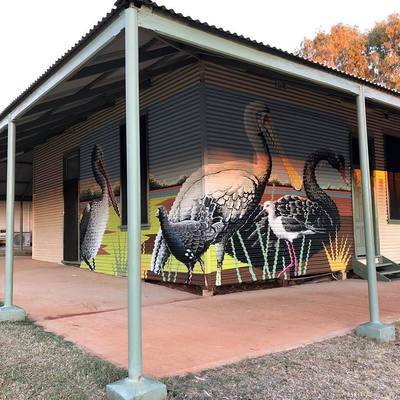 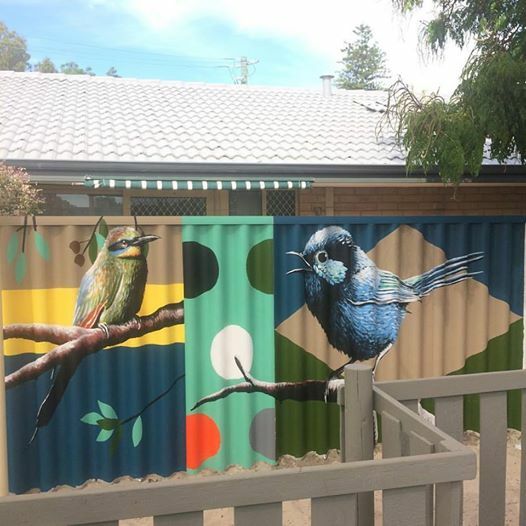 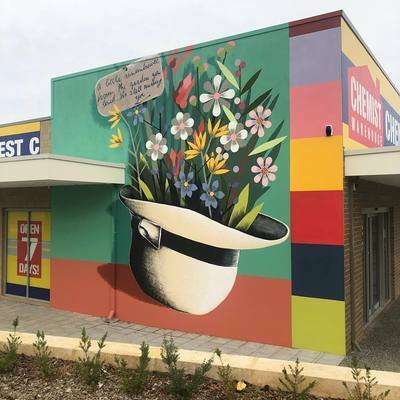 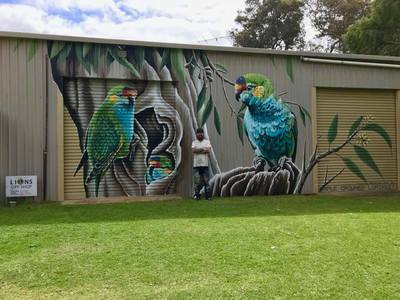 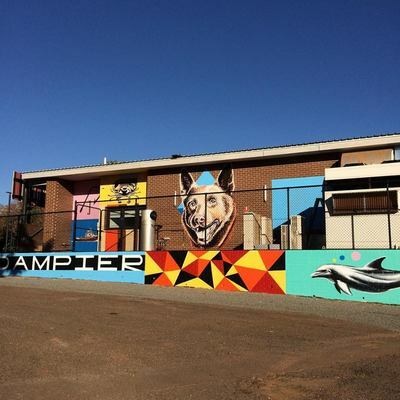 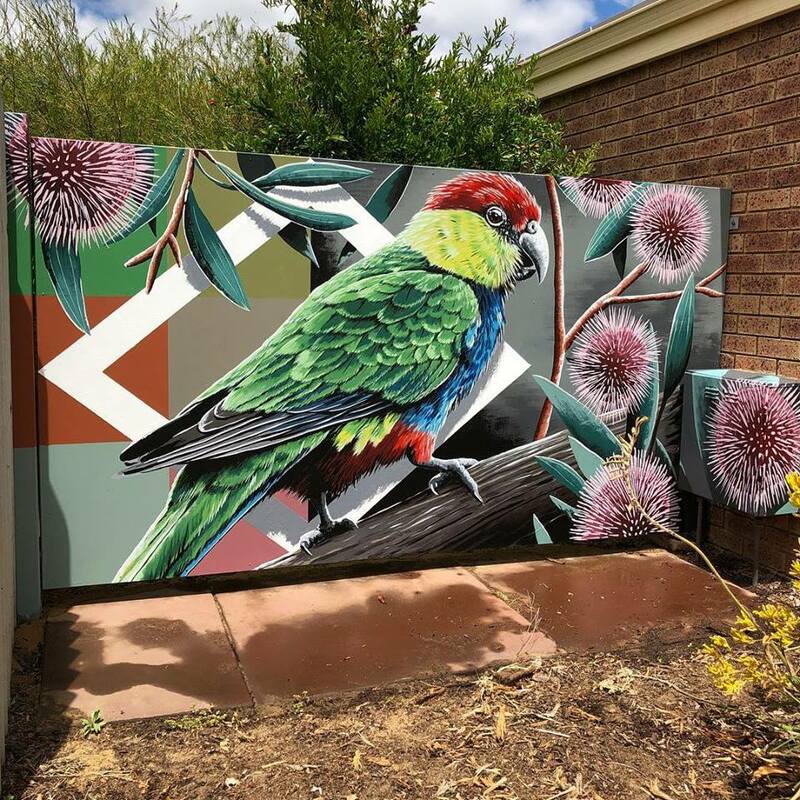 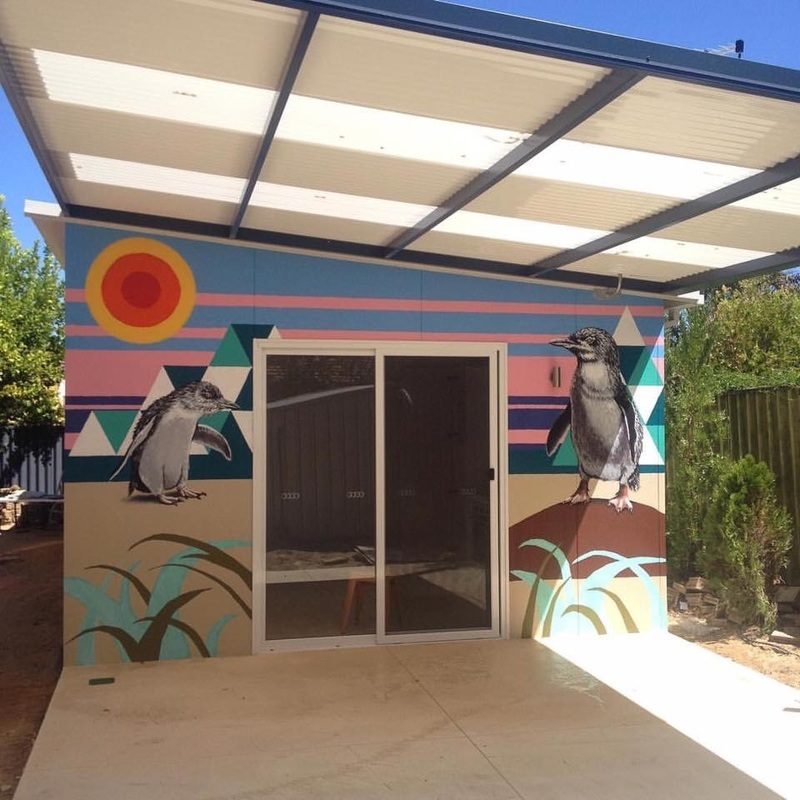 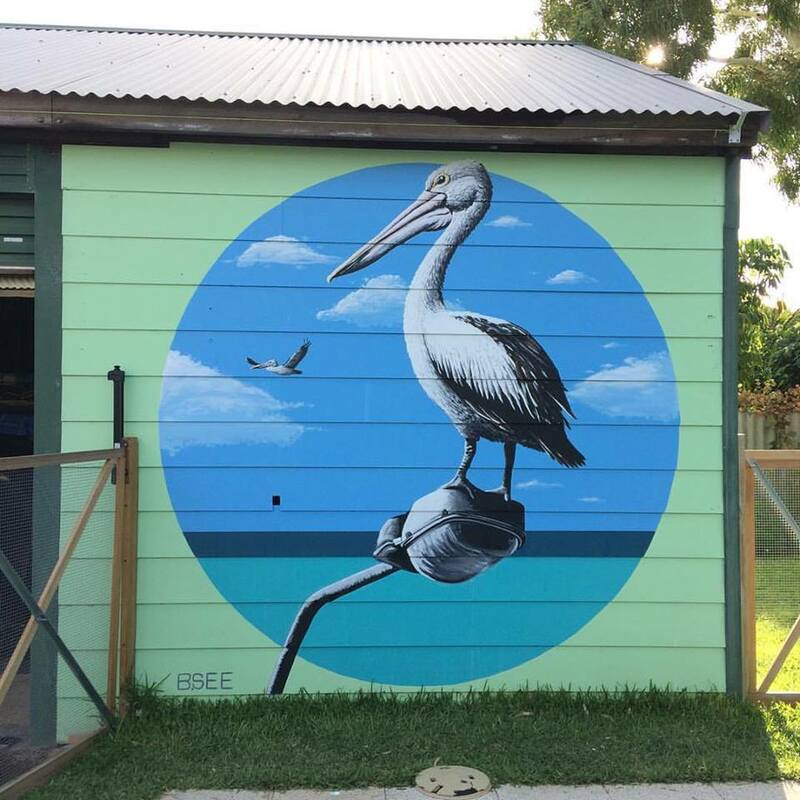 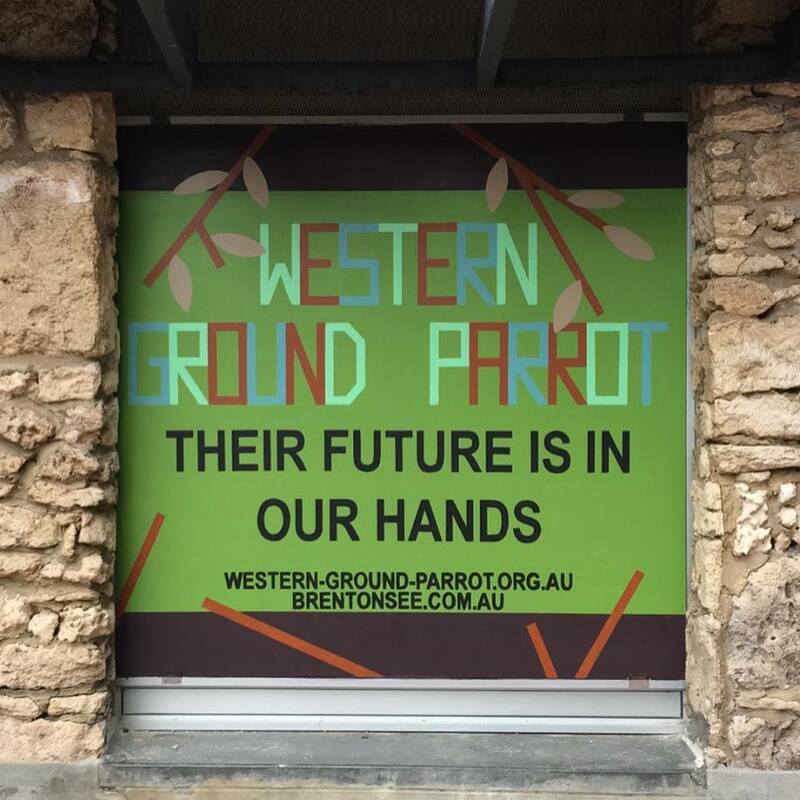 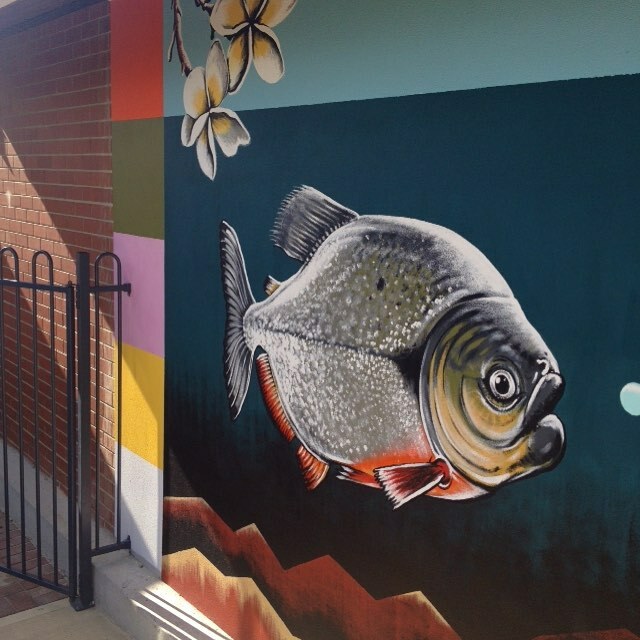 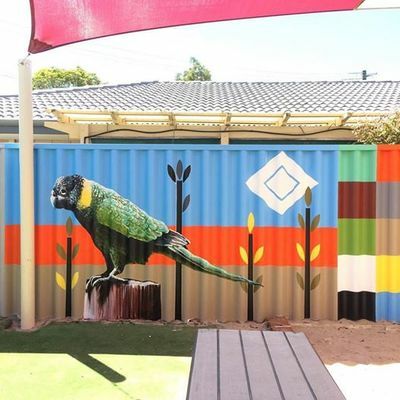 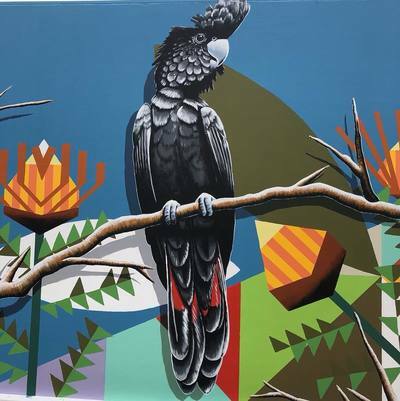 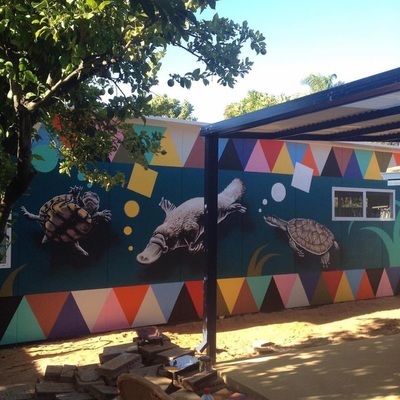 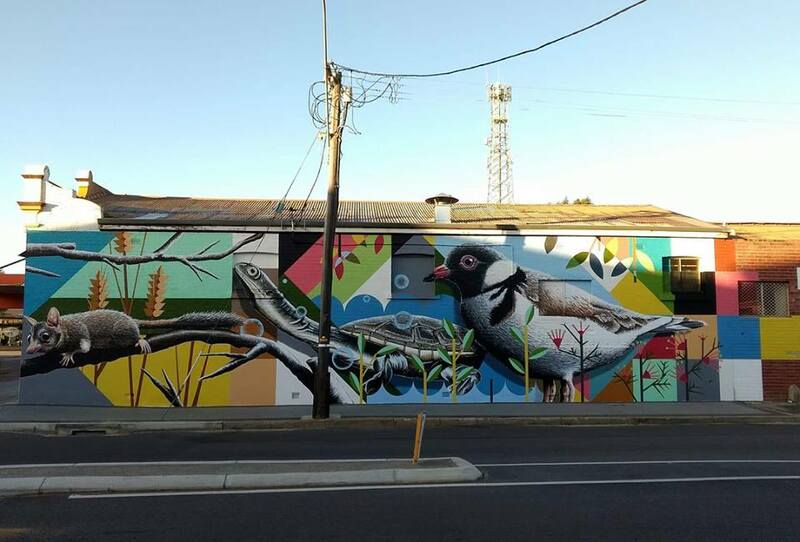 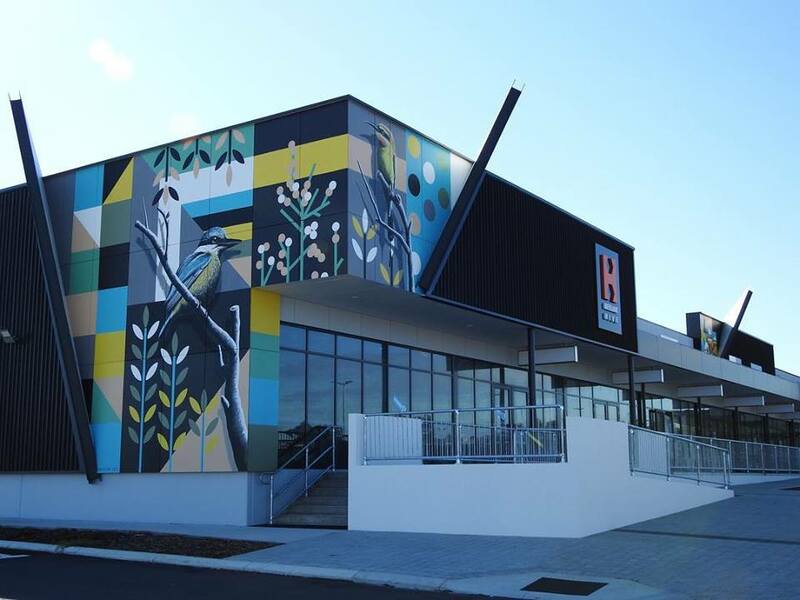 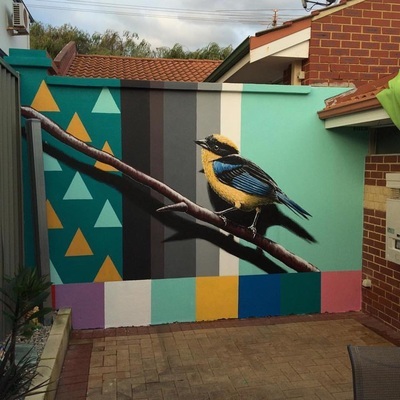 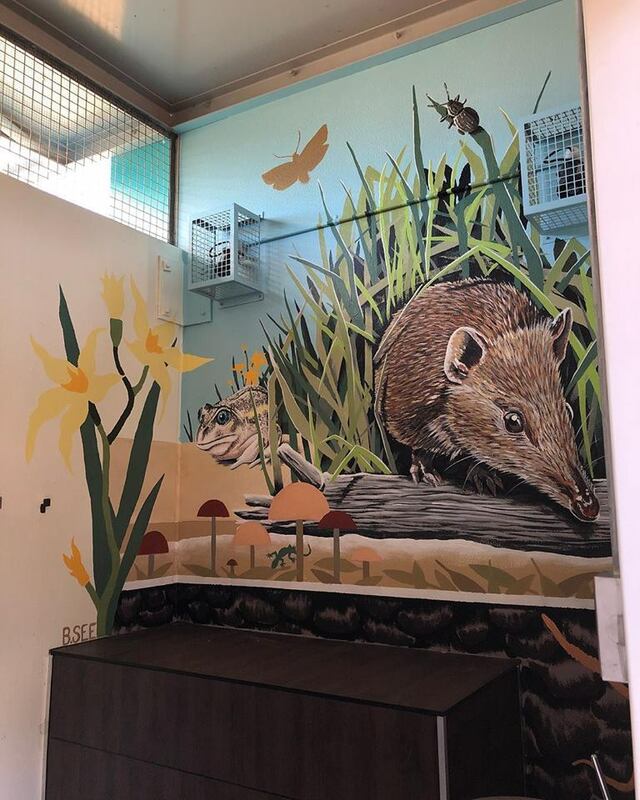 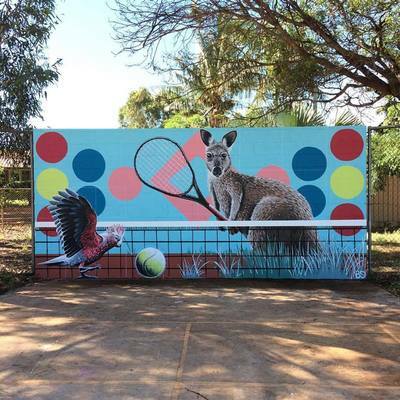 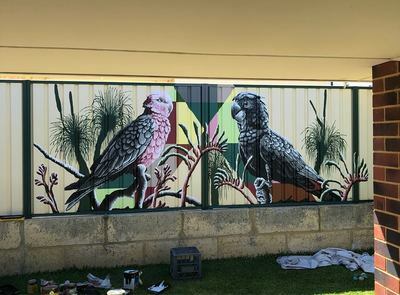 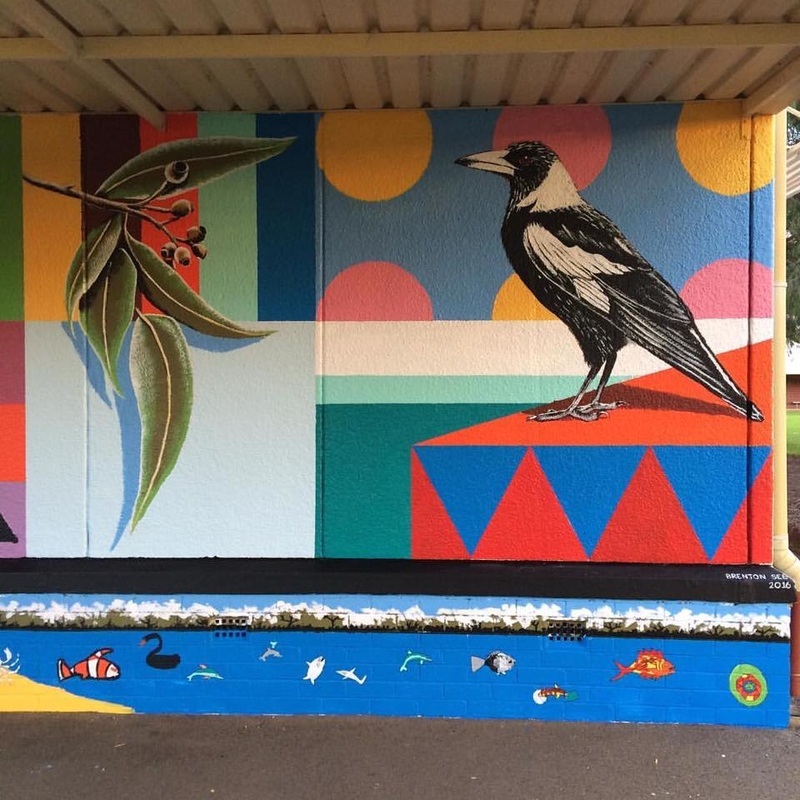 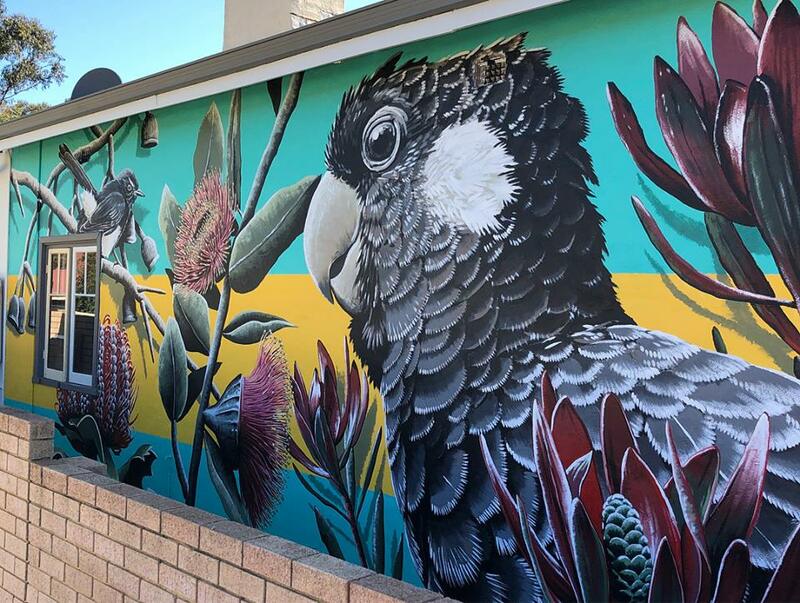 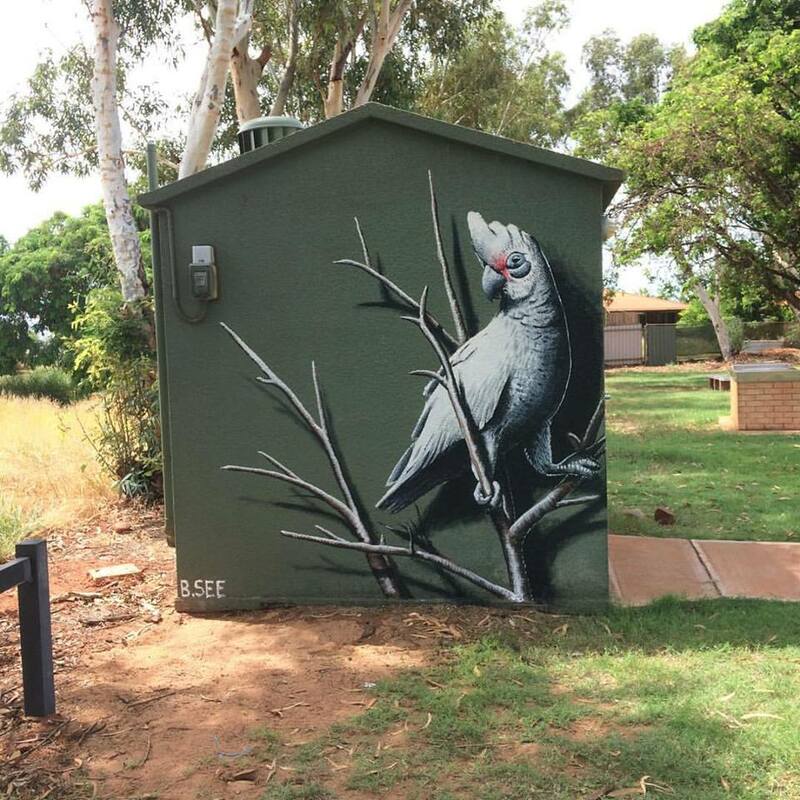 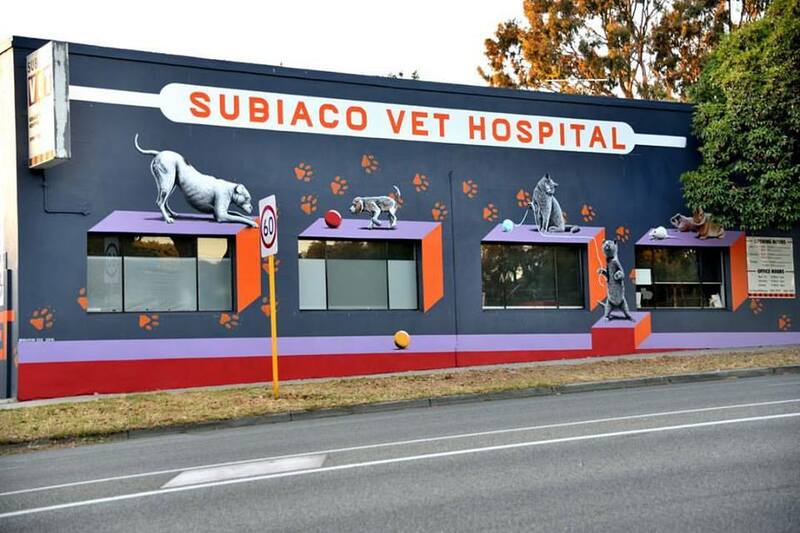 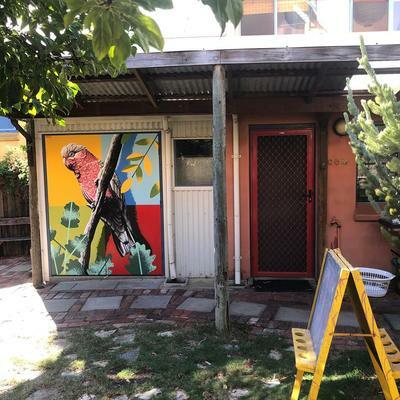 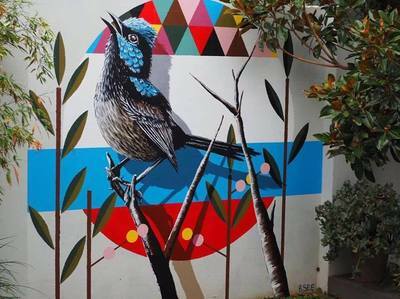 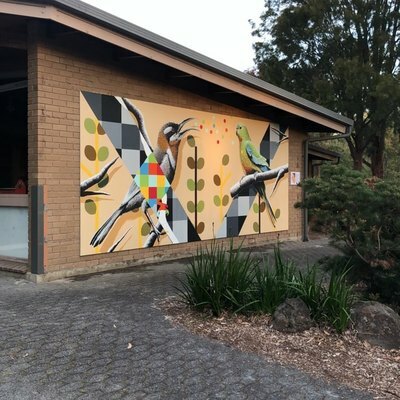 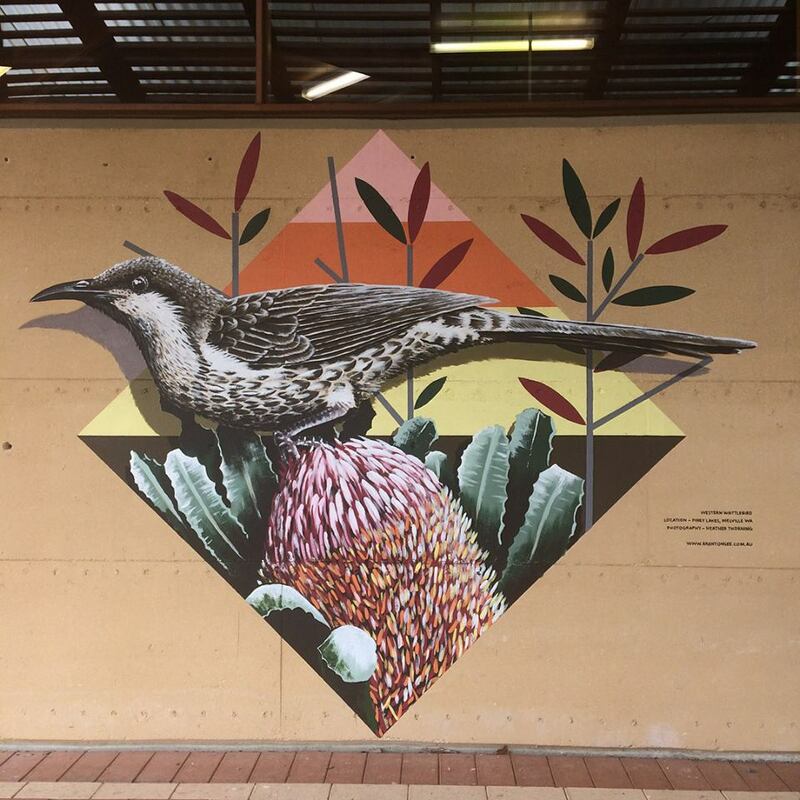 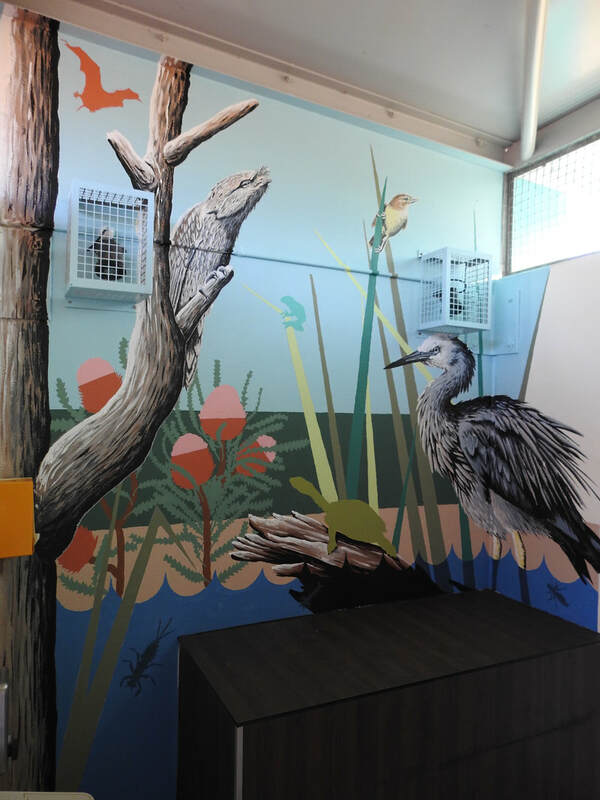 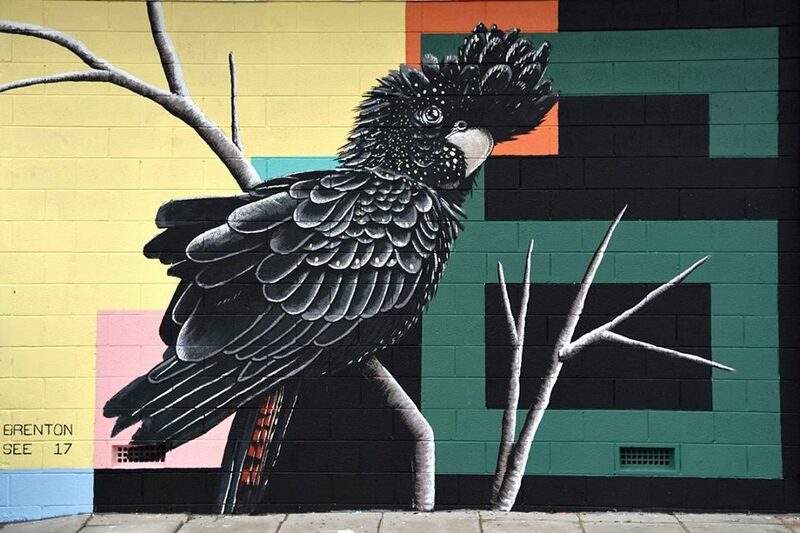 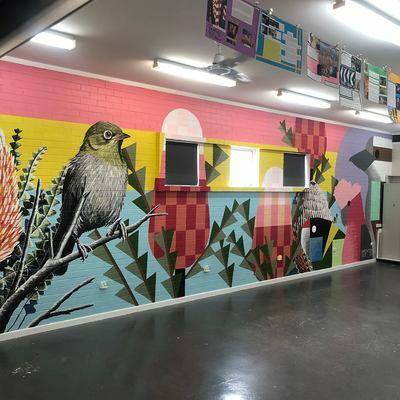 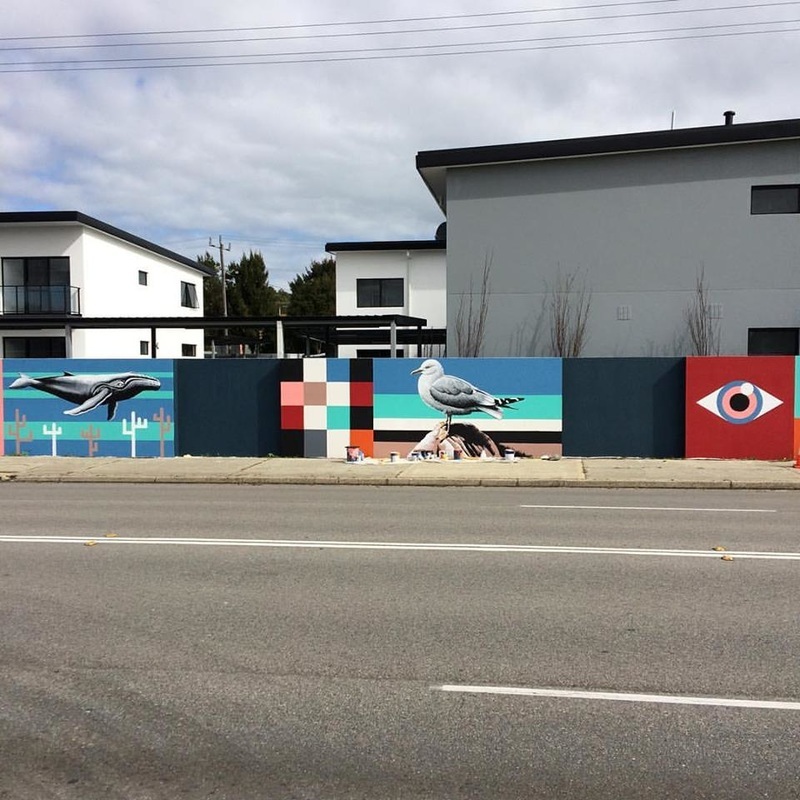 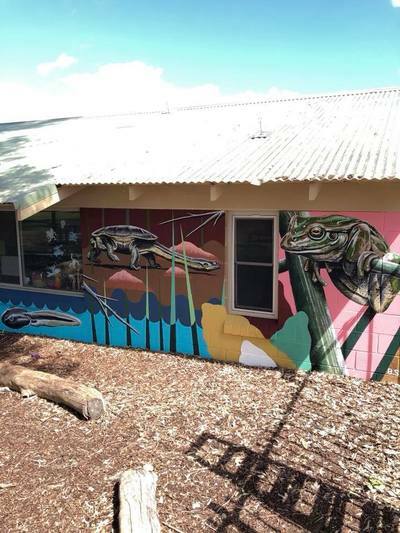 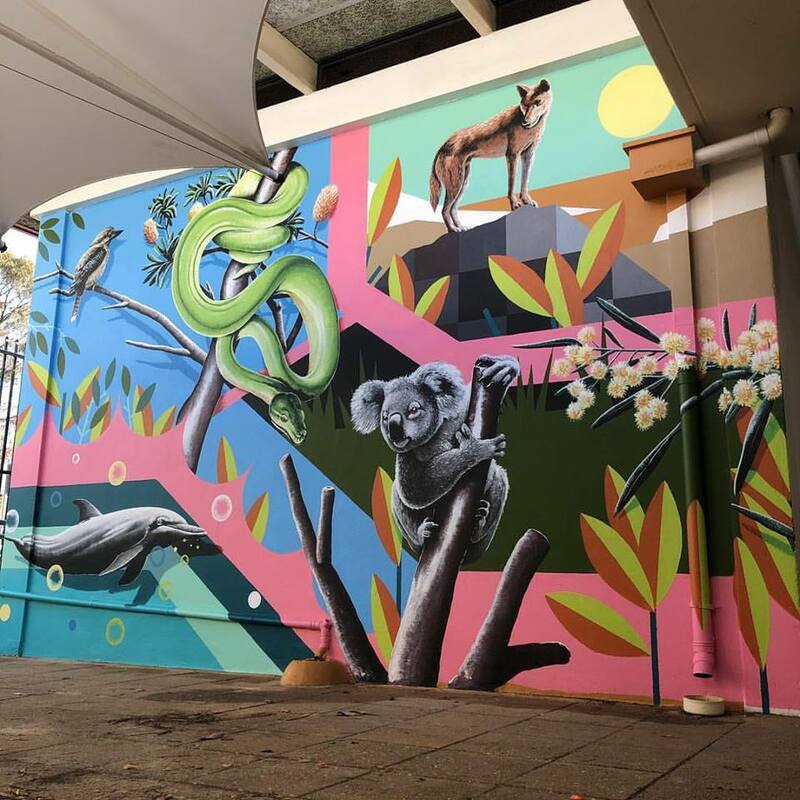 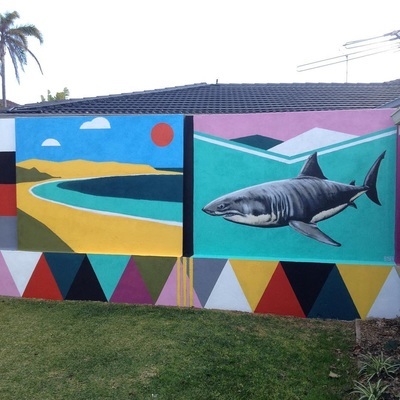 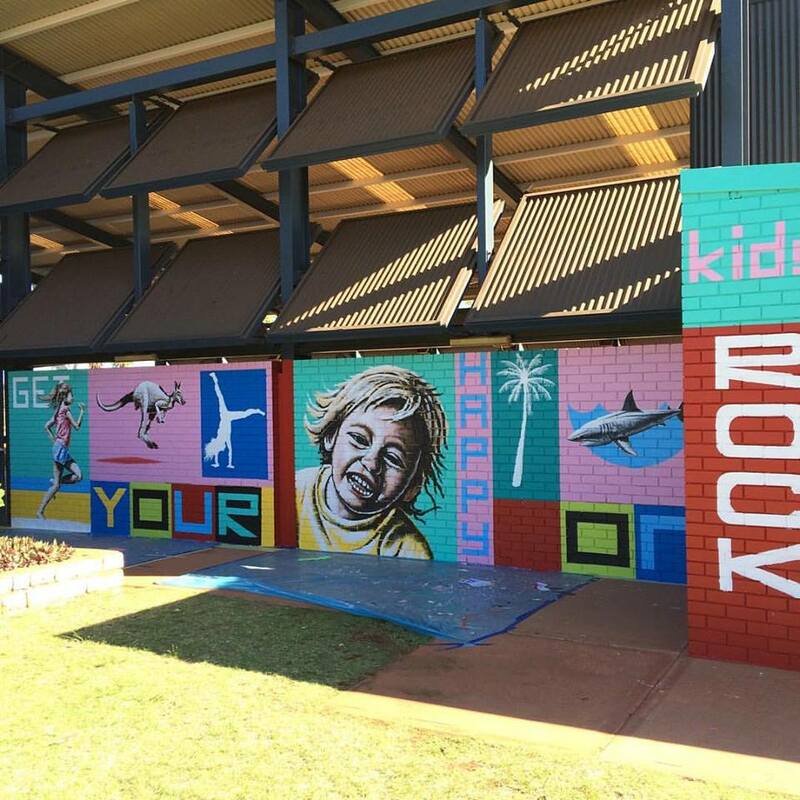 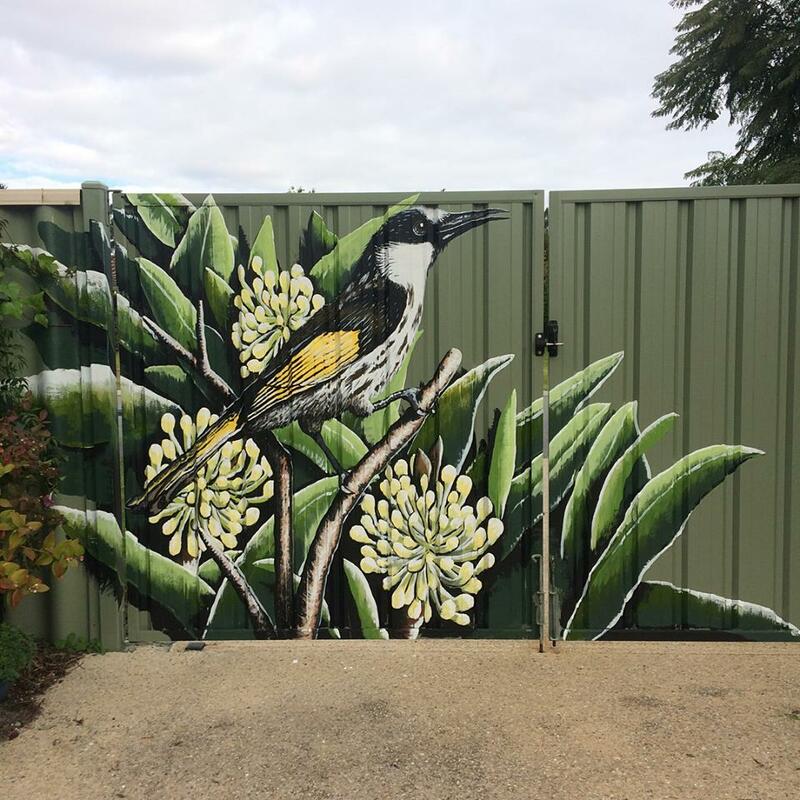 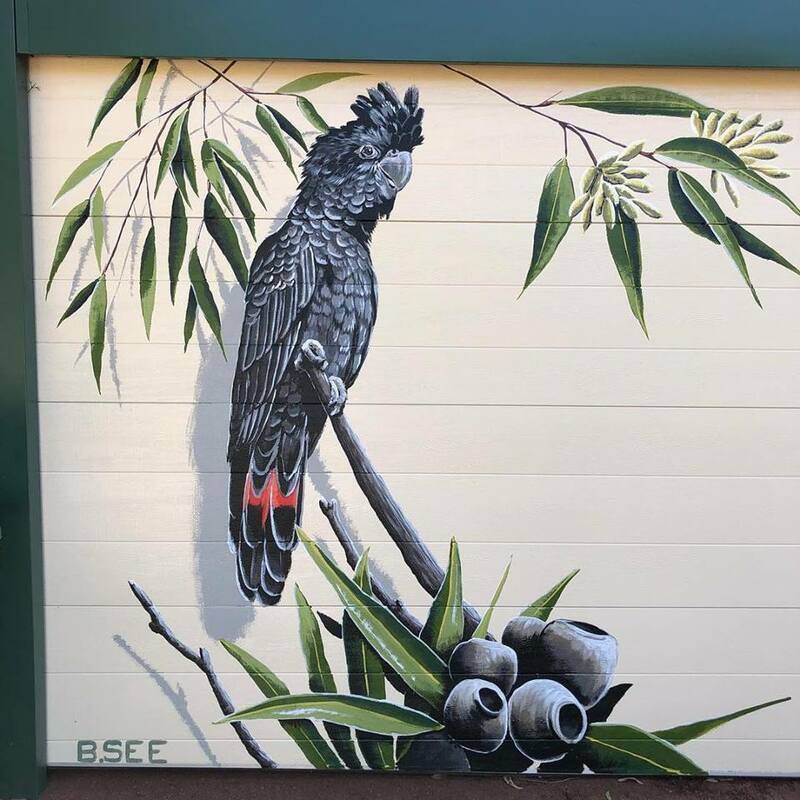 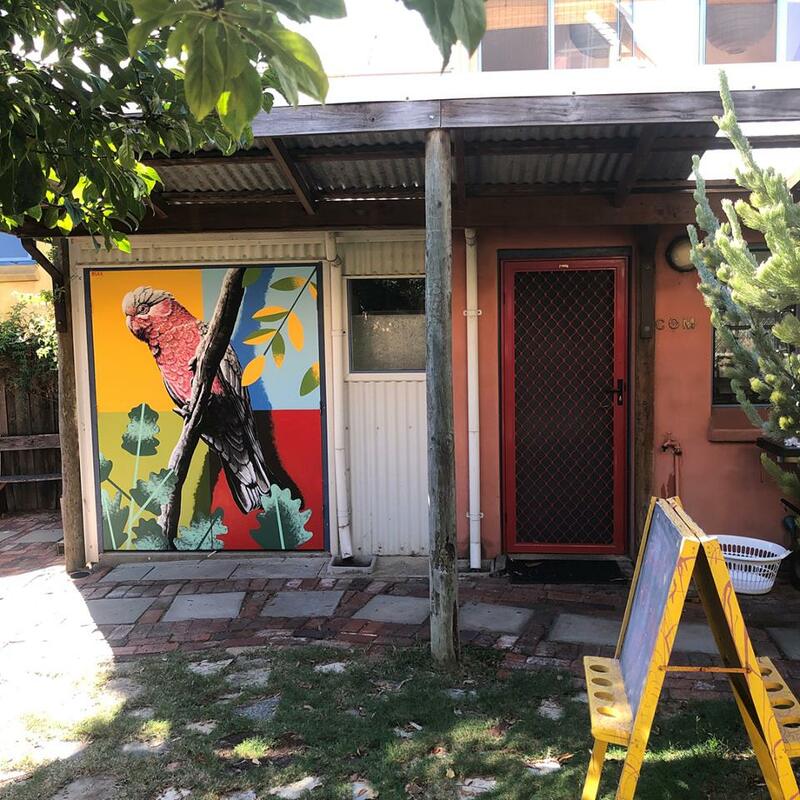 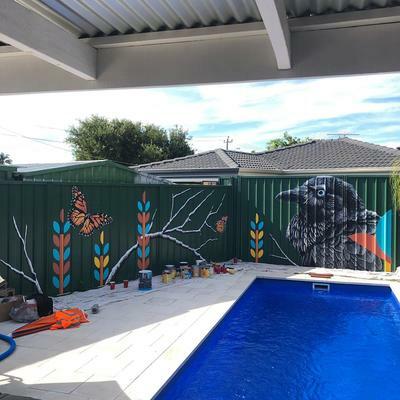 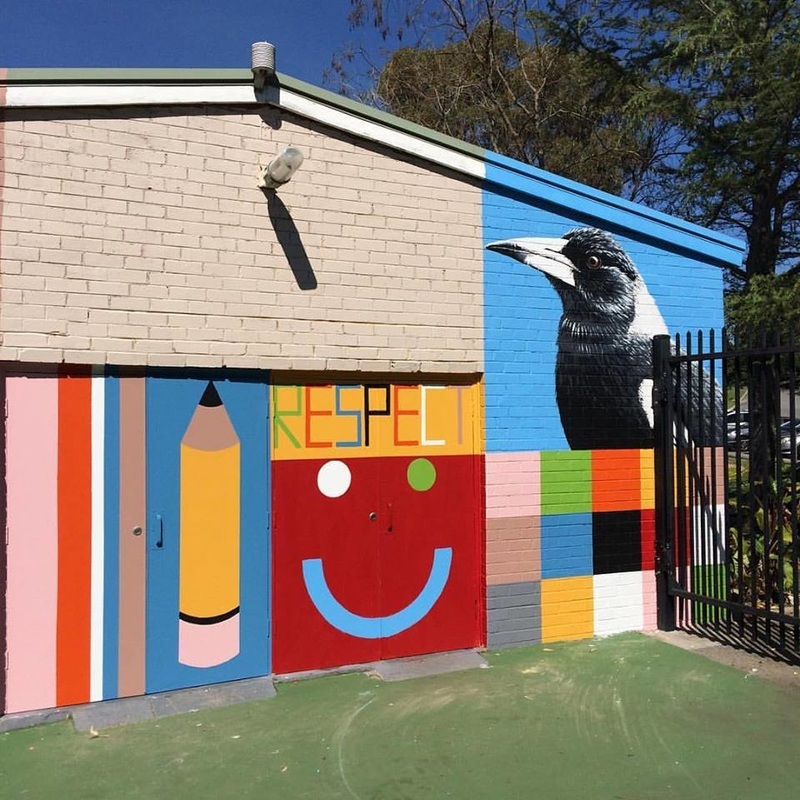 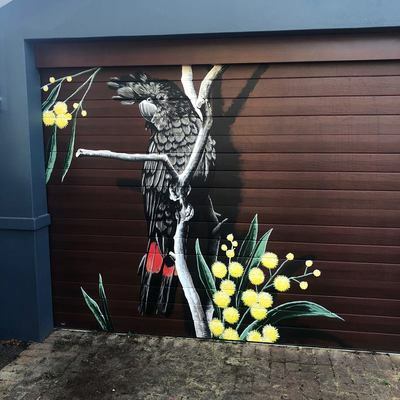 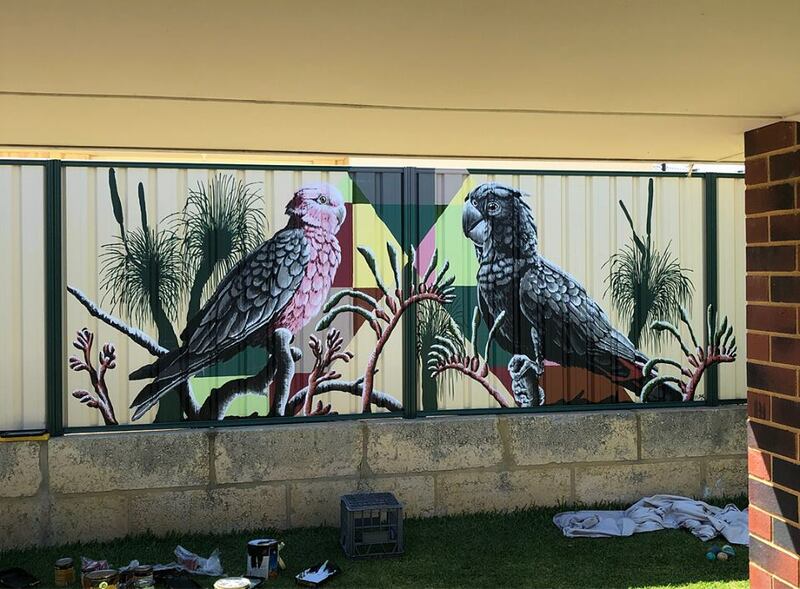 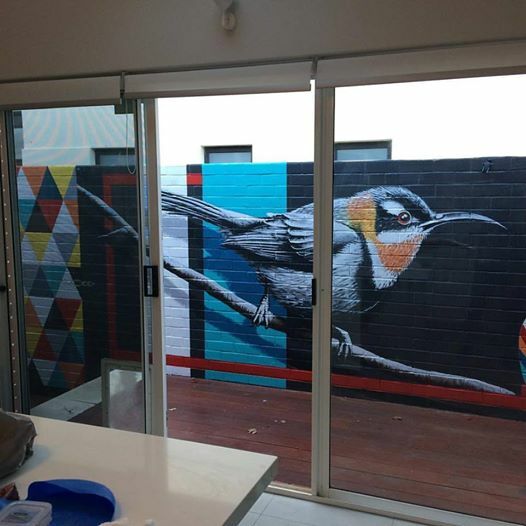 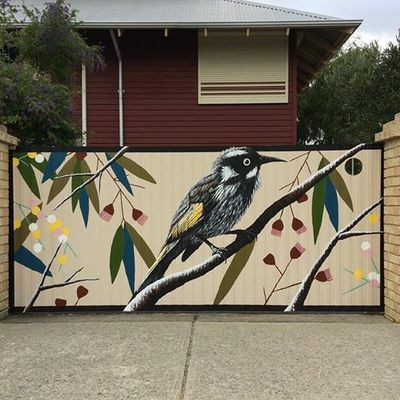 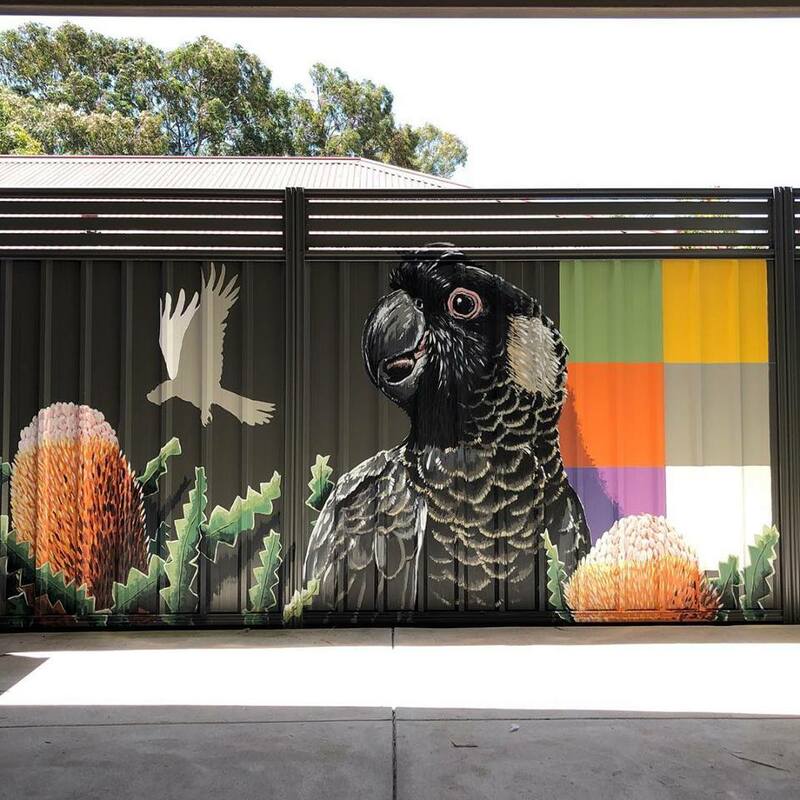 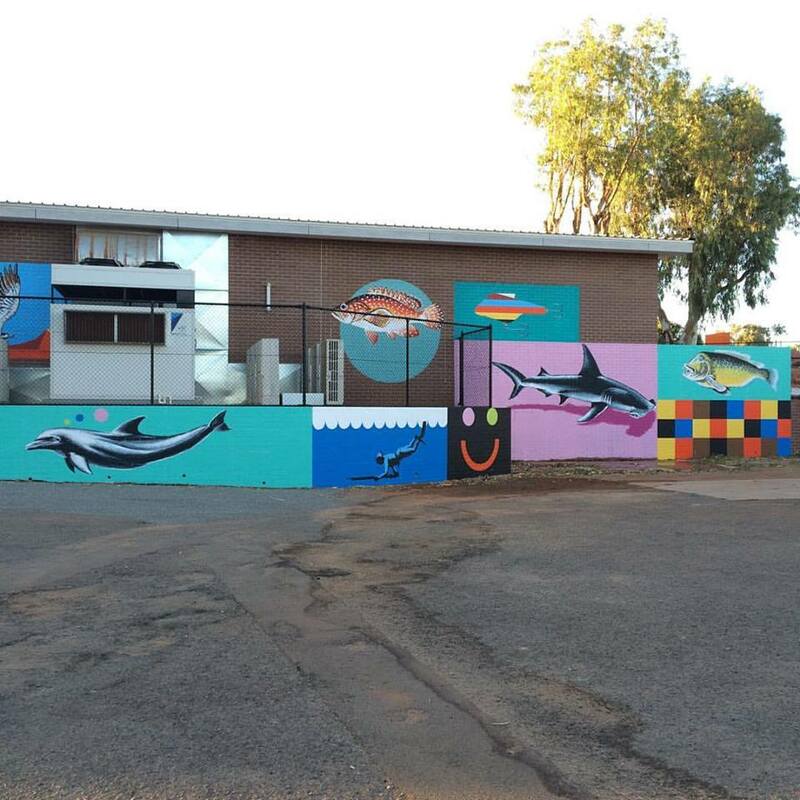 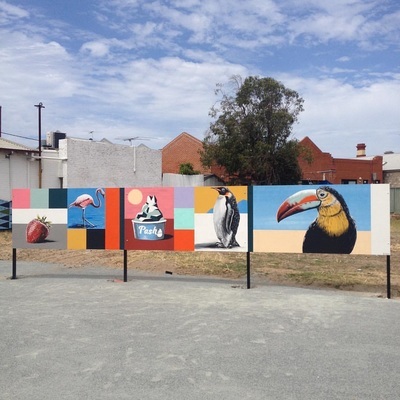 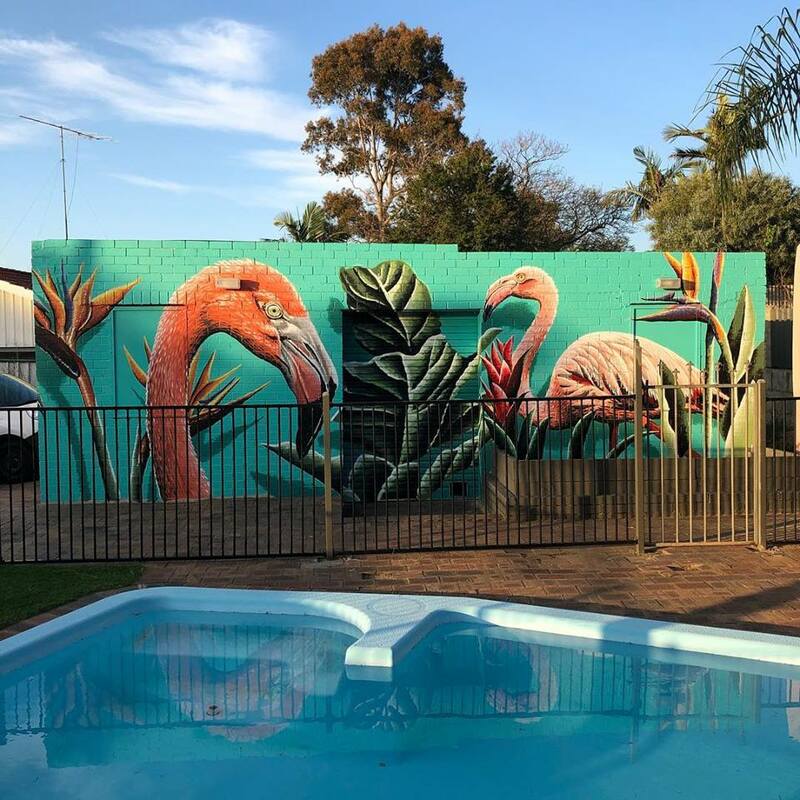 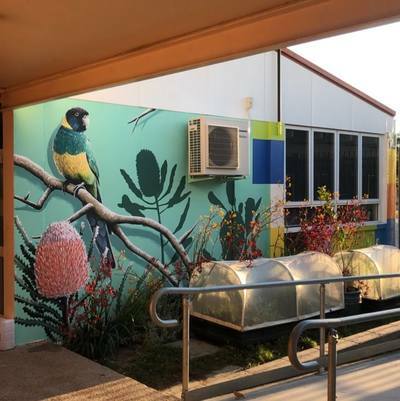 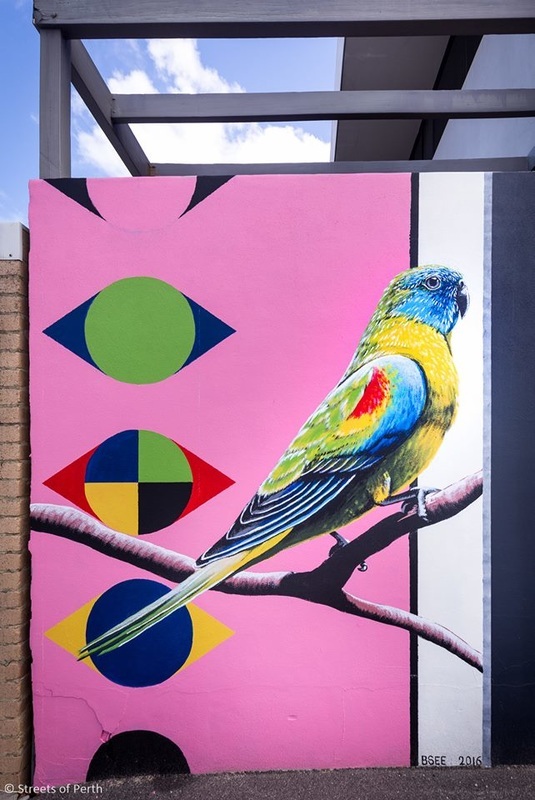 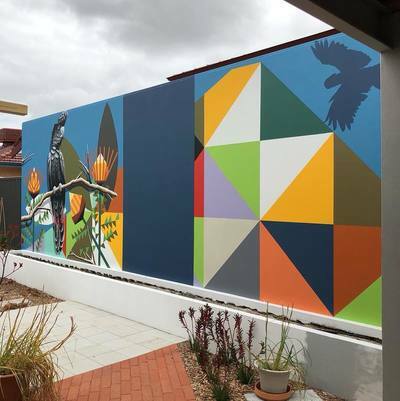 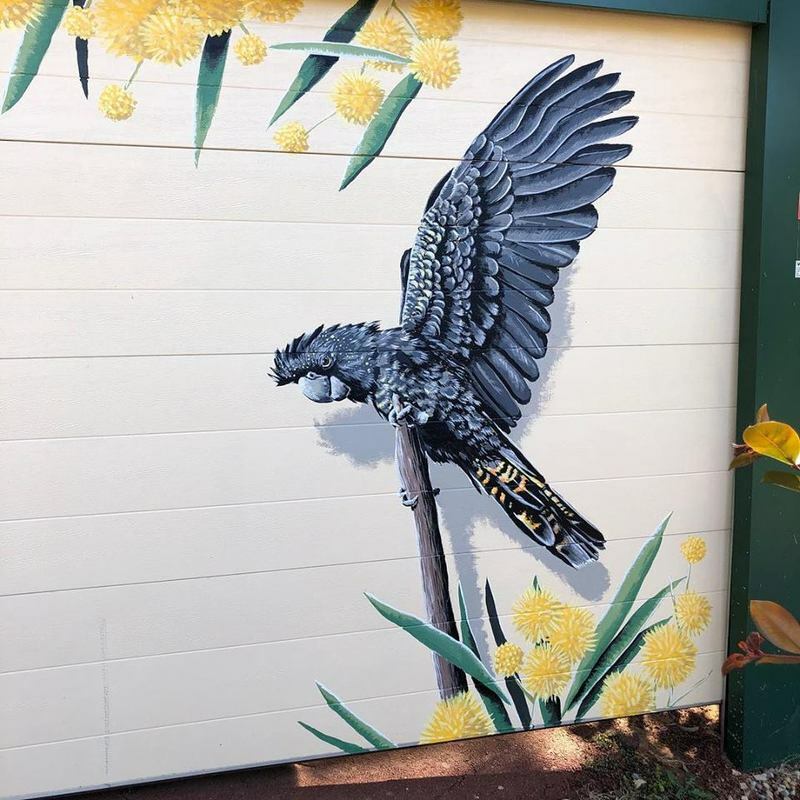 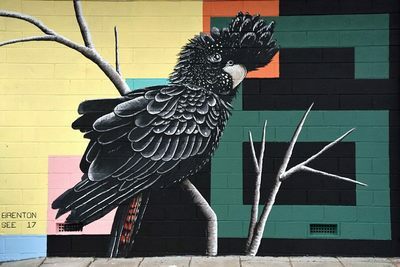 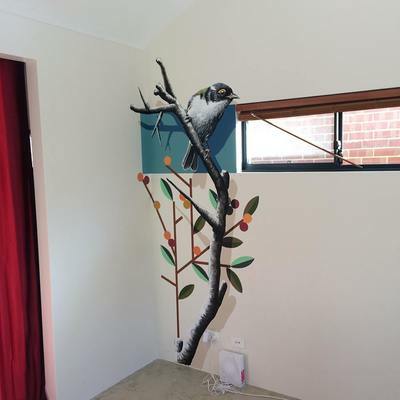 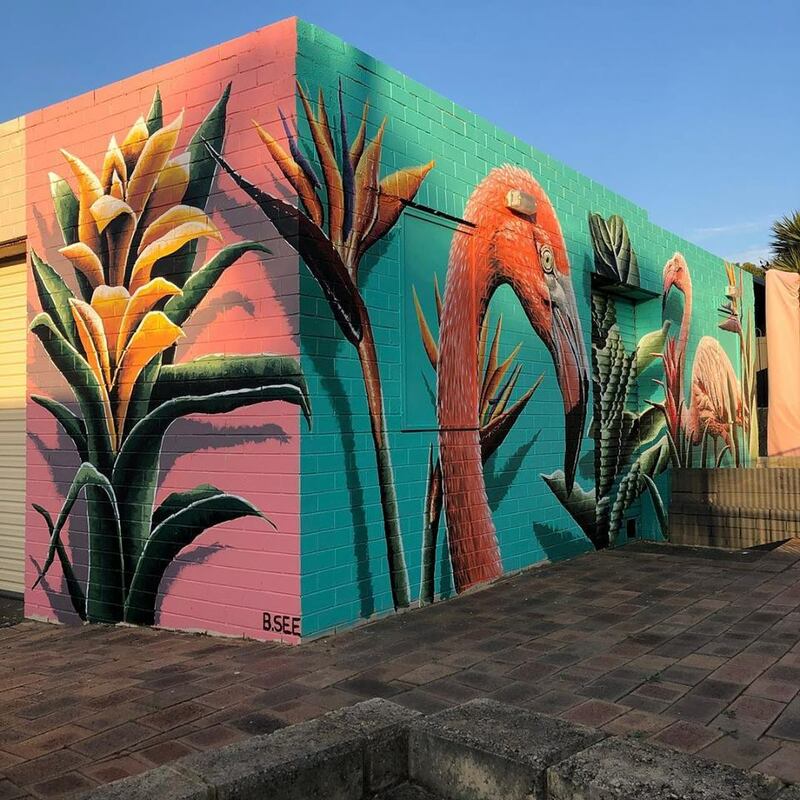 Private Residence Exterior Mural Parmelia, WA. 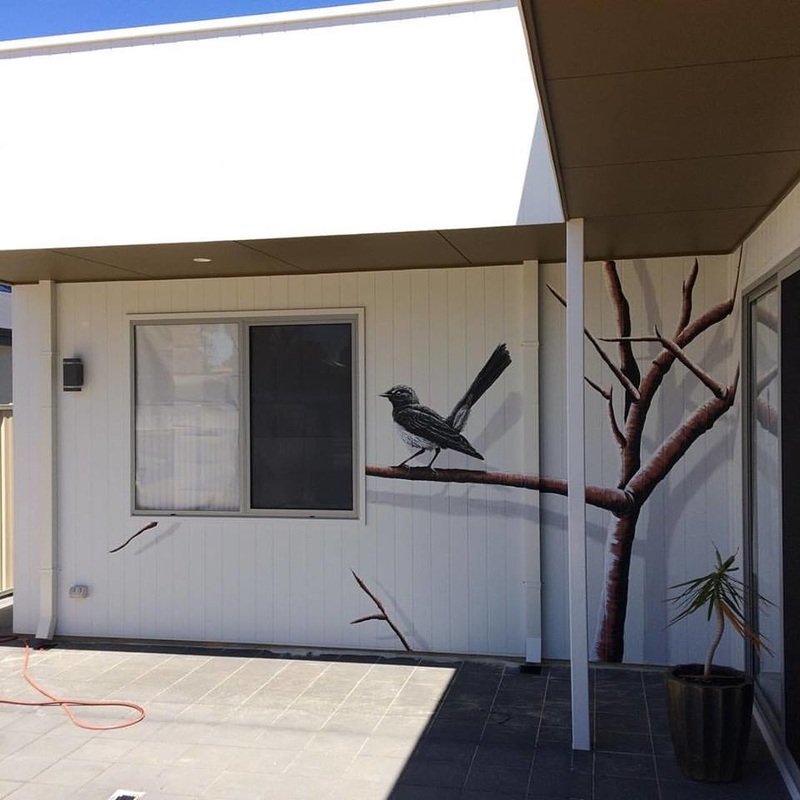 Private Residence Exterior Mural Palmyra, WA. 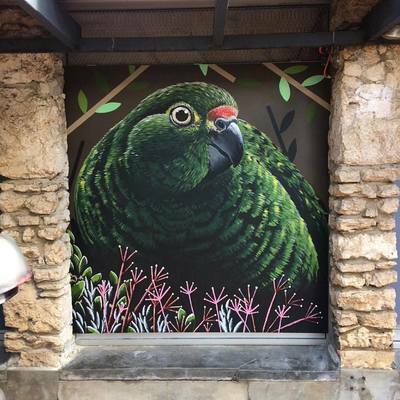 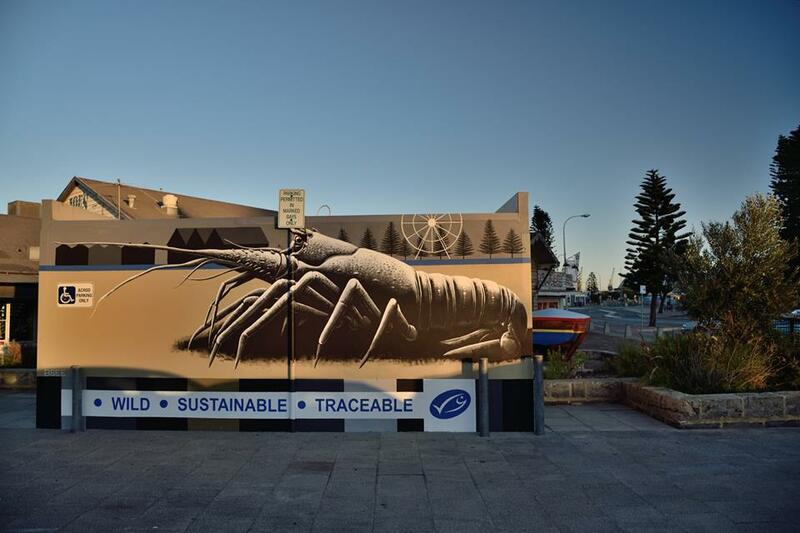 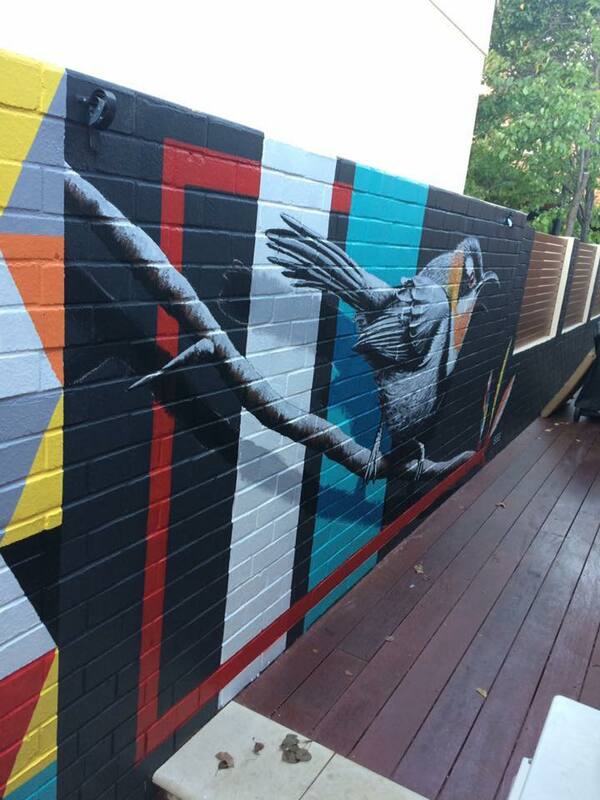 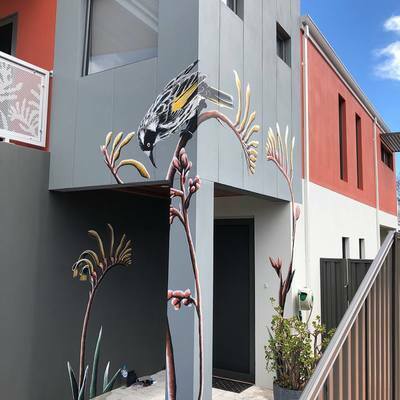 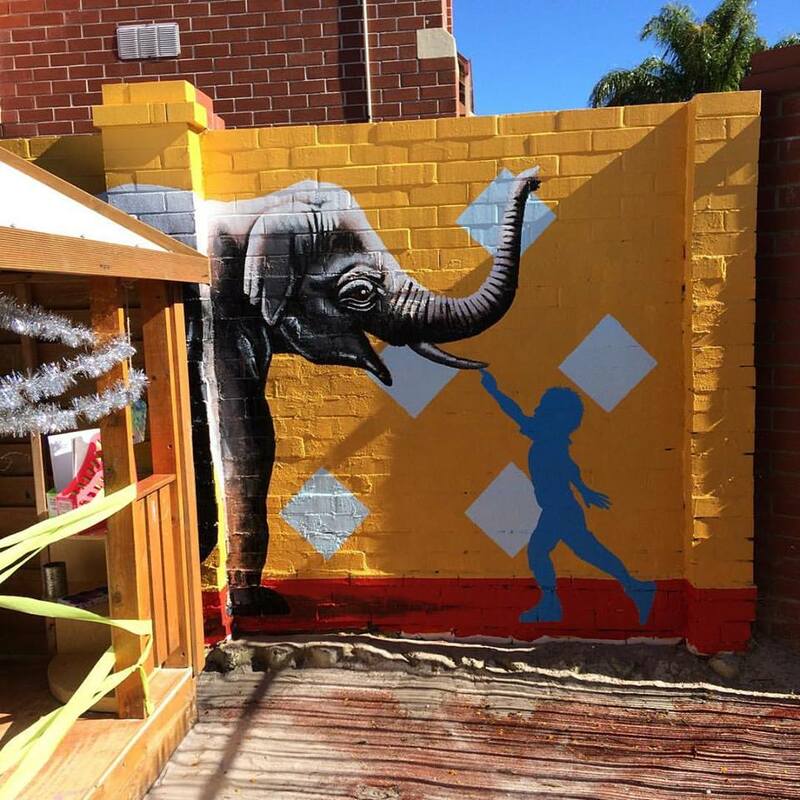 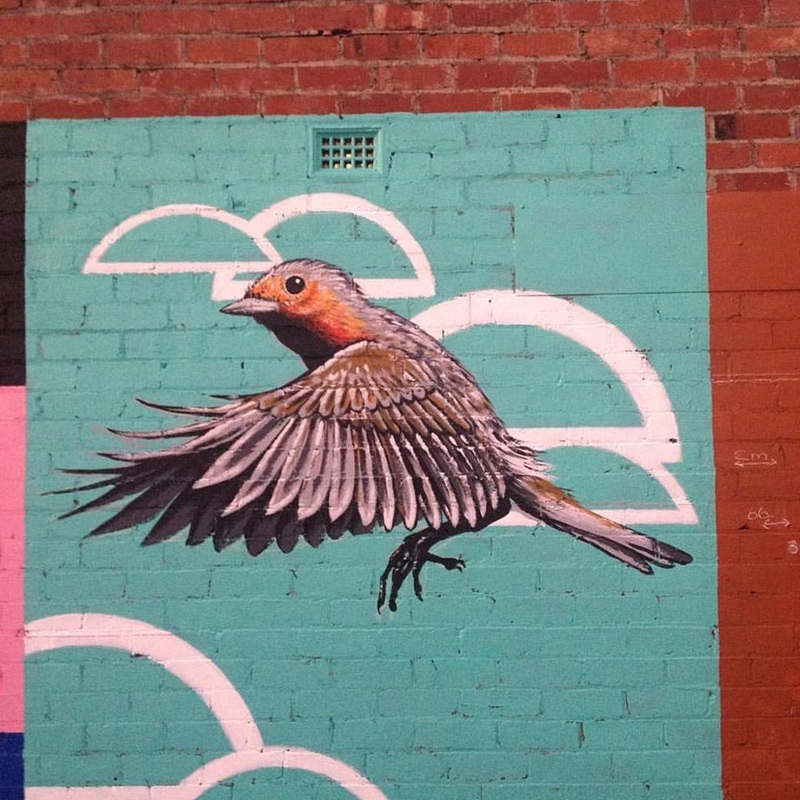 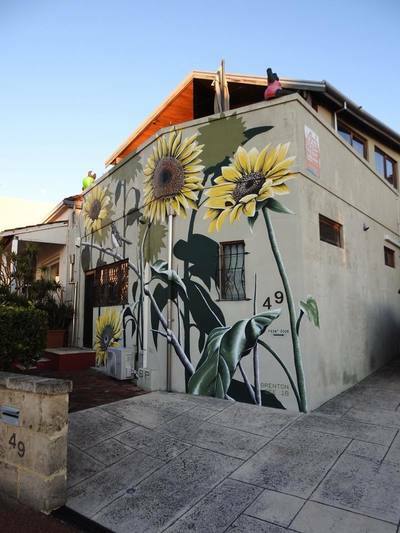 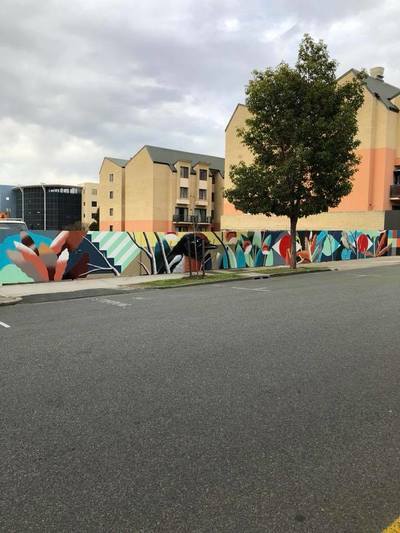 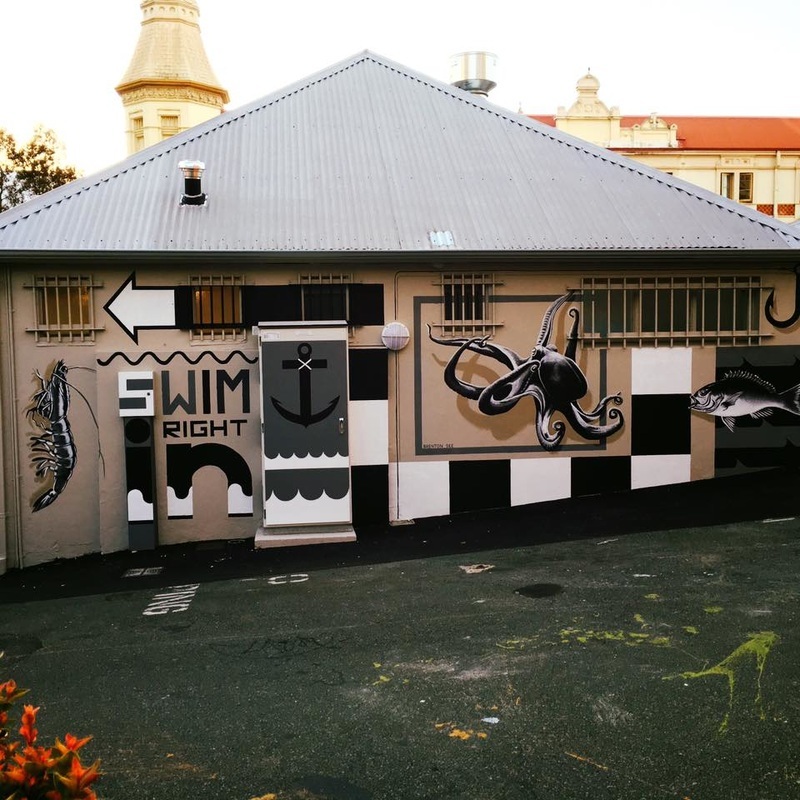 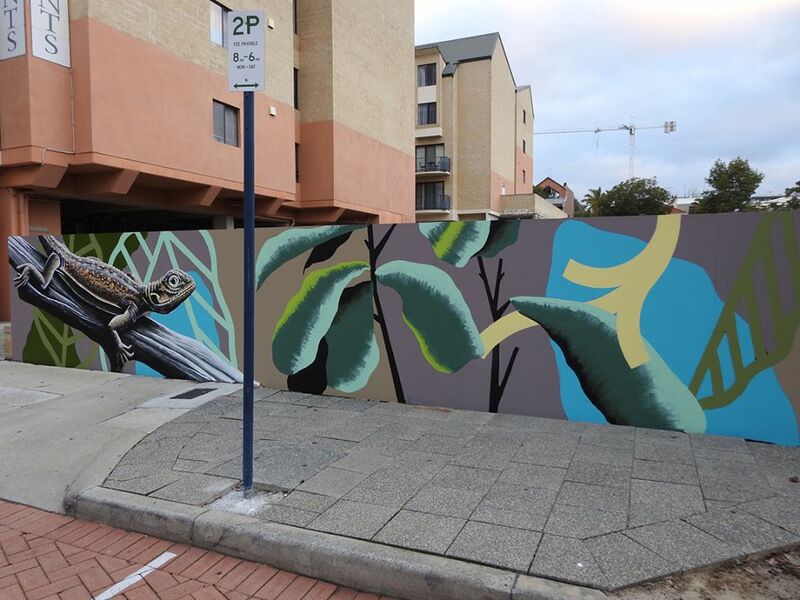 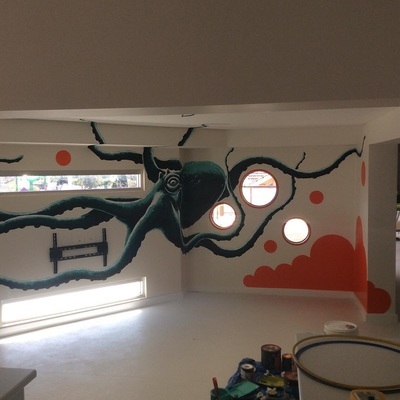 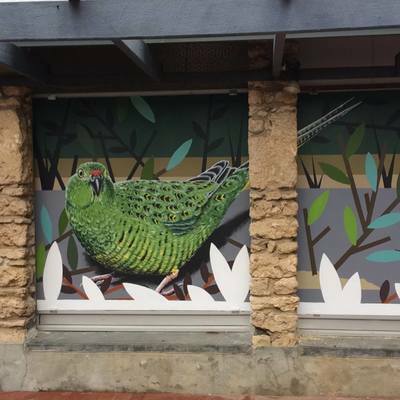 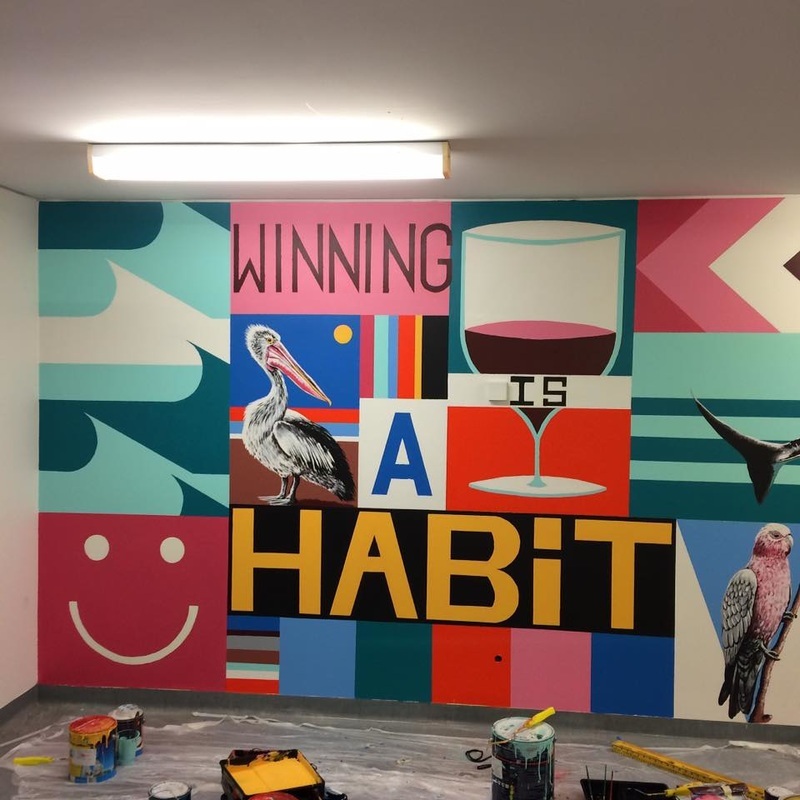 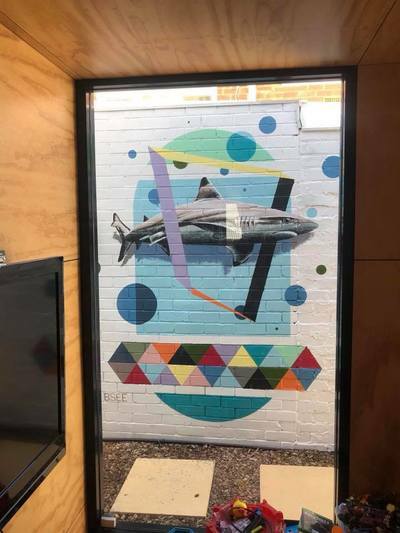 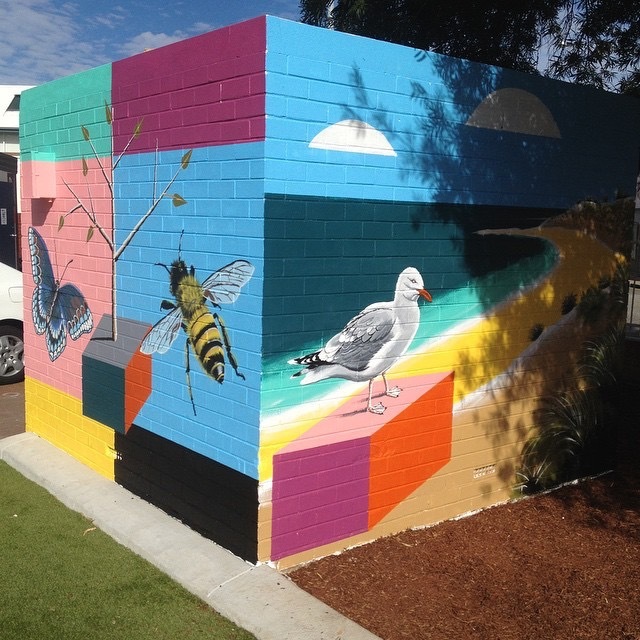 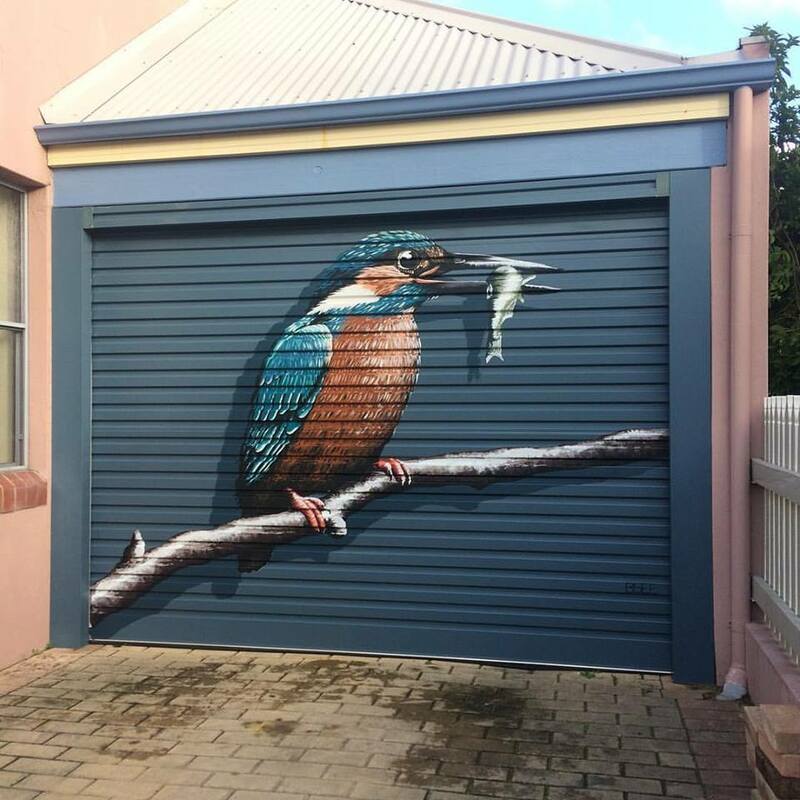 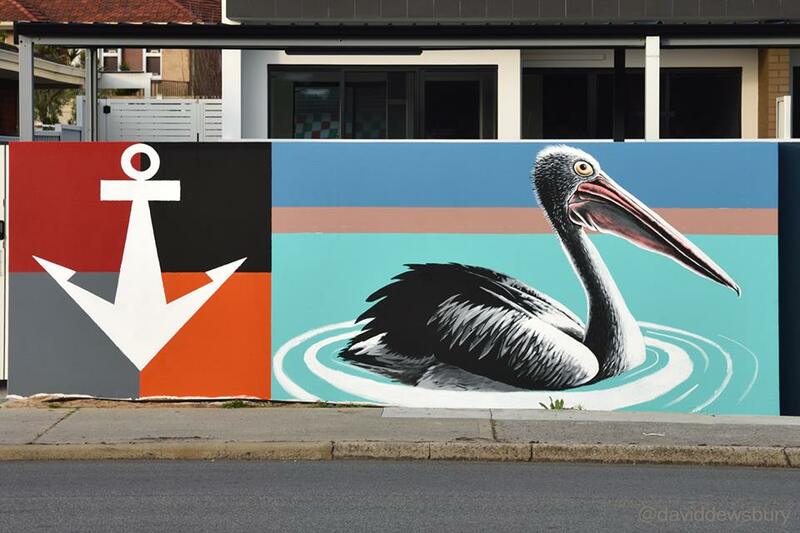 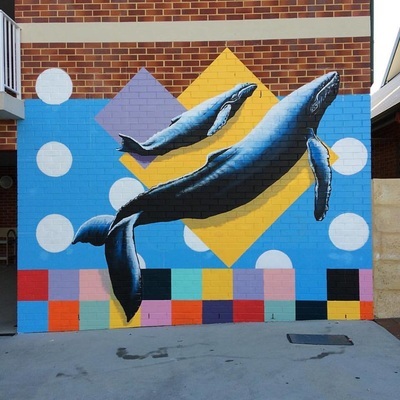 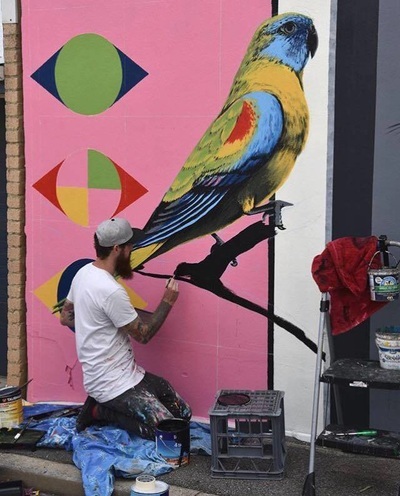 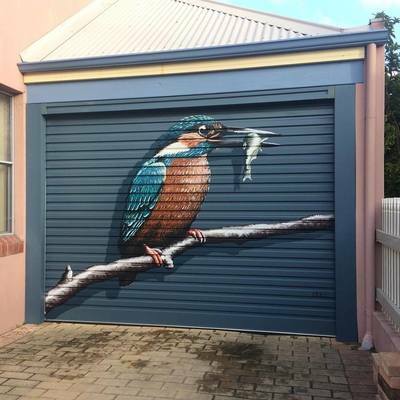 Private Residence Exterior Mural Port Coogee, WA. 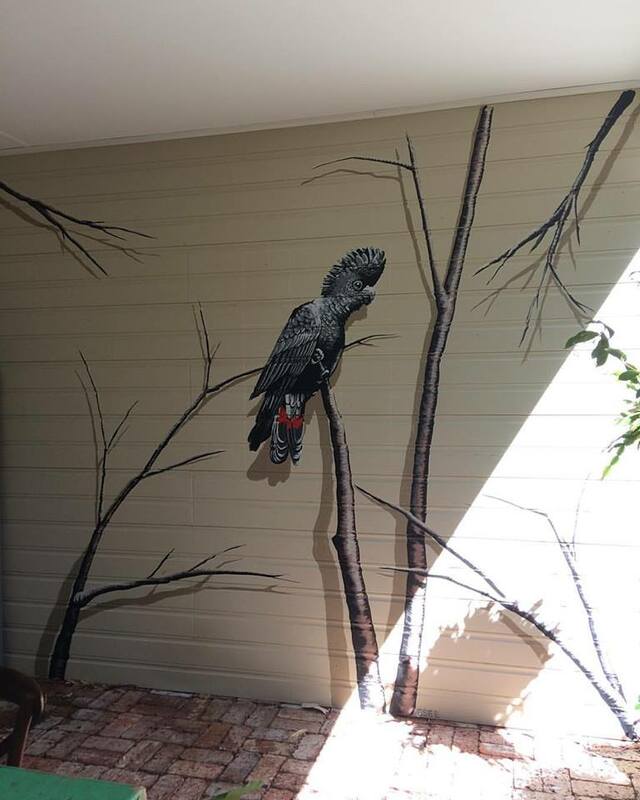 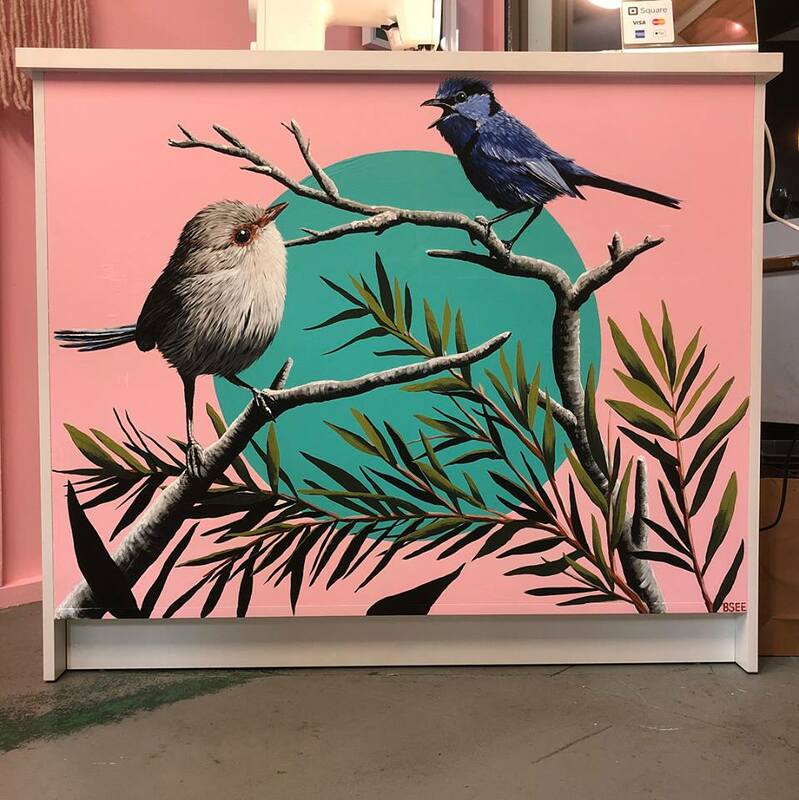 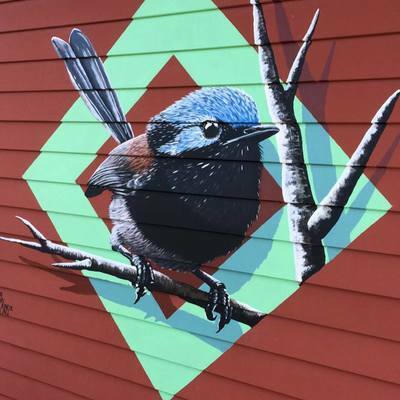 Private Residence Exterior Mural Boya, WA. 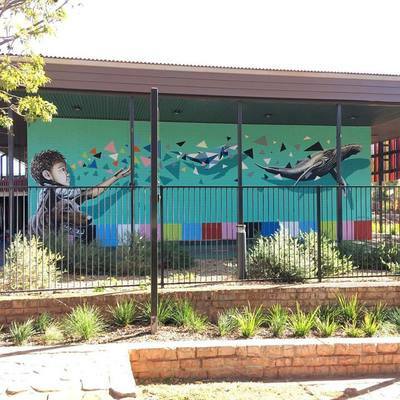 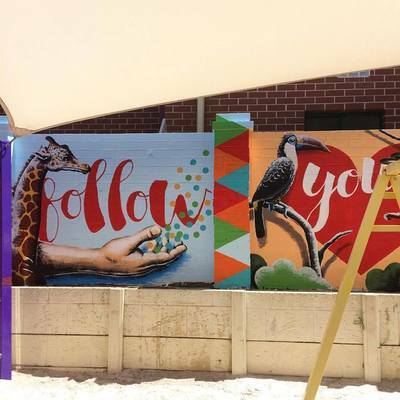 St Patricks Primary School Exterior Mural Fremantle, WA. 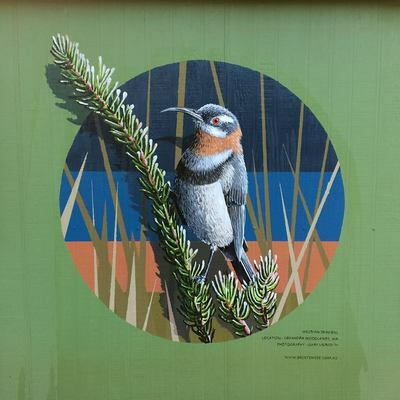 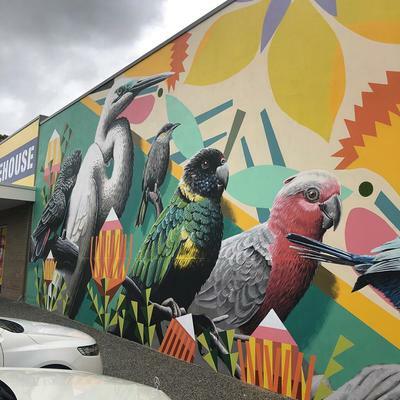 Private Residence Exterior Mural Craigie, WA.